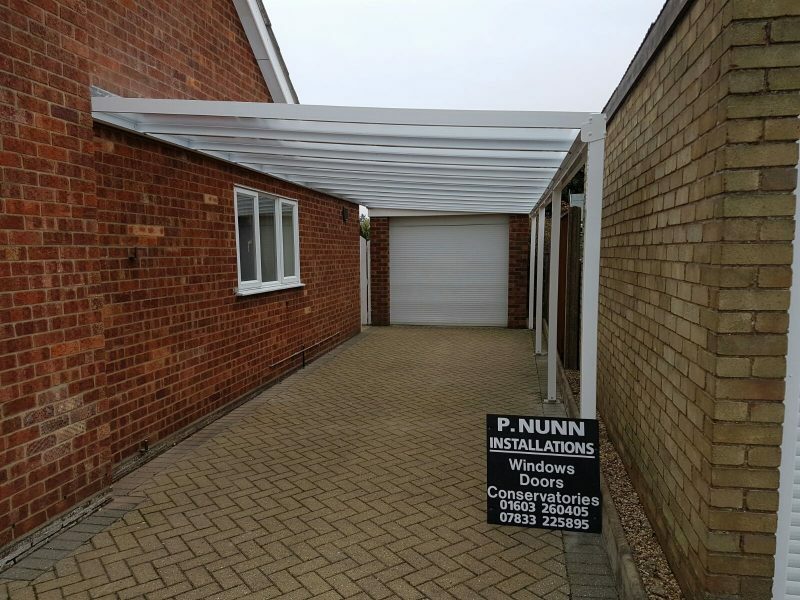 We are a small family business based in Thorpe Marriott, Taverham, Norwich with many years experience in the trade. 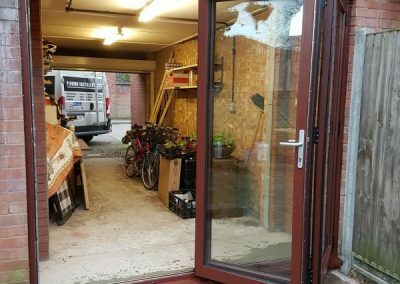 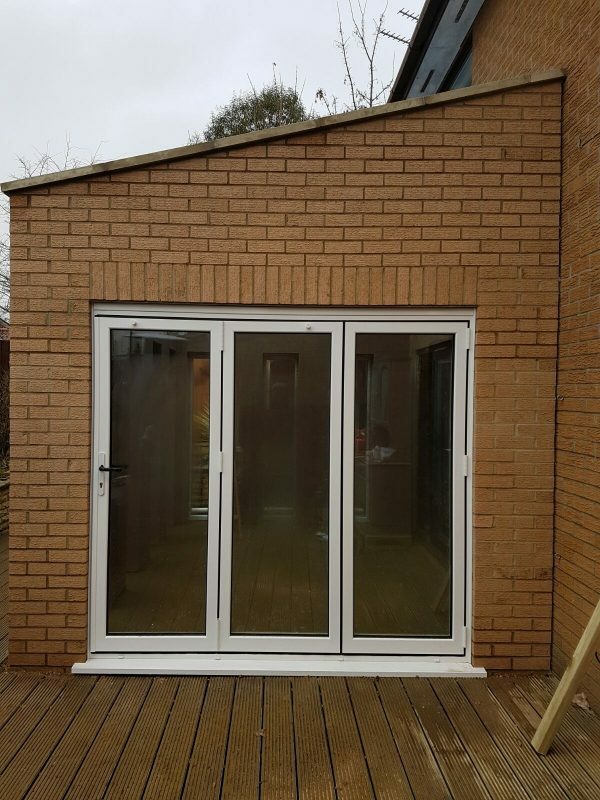 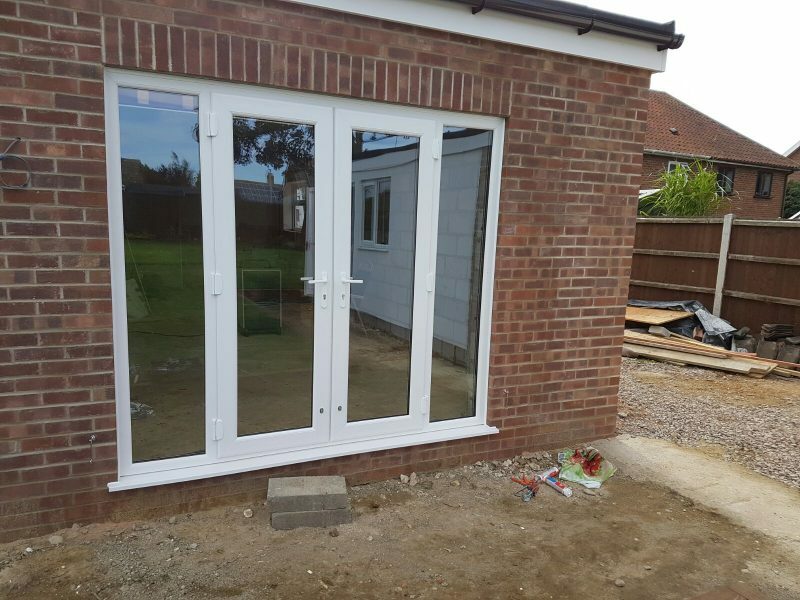 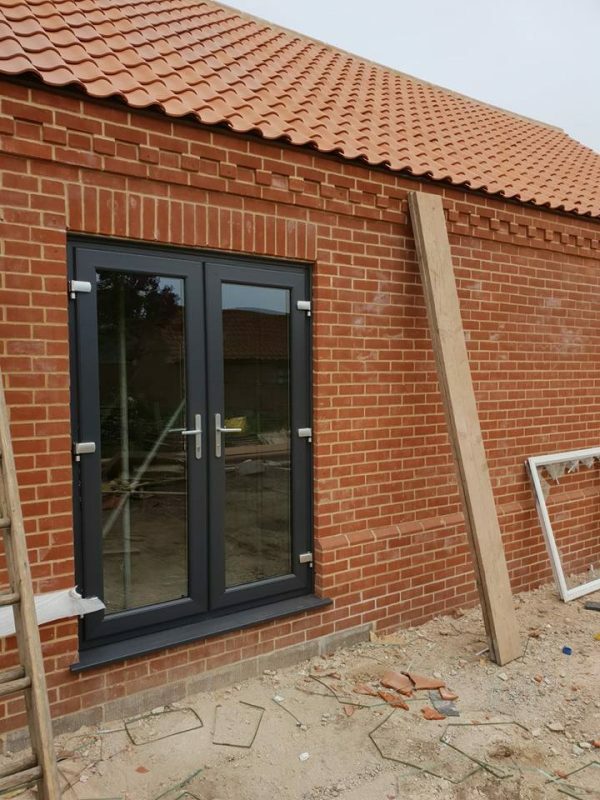 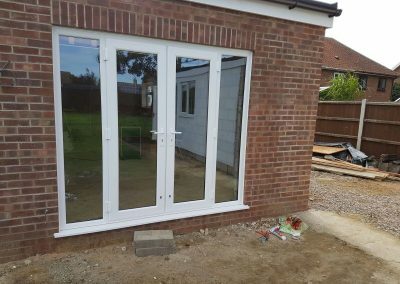 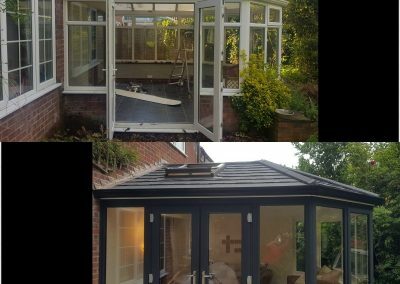 We supply and install Doors, Windows, Conservatories, Warm Roofs, Carports, Canopies, Bi-Folds, Fascia, Soffits, Gutters and Cladding. 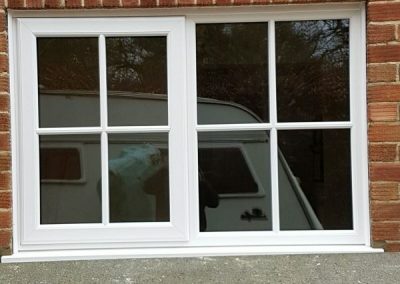 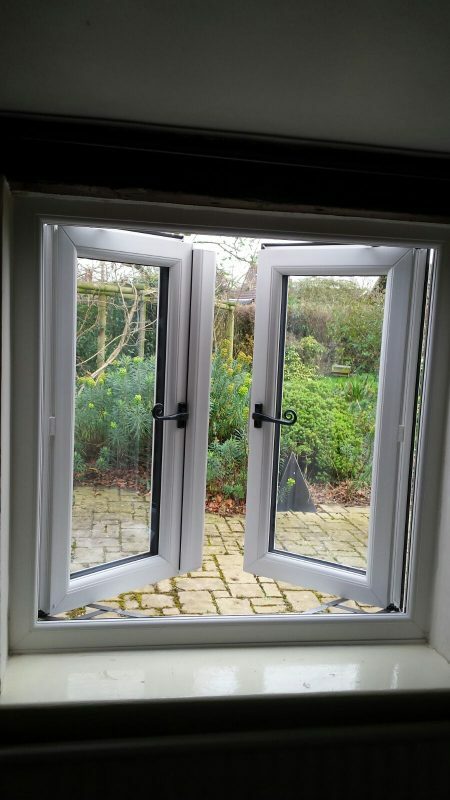 We can also replace the sealed units or panels in your windows and doors. 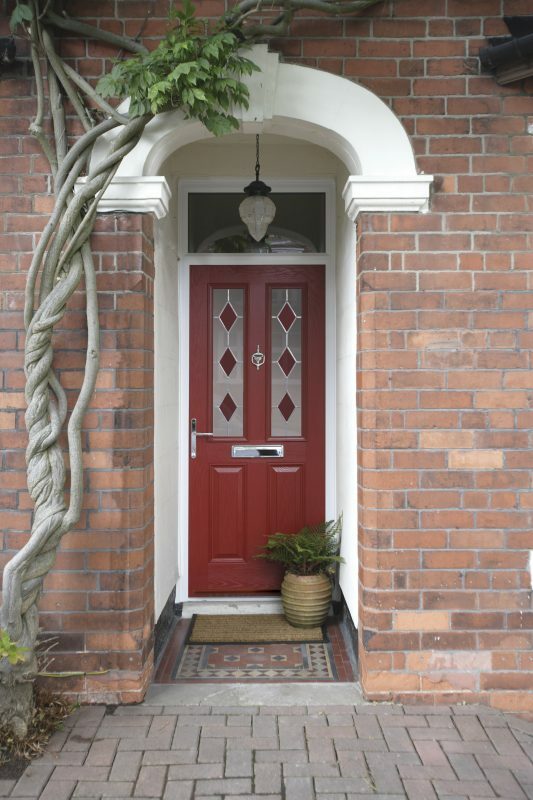 We are Certass registered and all our work comes with a 10 year insurance backed guarantee. 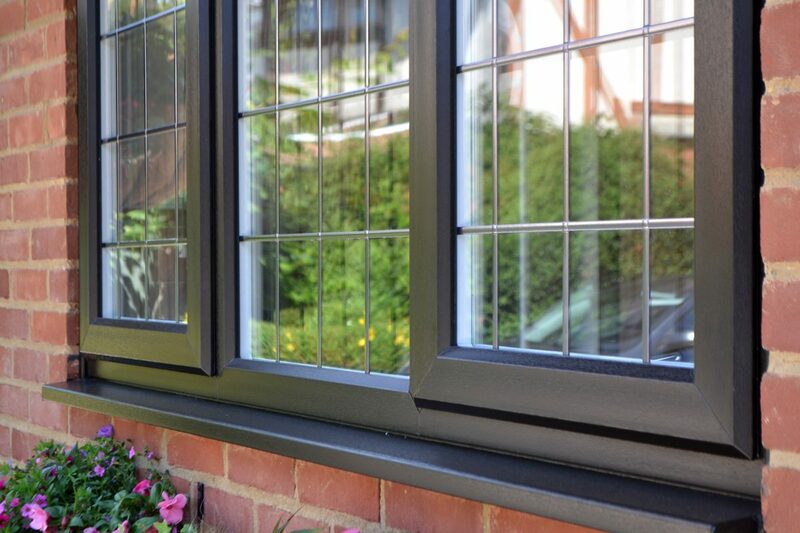 We are also a REHAU authorised partner and a Team Guardian approved installer. 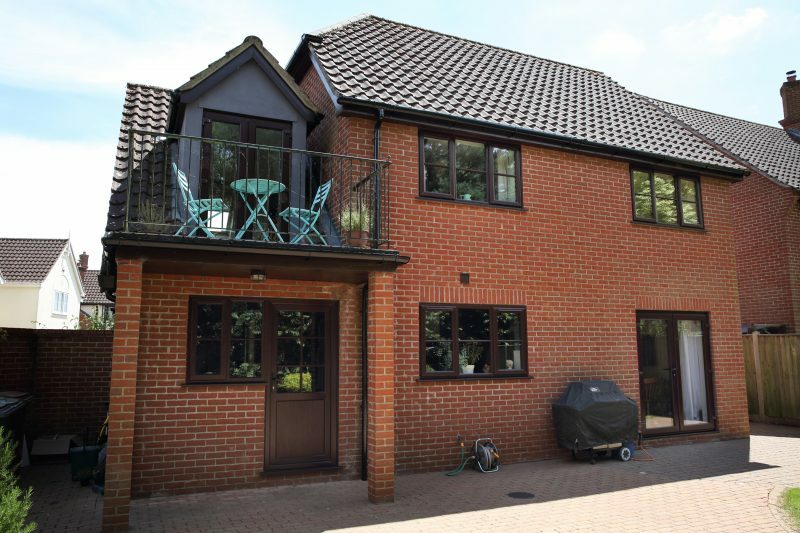 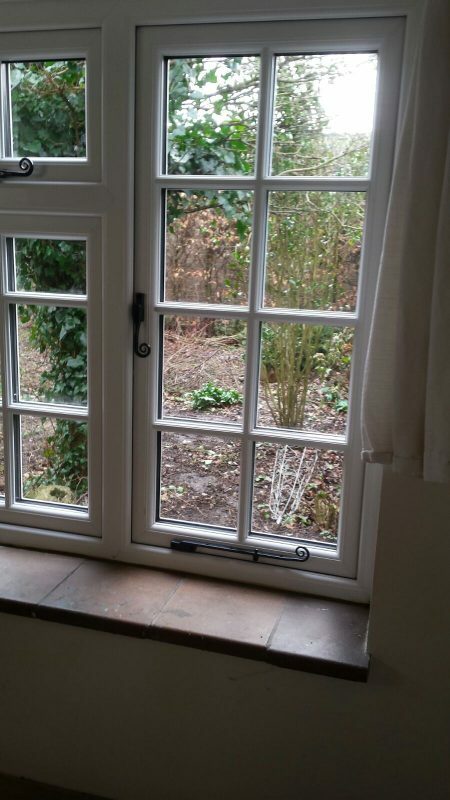 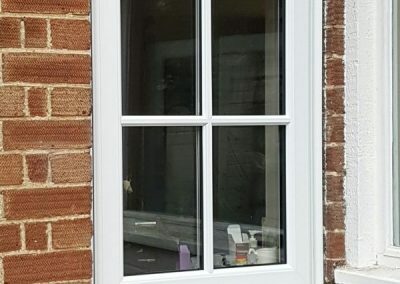 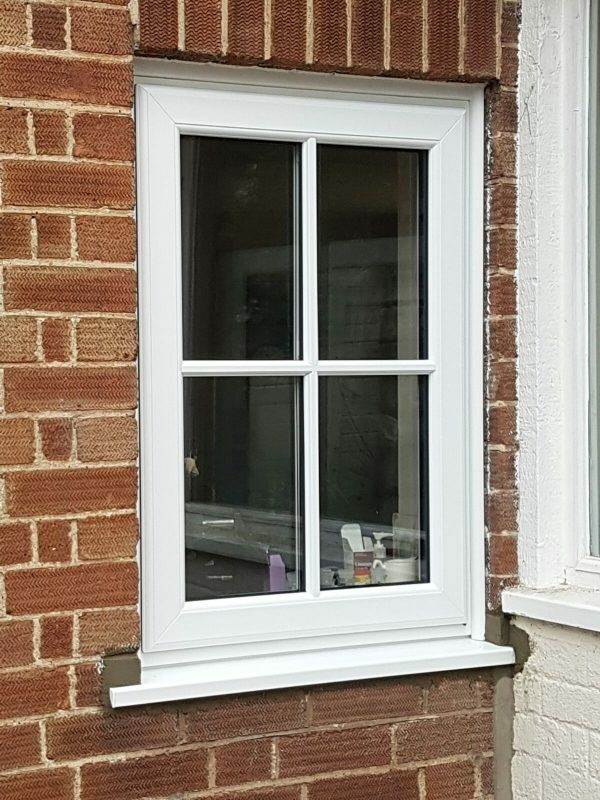 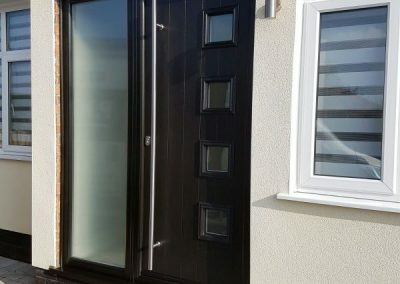 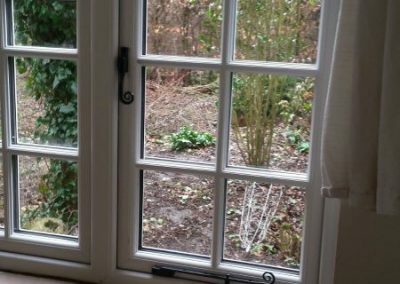 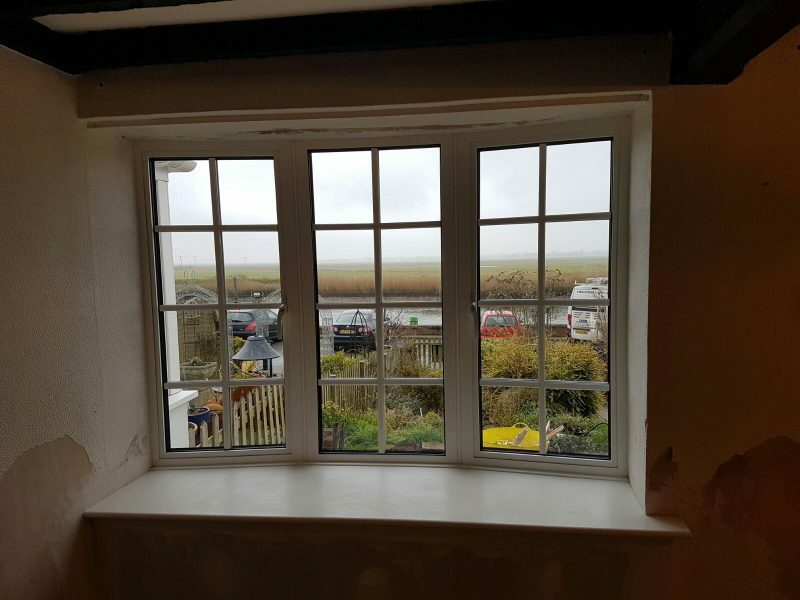 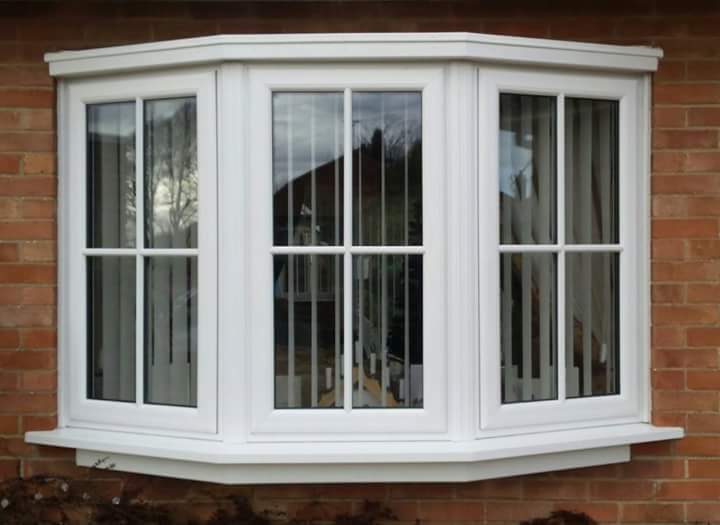 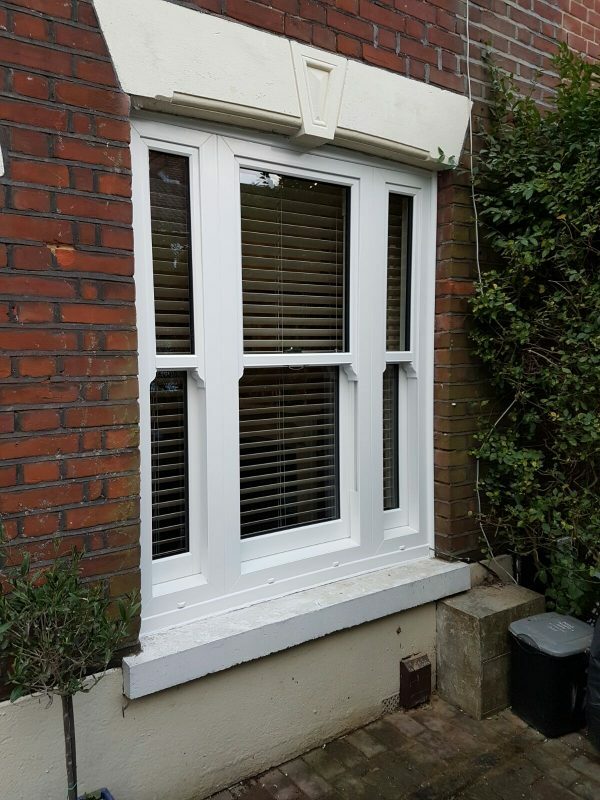 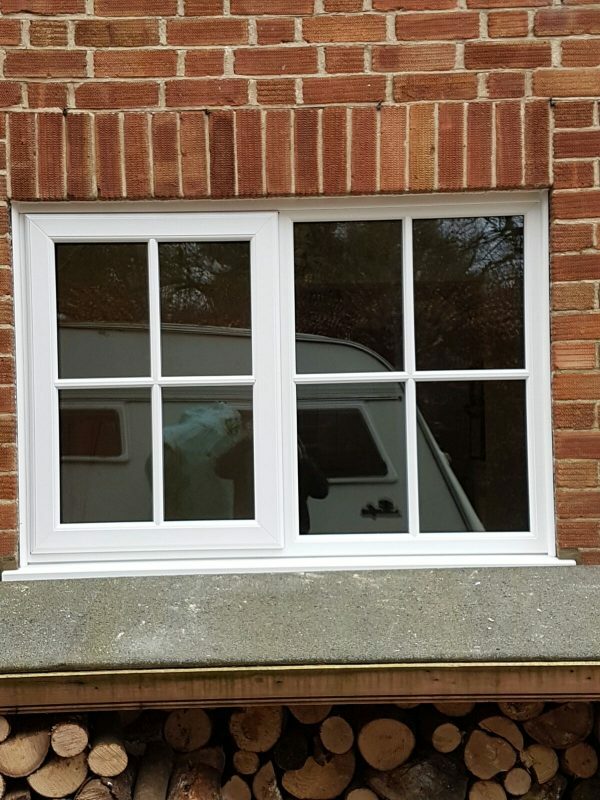 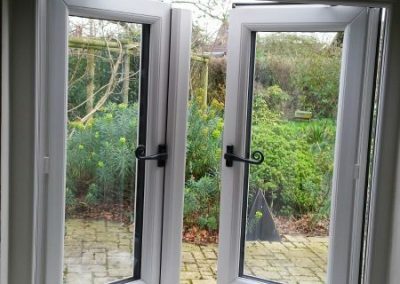 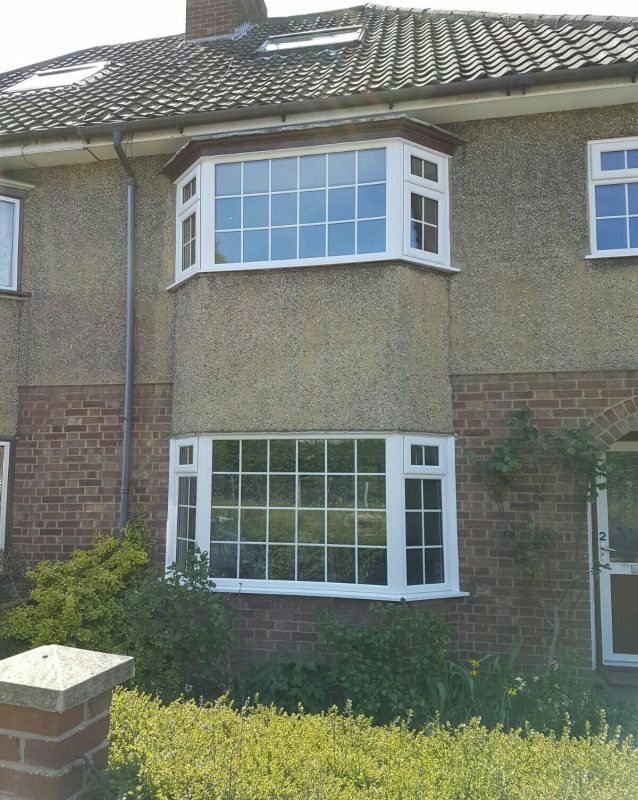 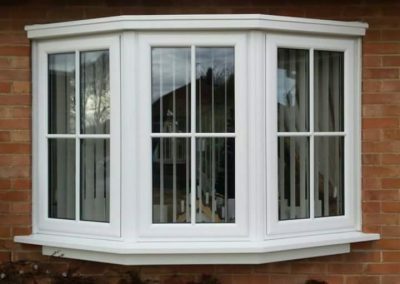 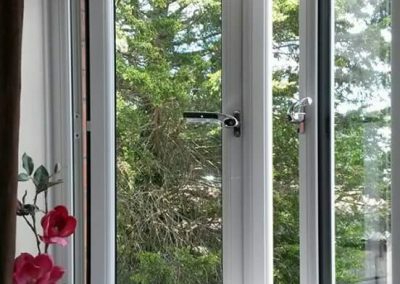 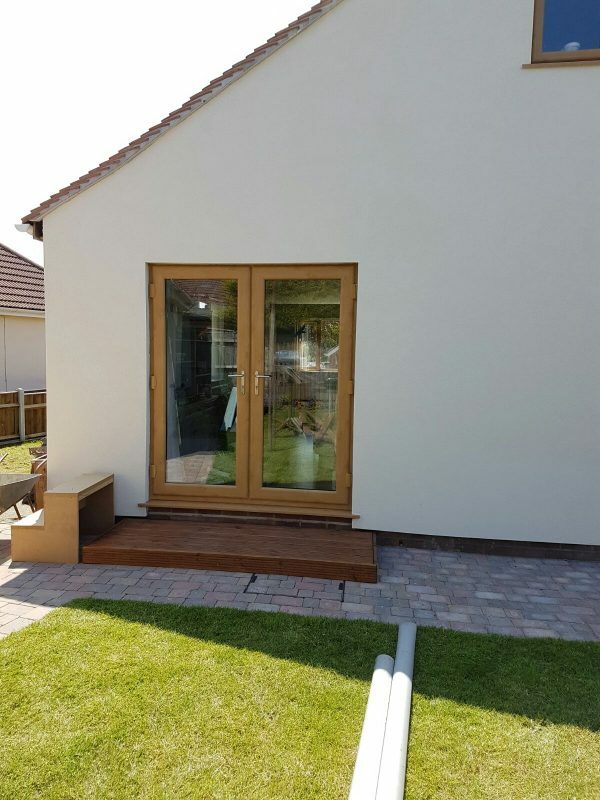 We supply and fit Upvc, traditional or slimline aluminium and timber windows. 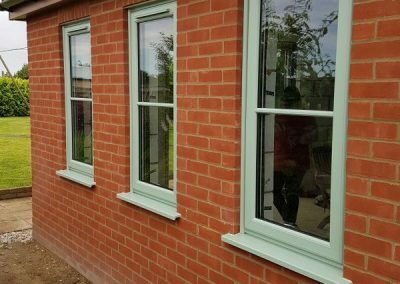 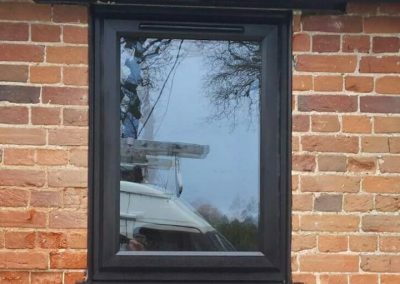 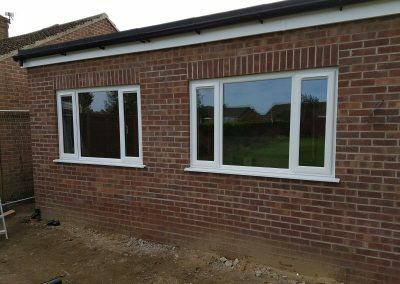 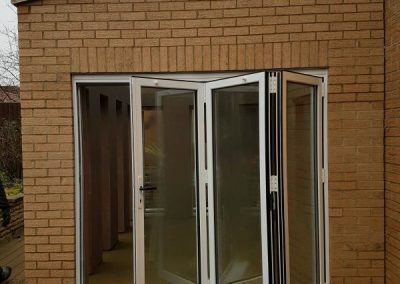 Whether it’s one window or 50, a house, cottage, flat or office block, we can provide a window that suits. 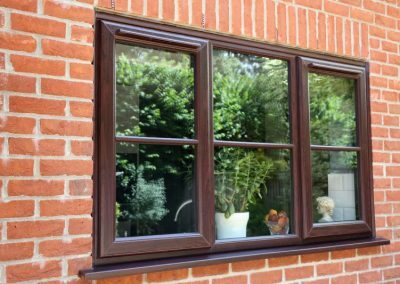 All our Upvc windows are A rated energy efficient and come with a 10 year insurance backed guarantee (QANW) and will be Certass registered. 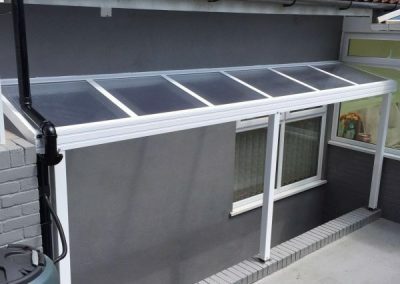 Sealed units can also be replaced if the frame is in good condition. 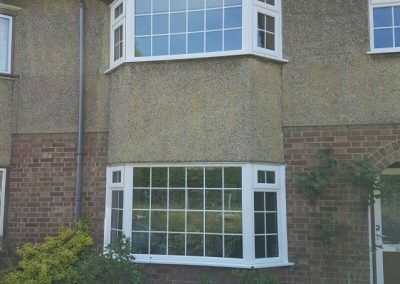 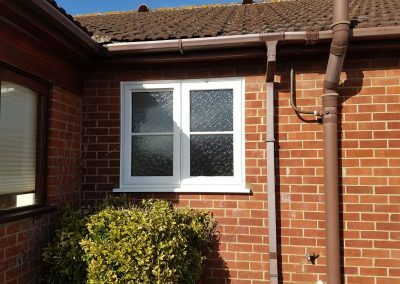 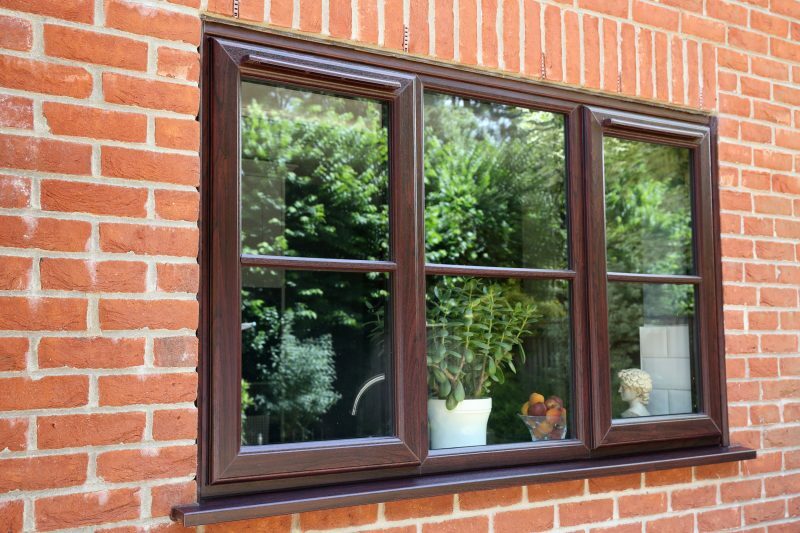 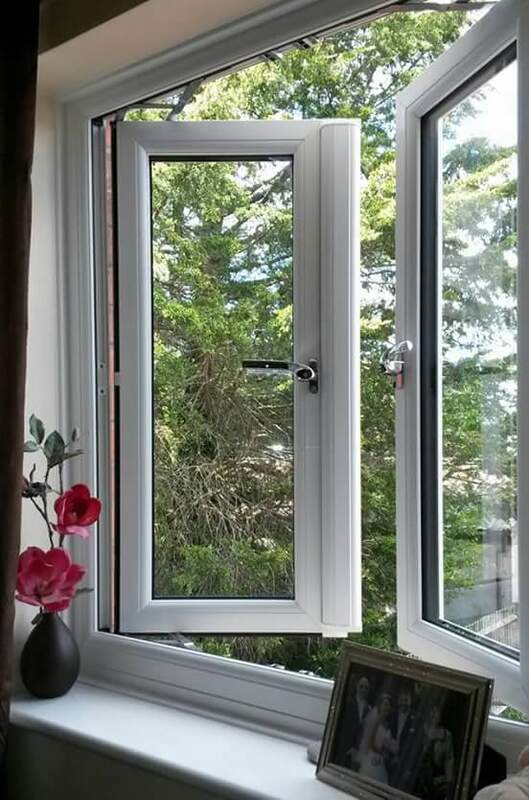 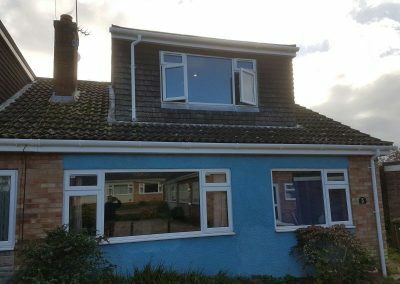 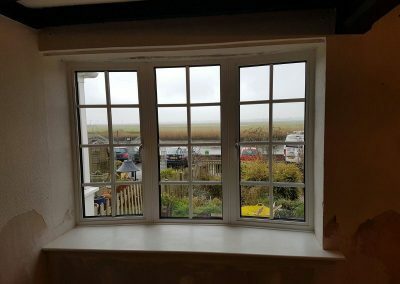 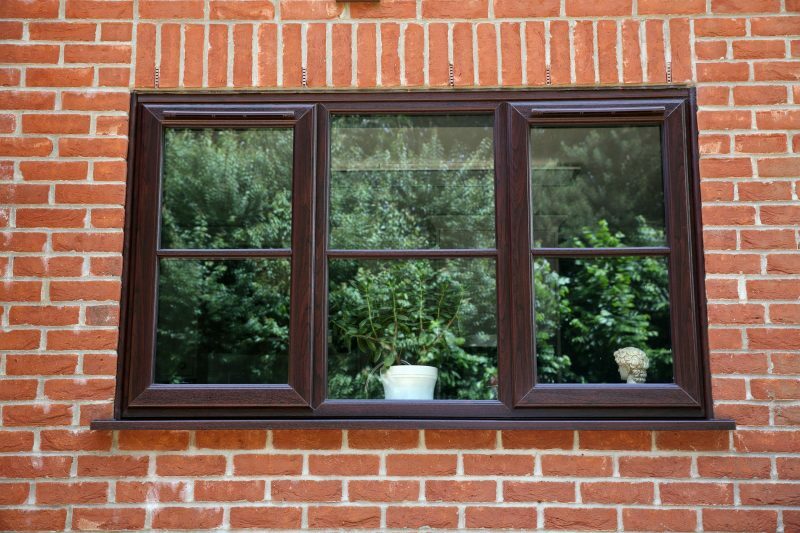 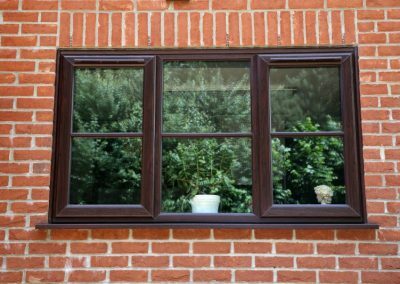 We could replace a flat window with a plant on bow bay window if you’ve always wanted a bay window. 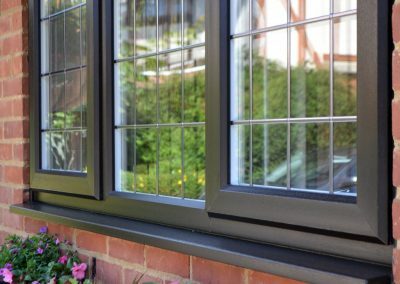 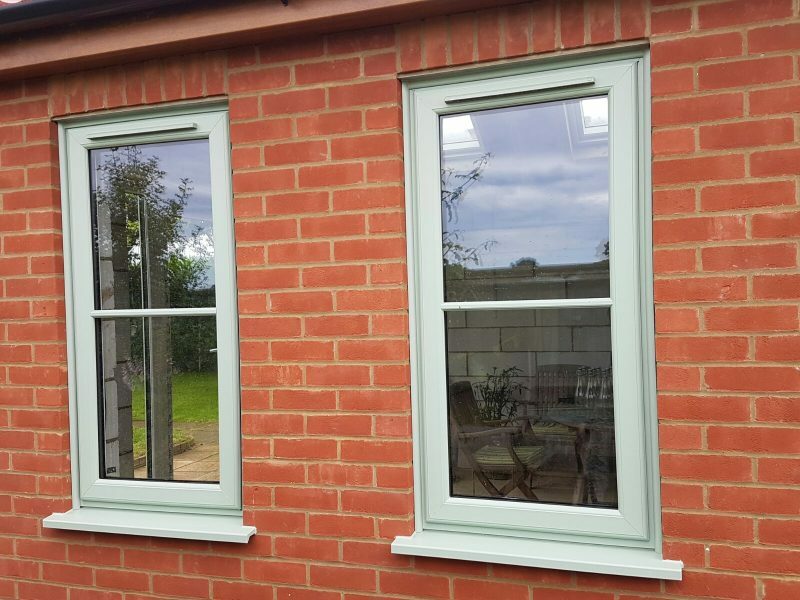 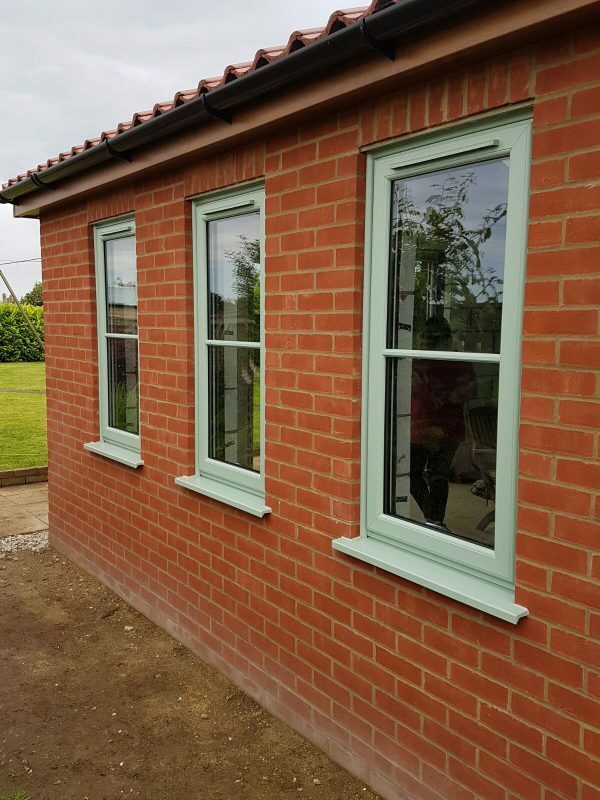 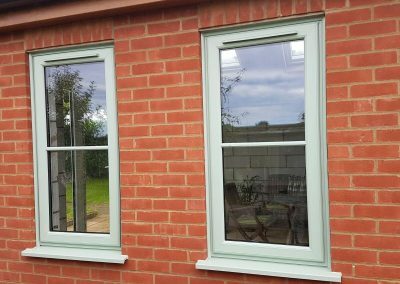 Our windows come in many styles and colours and you’re sure to find one that’s just right for your needs. 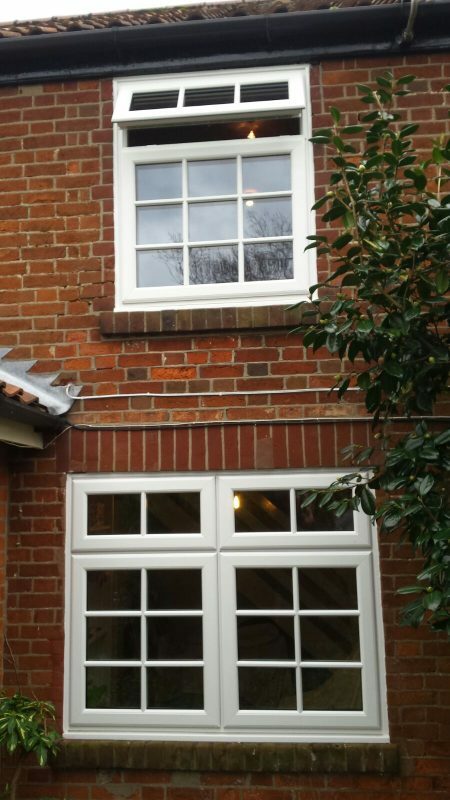 We install Rehau (including Rehau heritage for conservation areas), Kommerling, and Veka profiles. 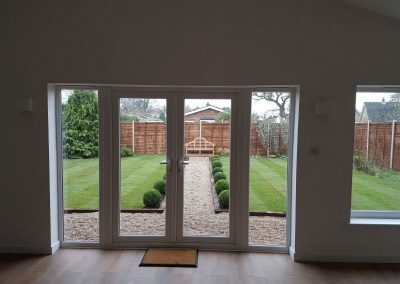 Front doors, back doors, French doors, Bi-fold doors and sliding doors. 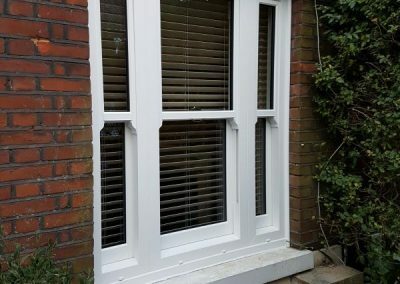 Upvc, Composite or Aluminium. 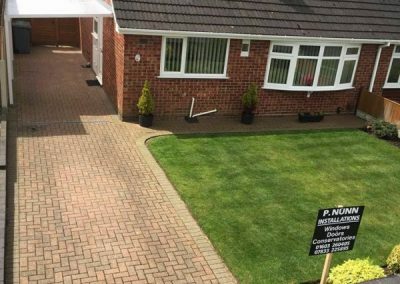 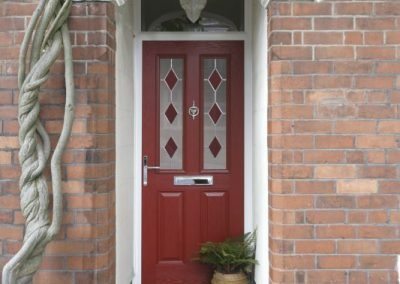 Whatever you’re after, we can find it for you and provide you with a competitive quote. 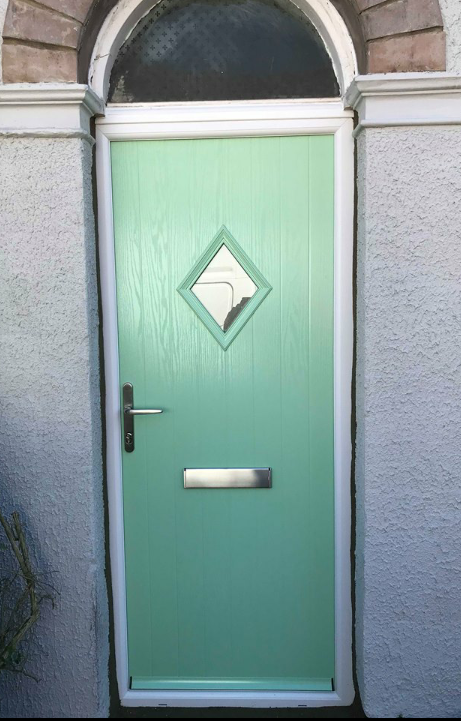 With many colours and styles to choose from as well as different glass finishes and patterns. 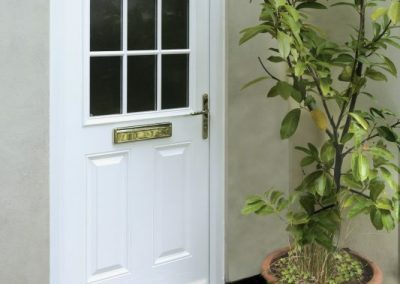 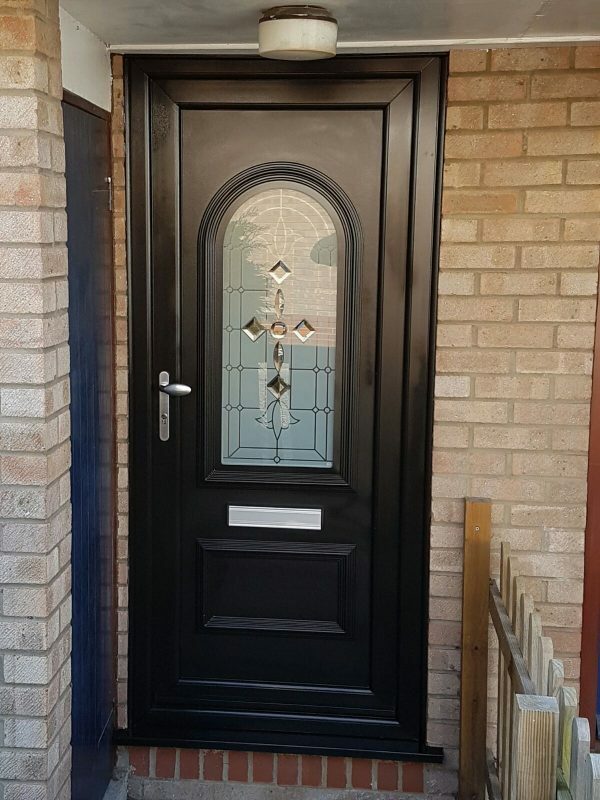 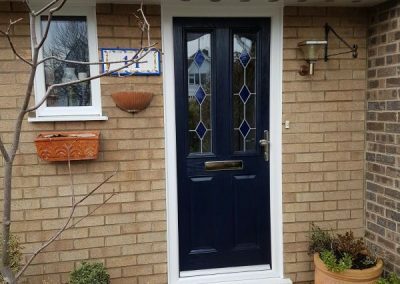 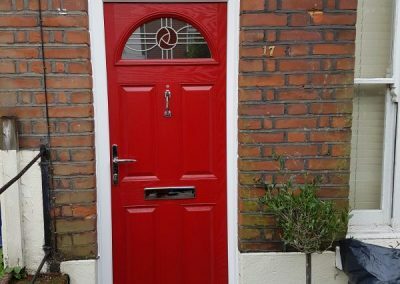 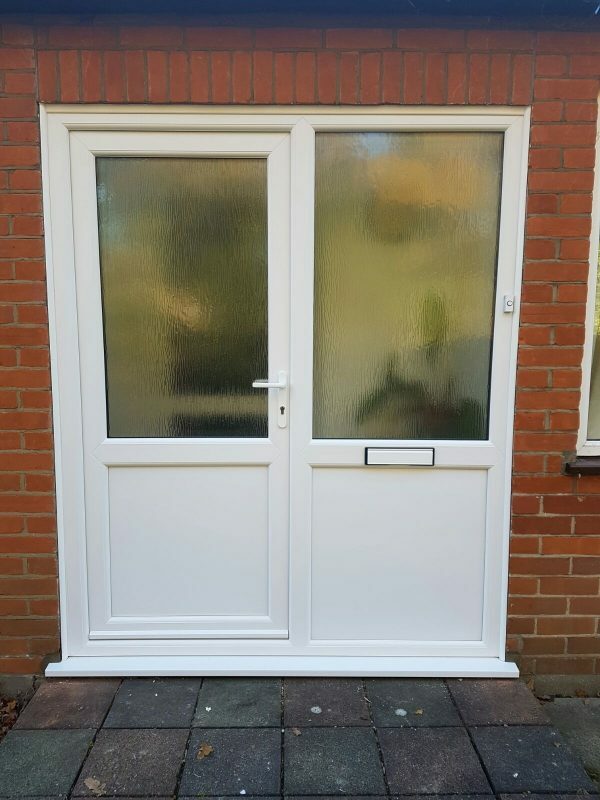 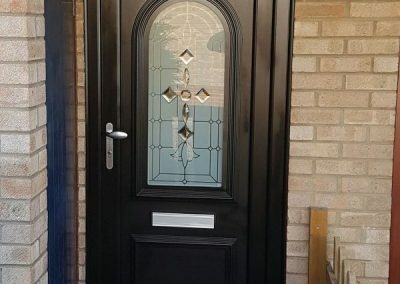 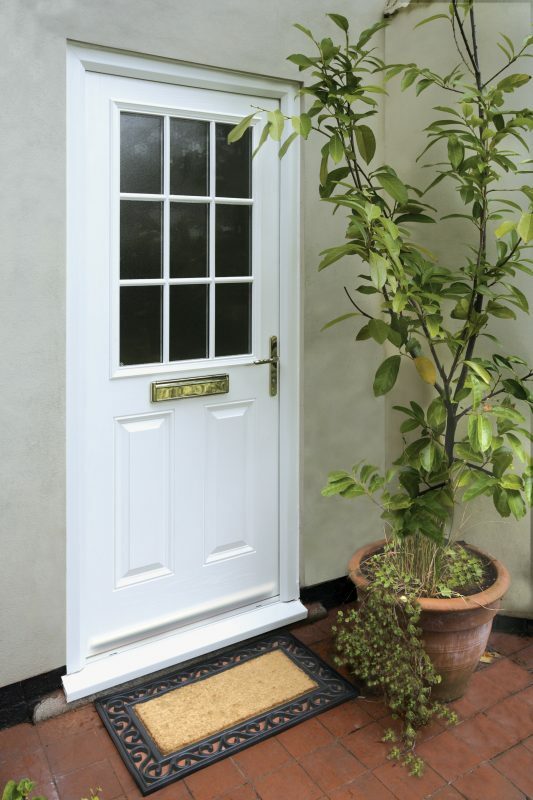 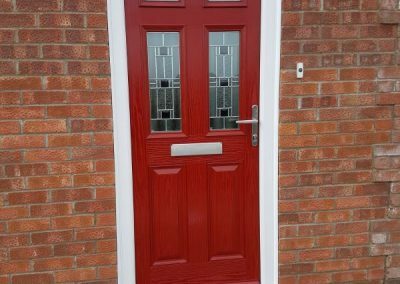 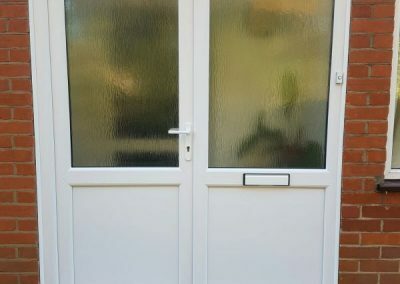 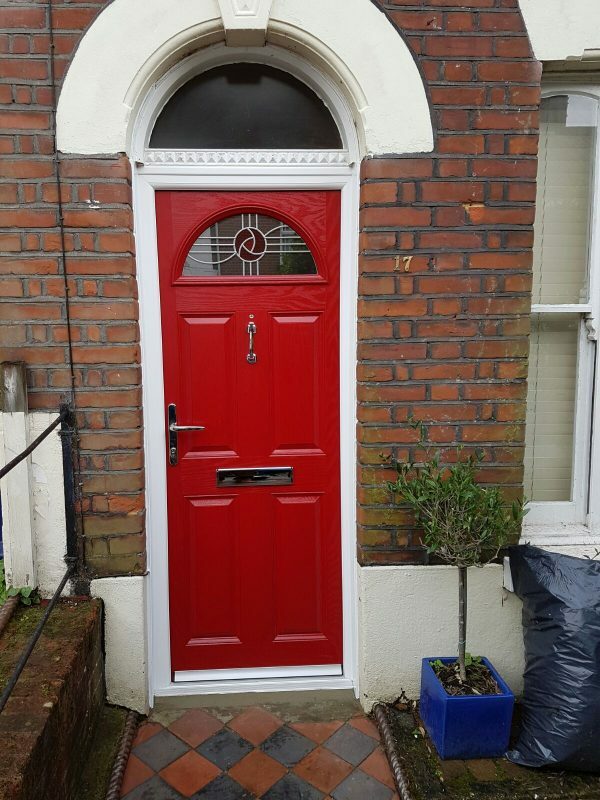 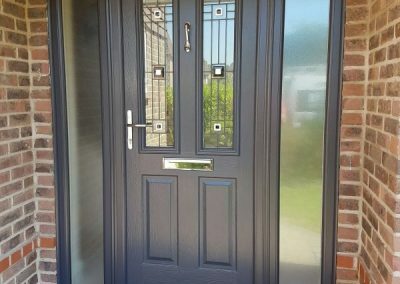 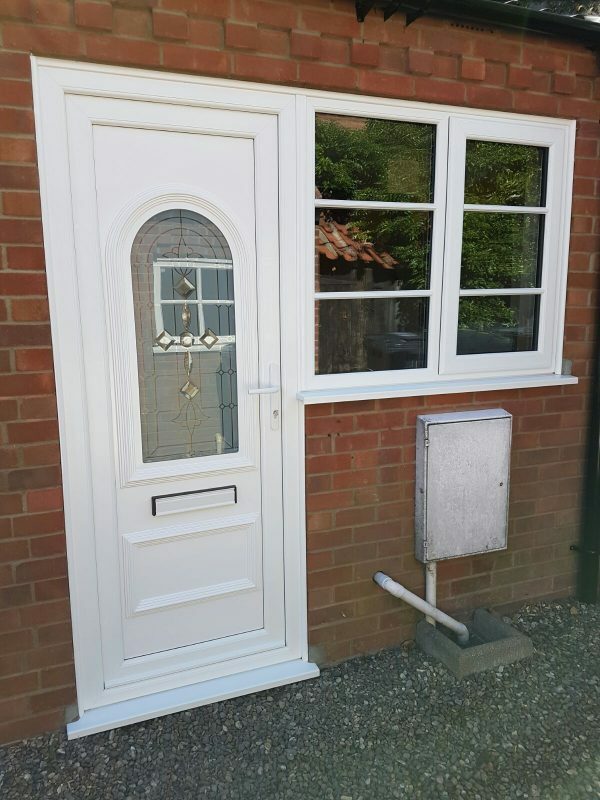 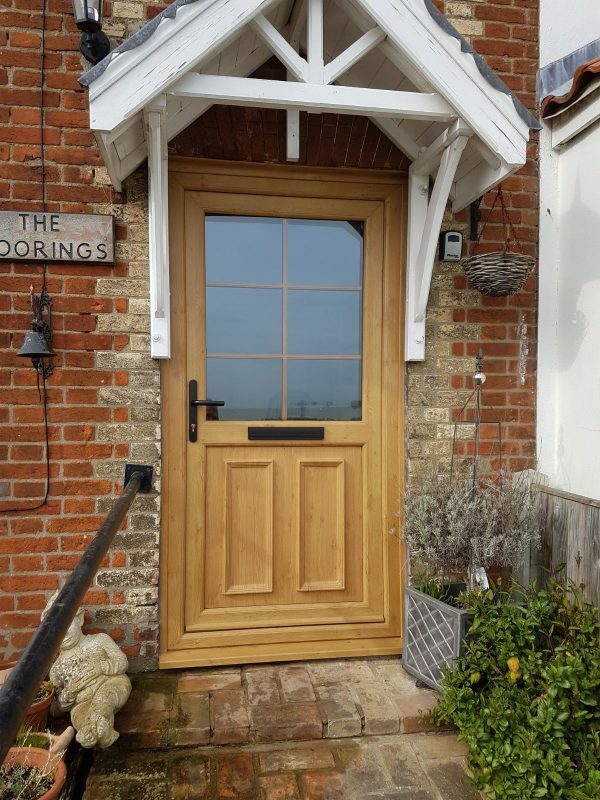 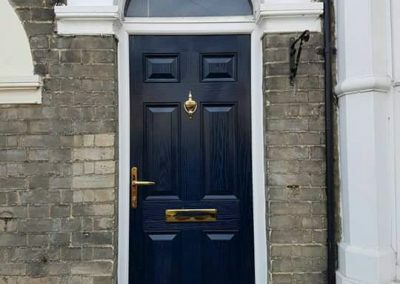 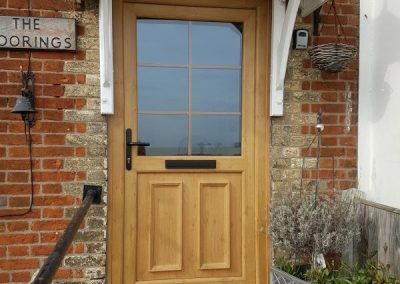 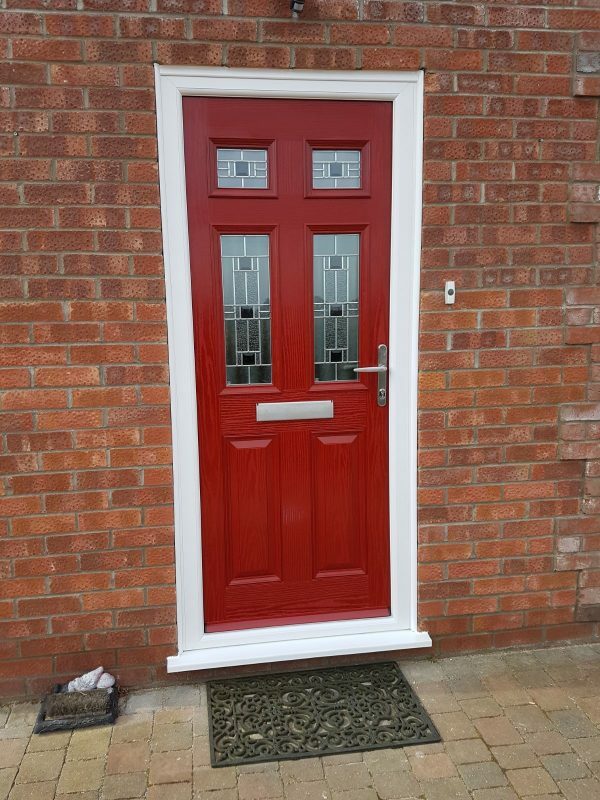 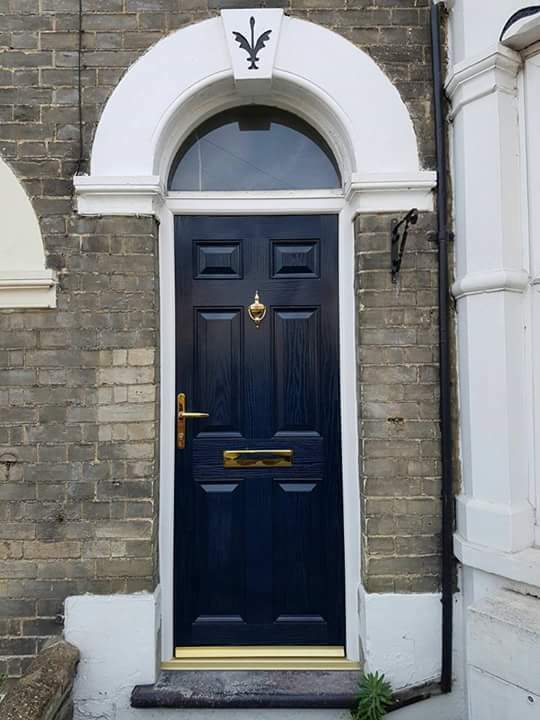 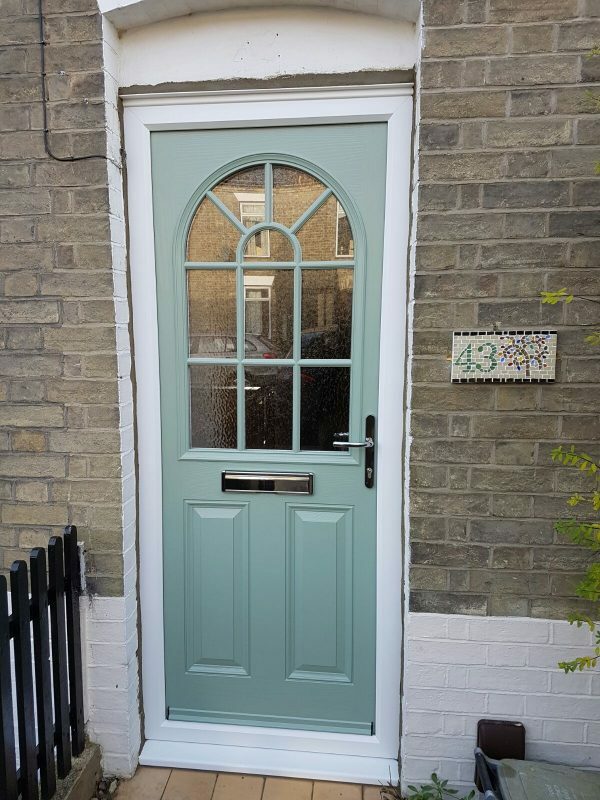 If you’d like to keep the look of your period property we also have stylish upvc period style doors. 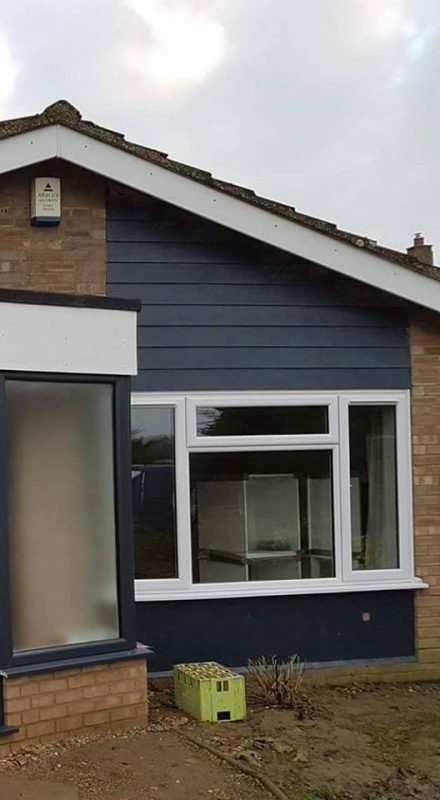 Can’t see the colour you’d like? 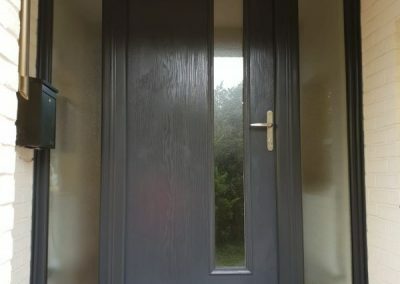 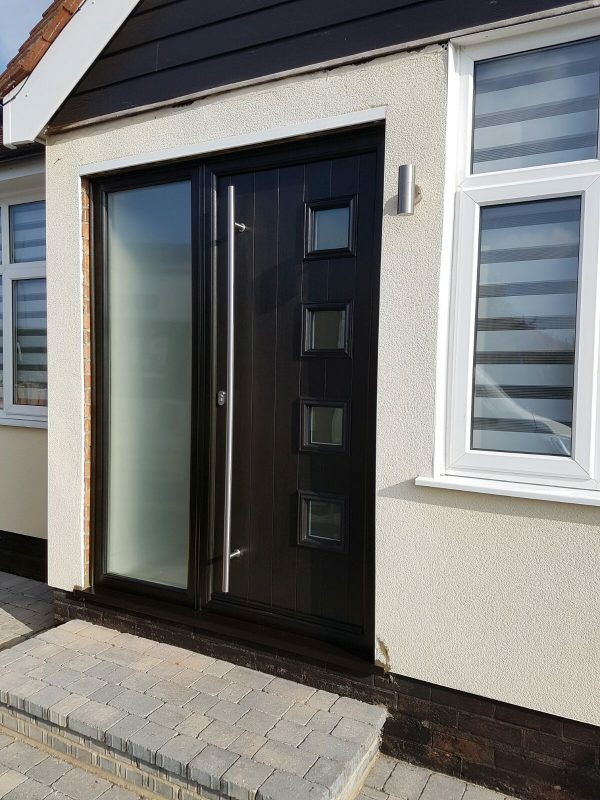 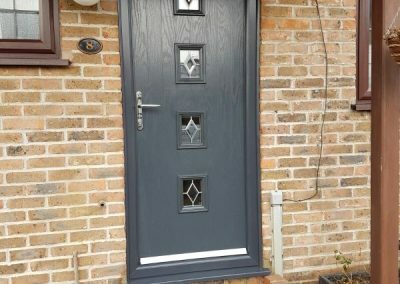 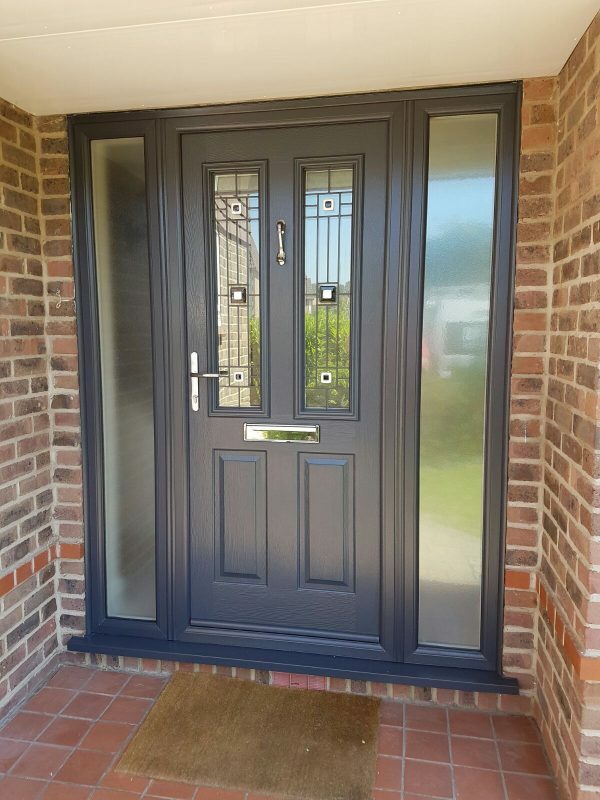 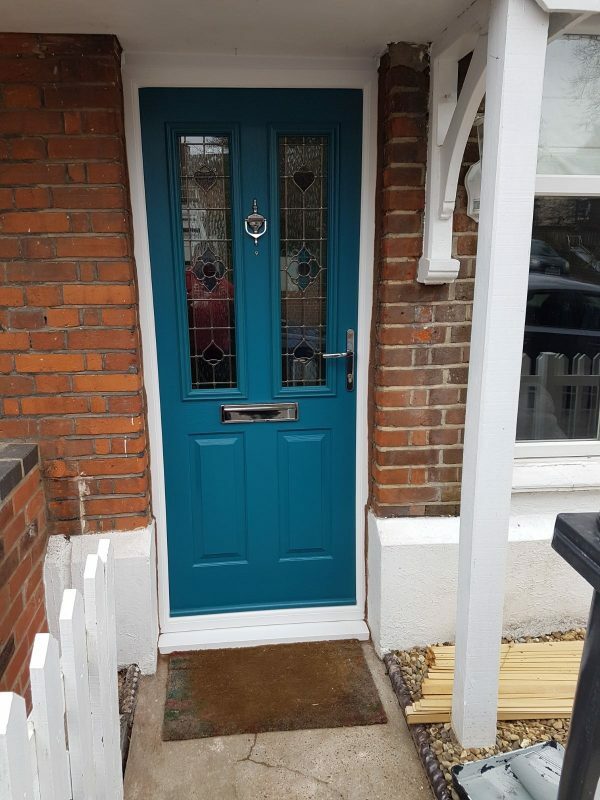 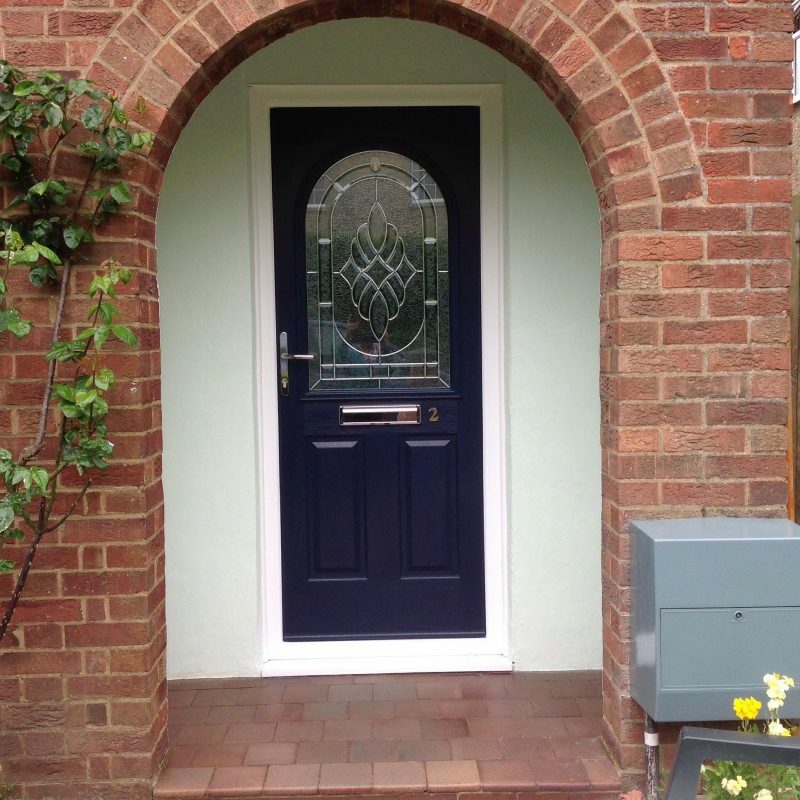 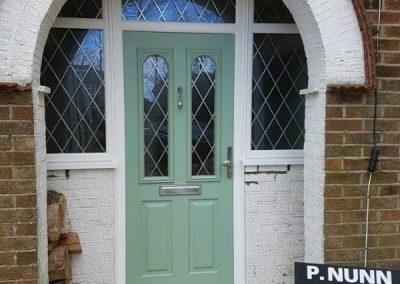 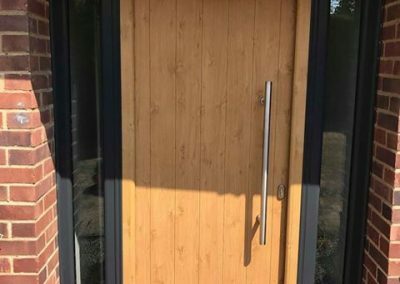 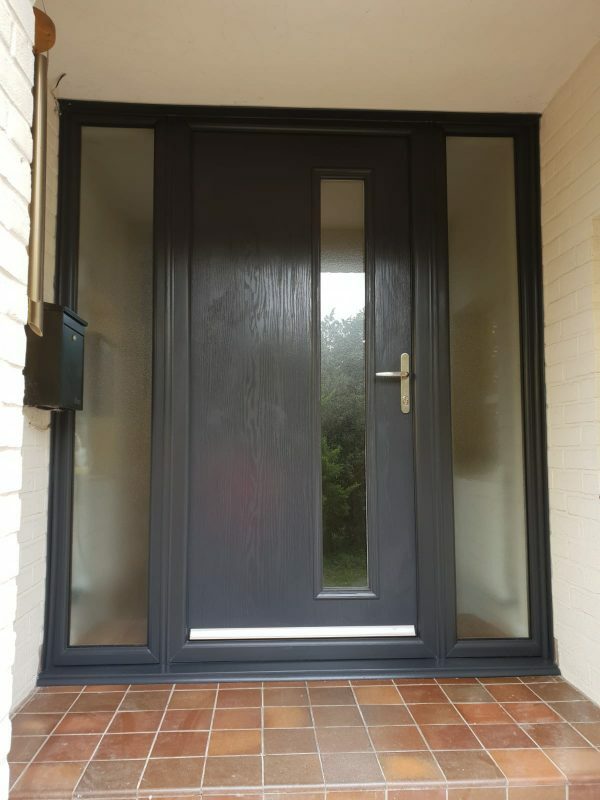 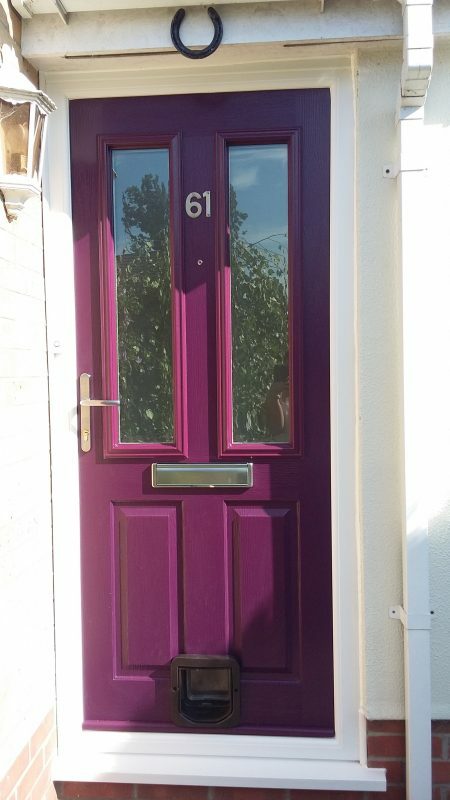 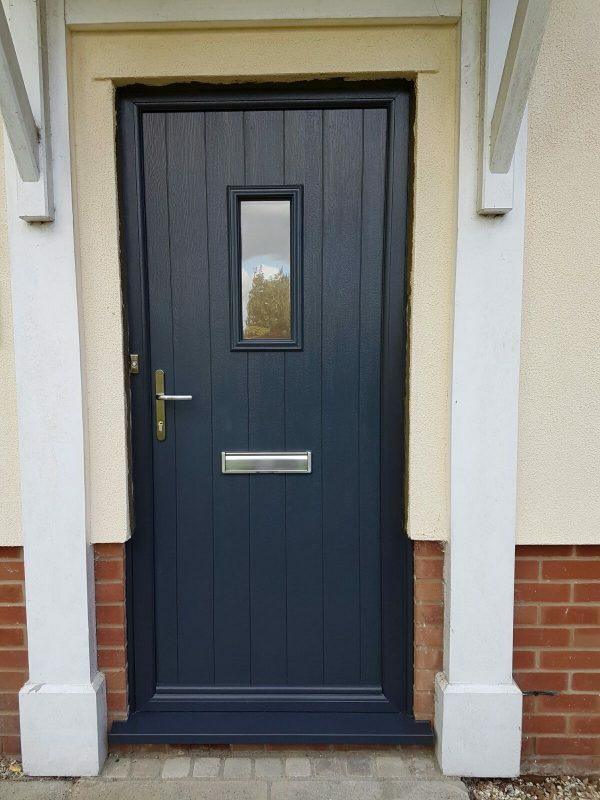 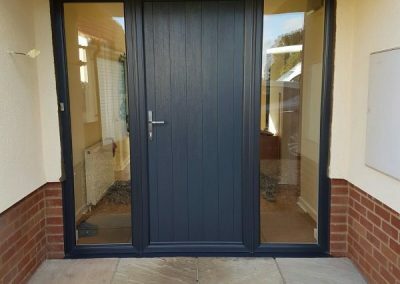 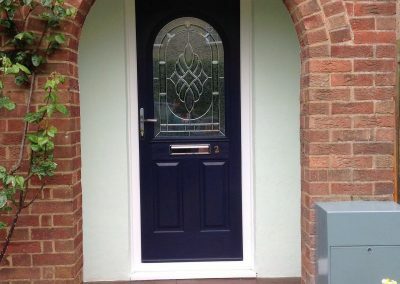 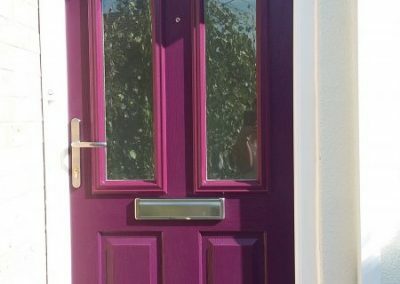 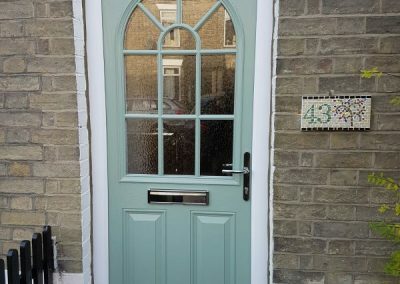 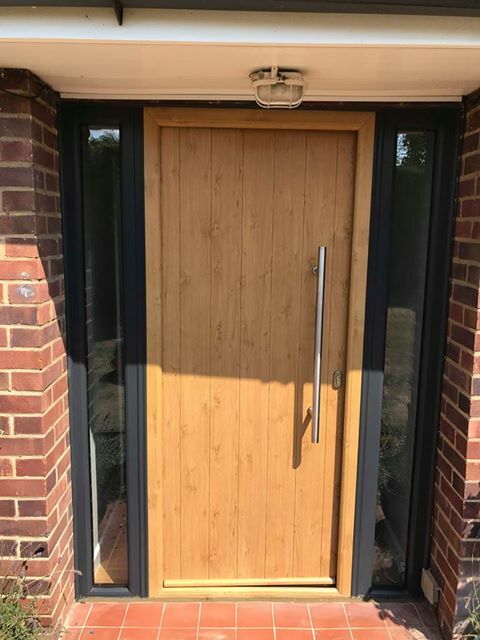 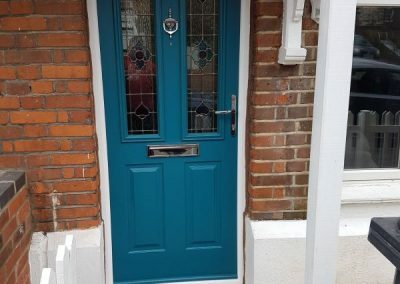 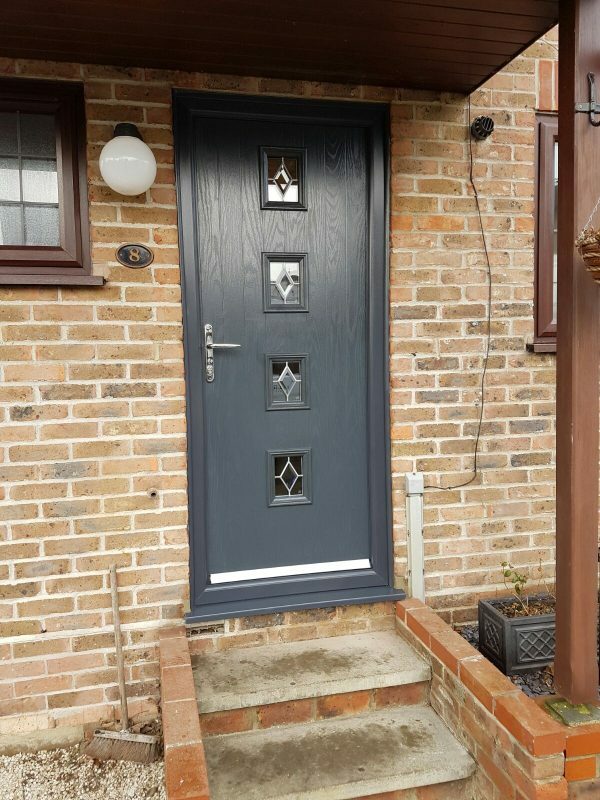 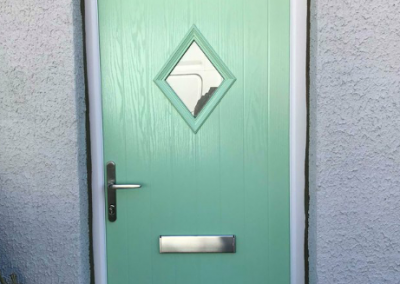 Most doors can be made with any RAL colour. 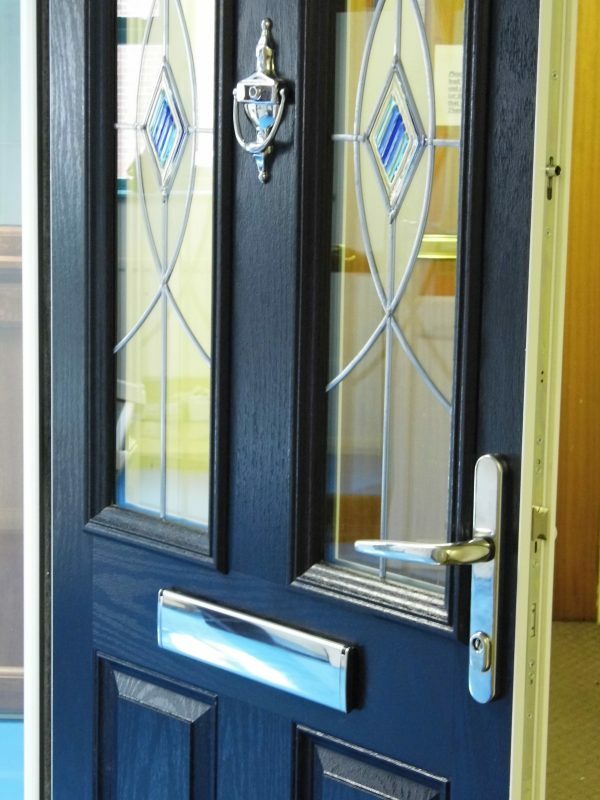 All doors come with a 10 year insurance backed guarantee (QANW) and will be Certass registered. 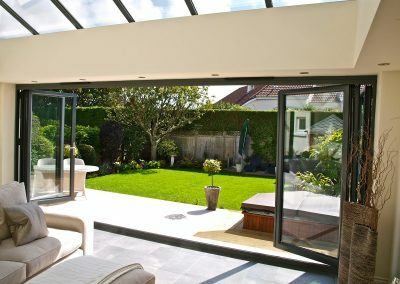 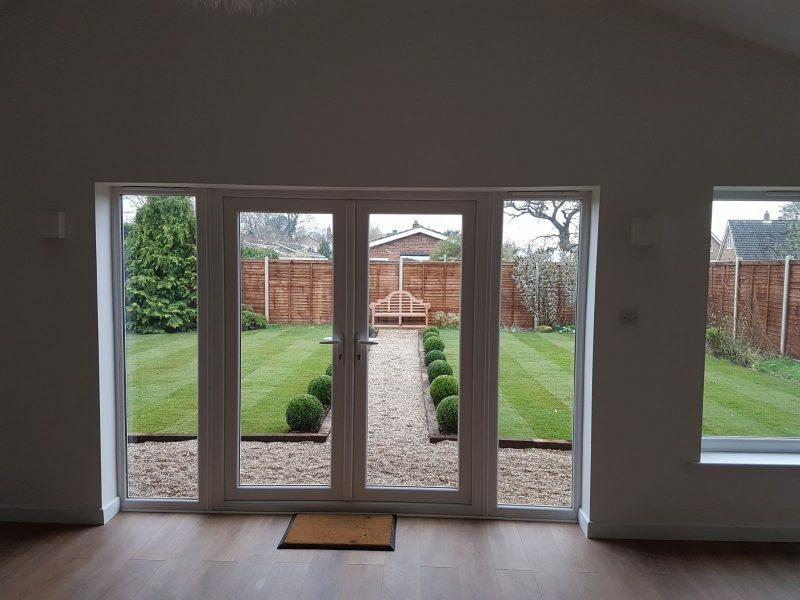 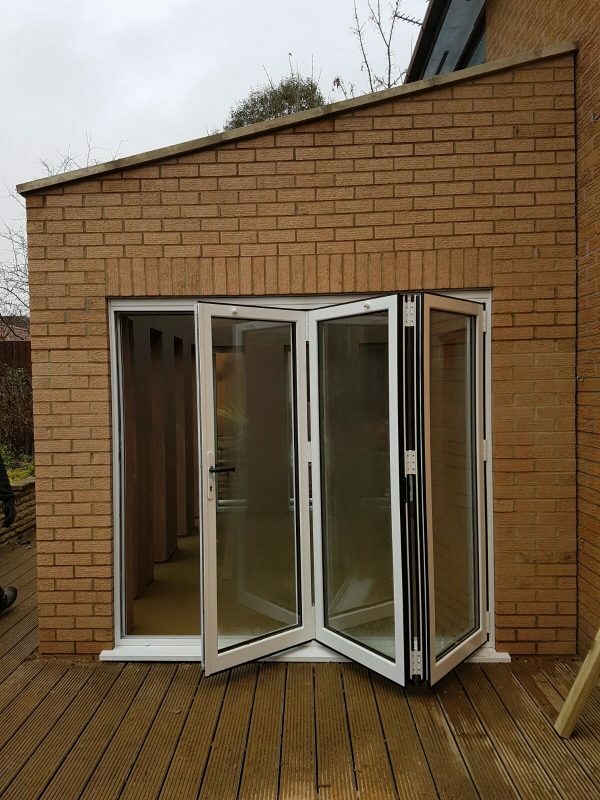 A must have feature in many new homes, bi-fold doors create an open, versatile living space bringing the outdoors into the home. 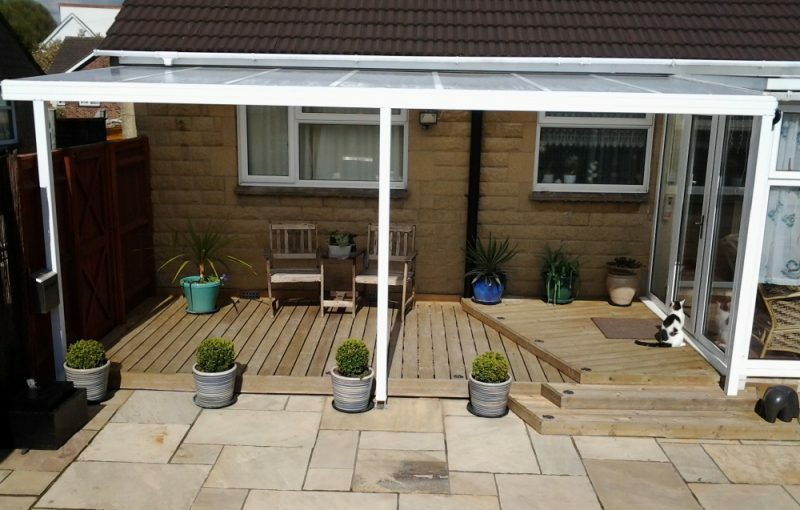 Available in Upvc or Aluminium, flush or weathered tracks in a variety of different colours and configurations. 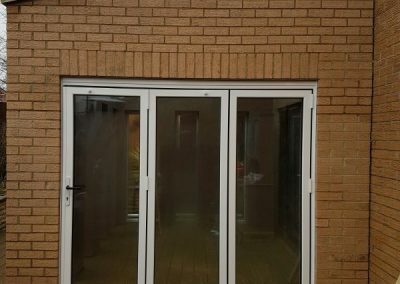 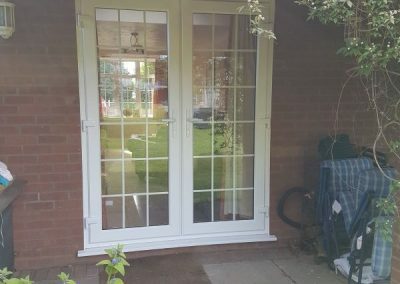 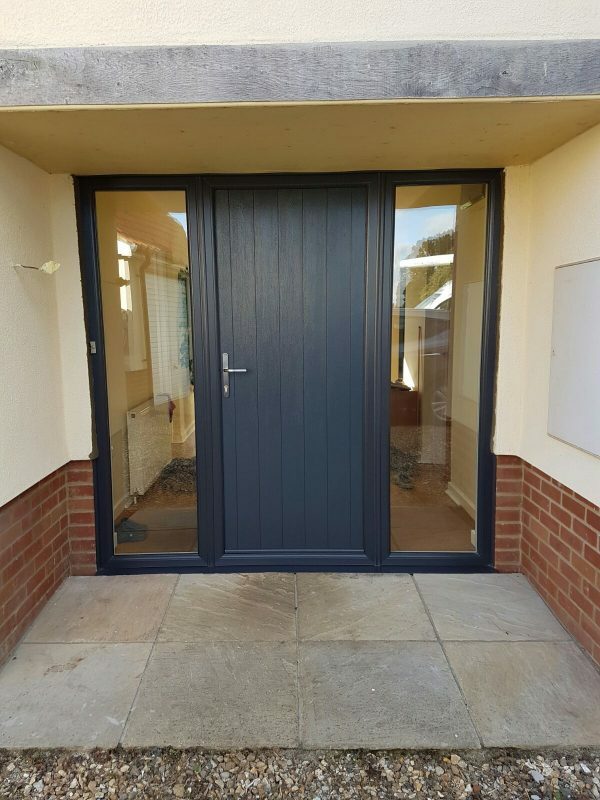 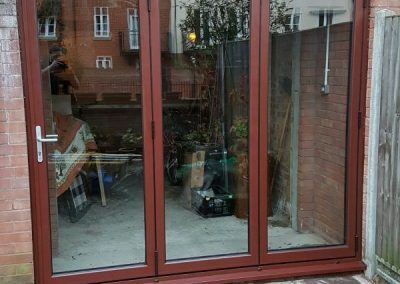 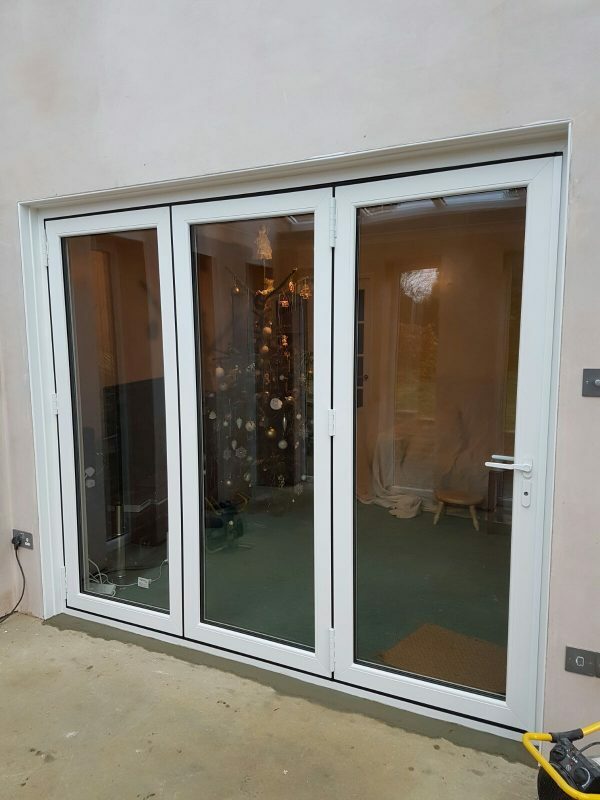 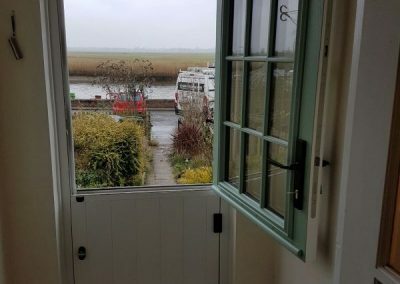 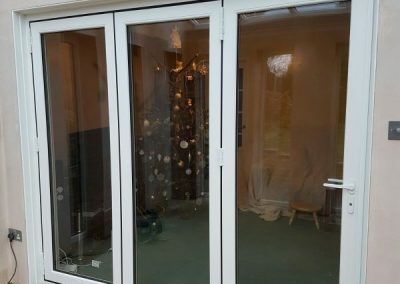 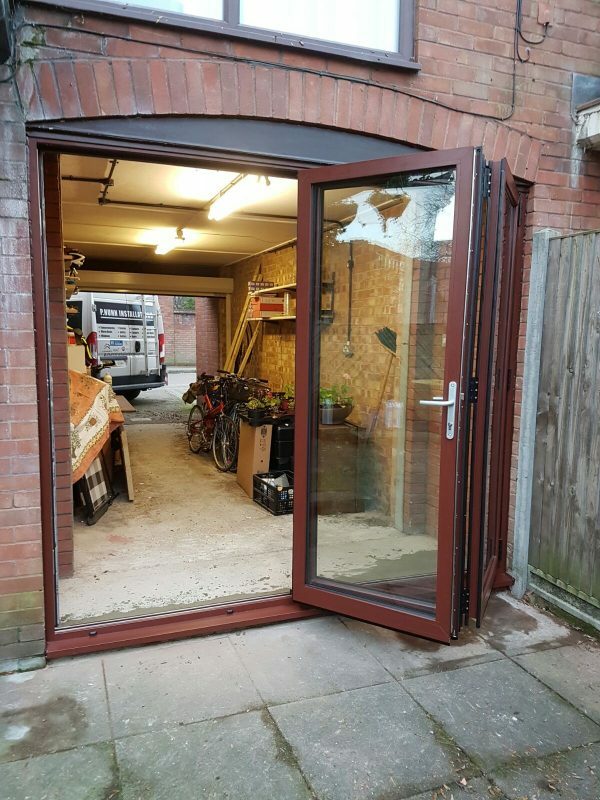 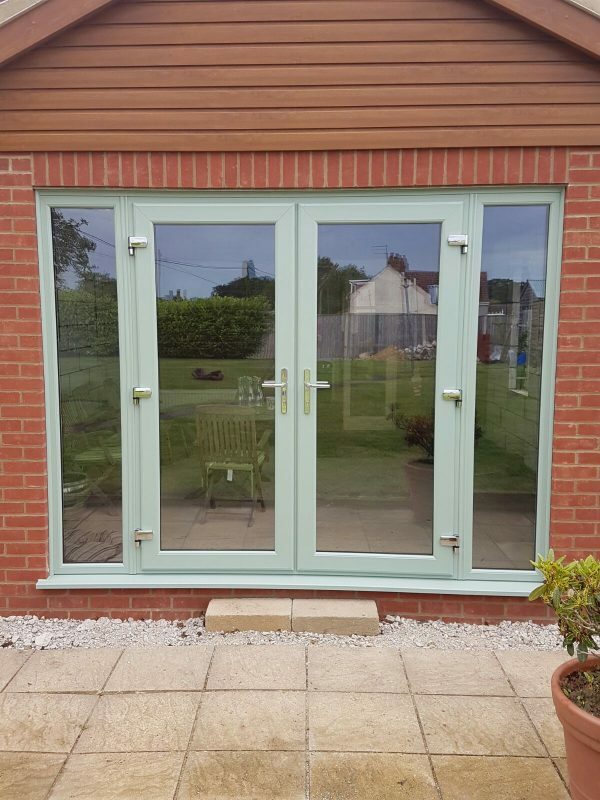 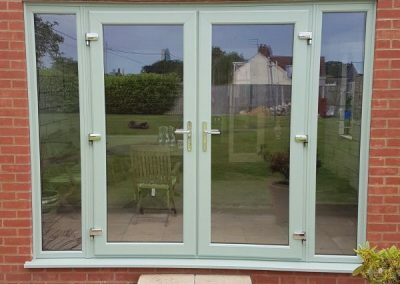 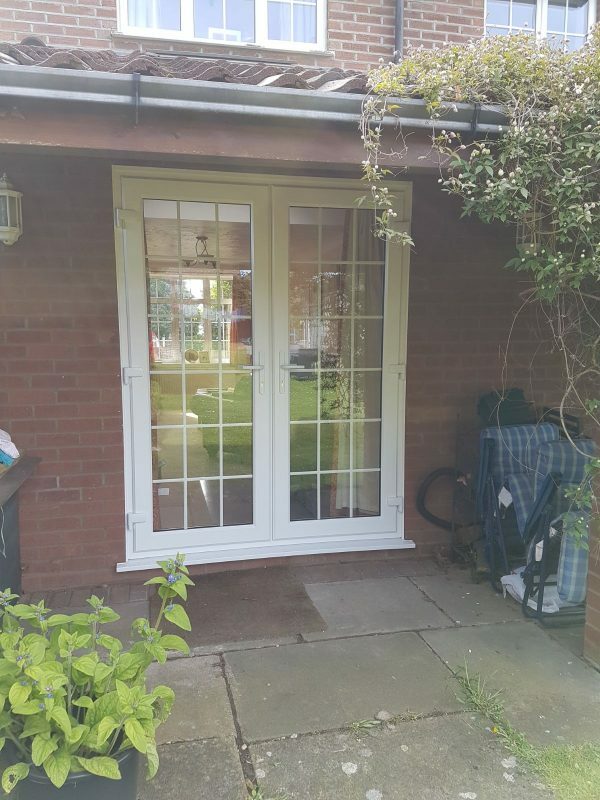 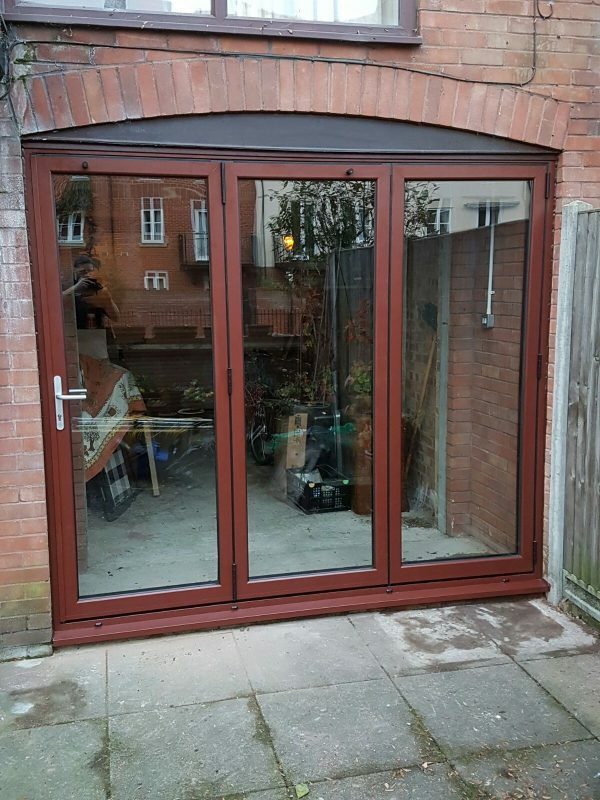 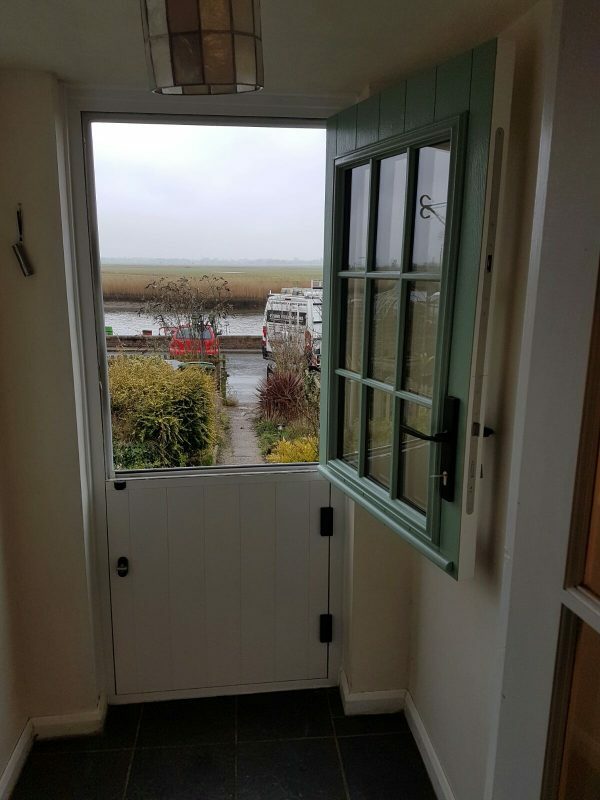 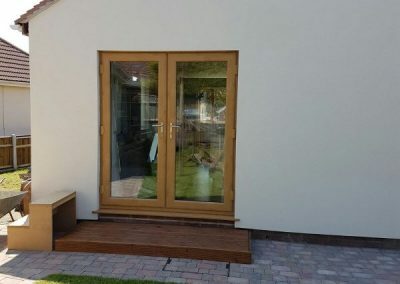 French doors are again available in many styles and colours and add a striking opening at the back of a property. 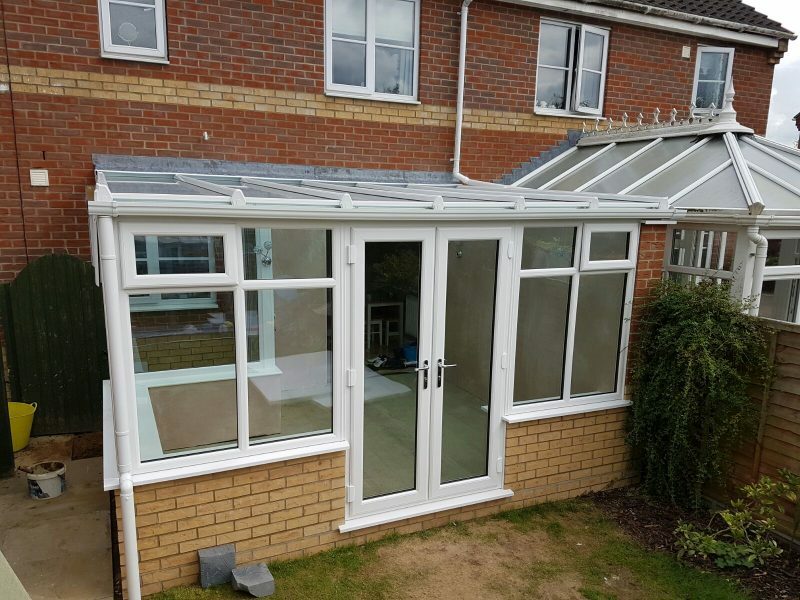 Add some extra living space to your home with the addition of a conservatory. 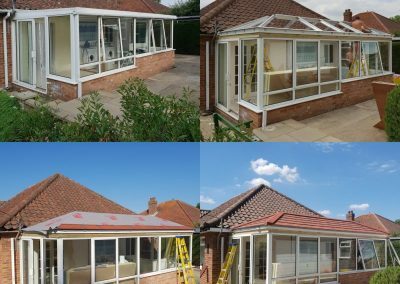 We provide advice, support and recommendations every step of the way from planning right through to the finished product. 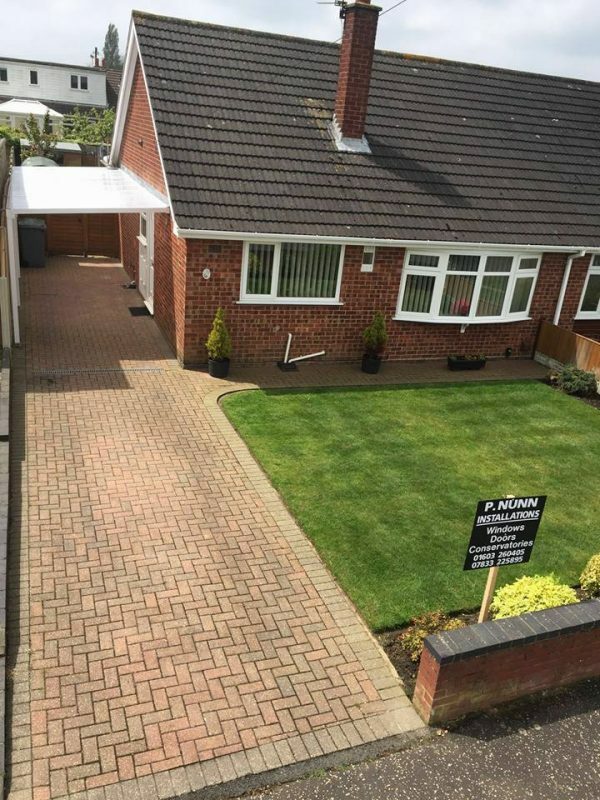 Whatever you’re after you can be sure to find what you’re looking for with us and at very competitive prices too. 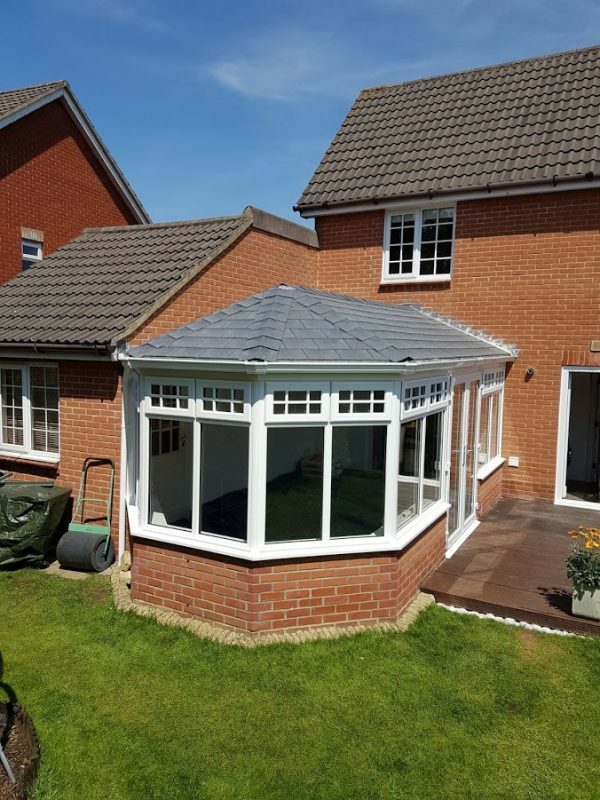 We are a Team Guardian Warm Roof™ Approved Installer, one of only a few approved installers in East Anglia. 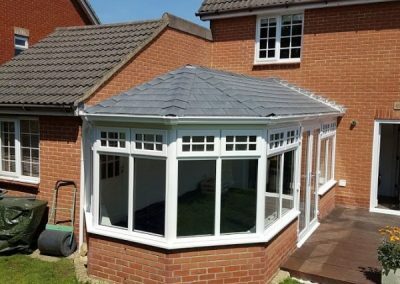 A warm roof allows you to extend your living space and adds value to your home. 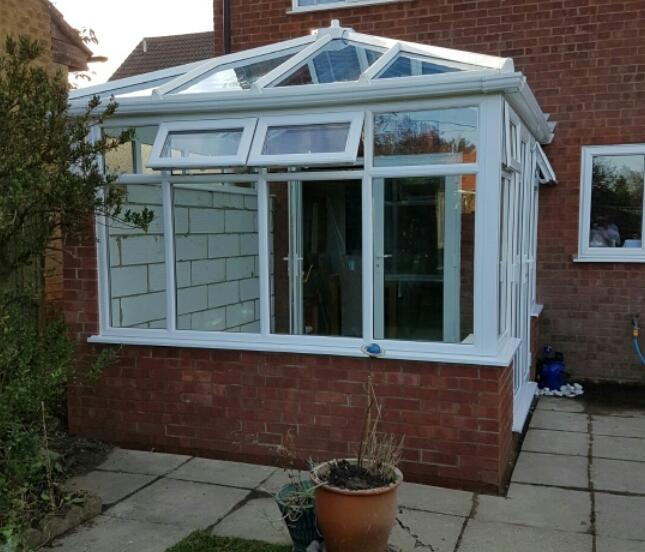 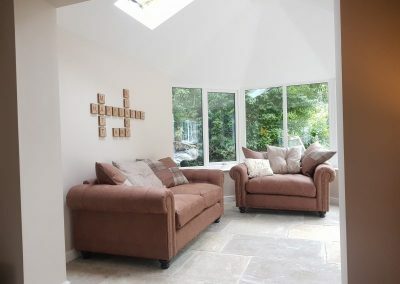 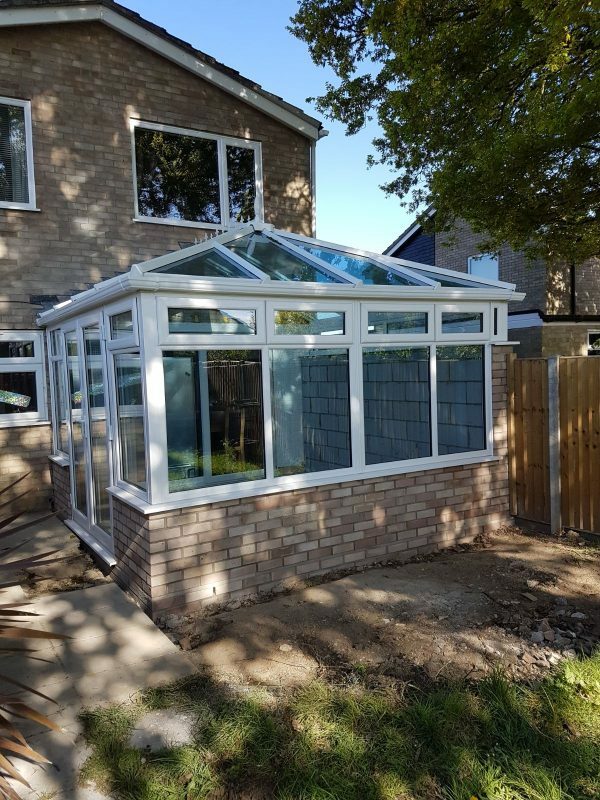 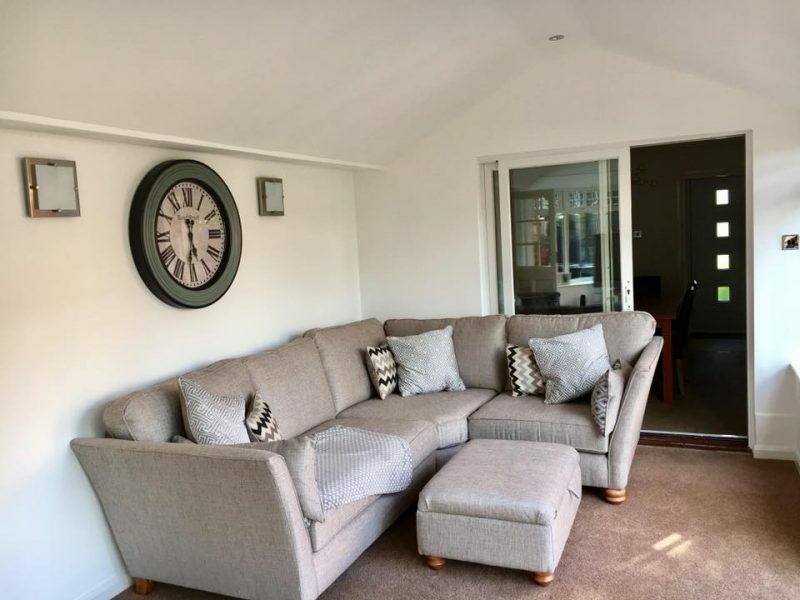 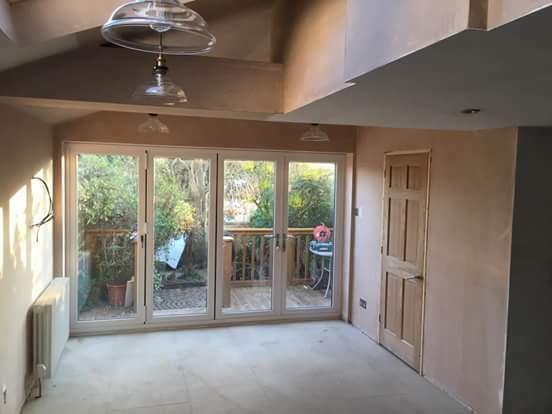 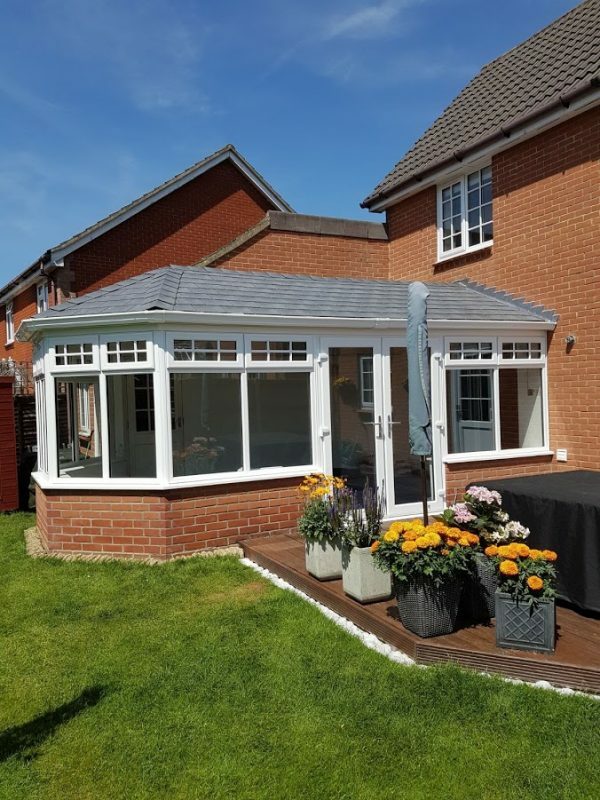 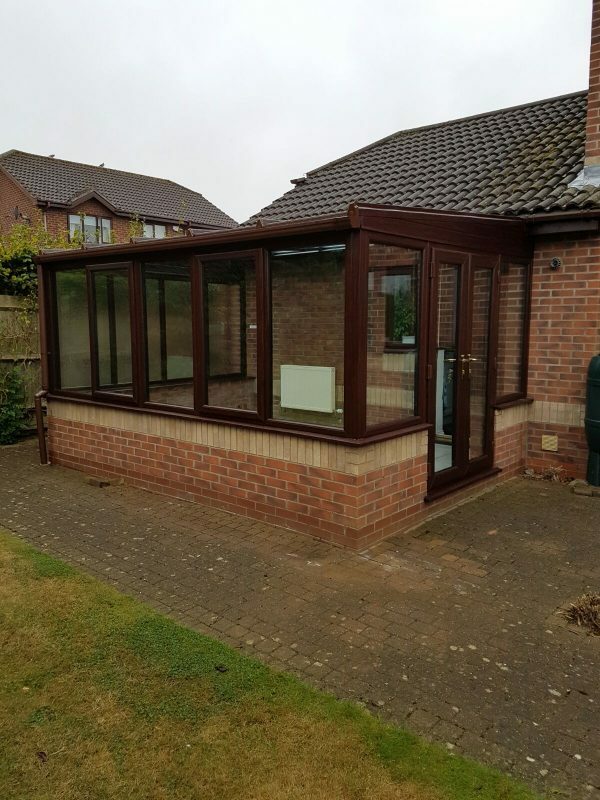 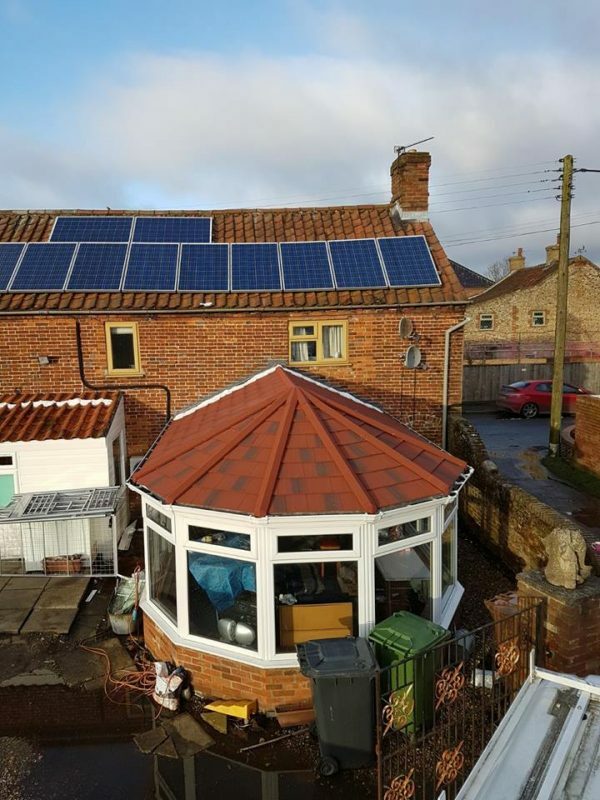 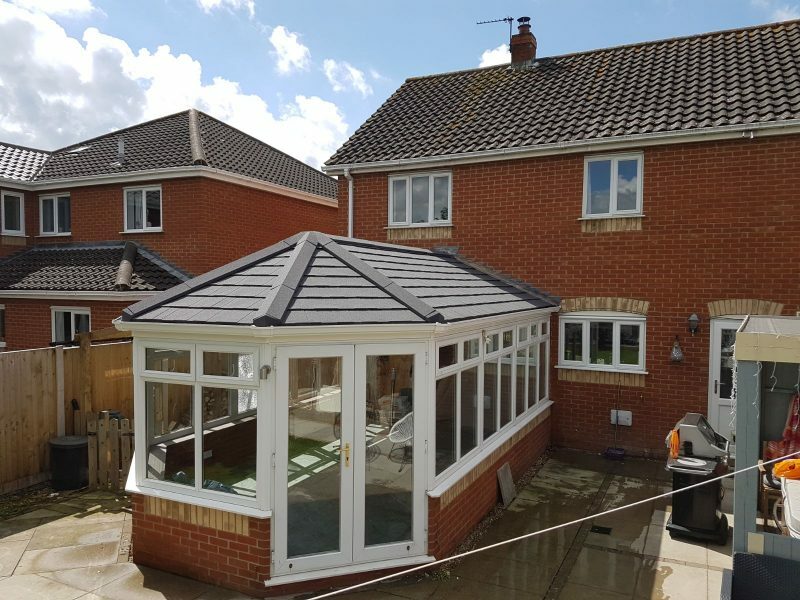 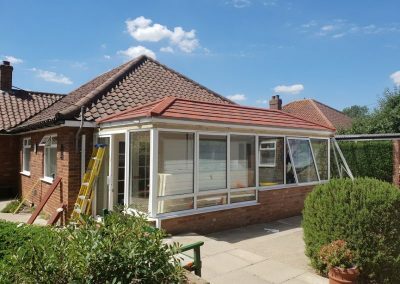 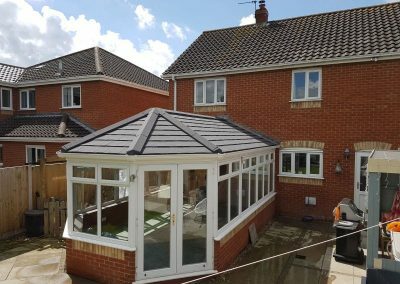 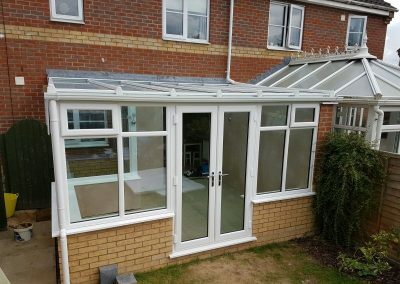 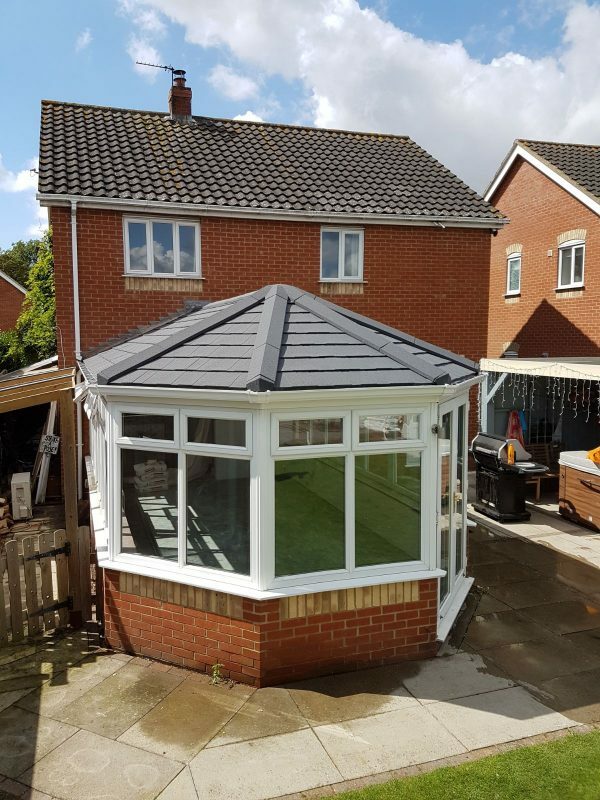 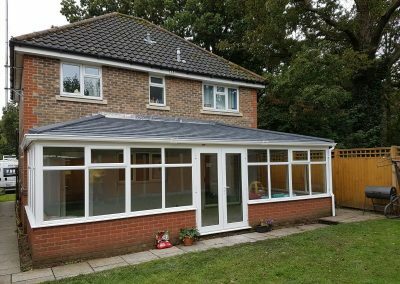 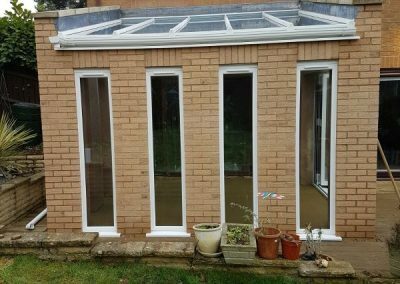 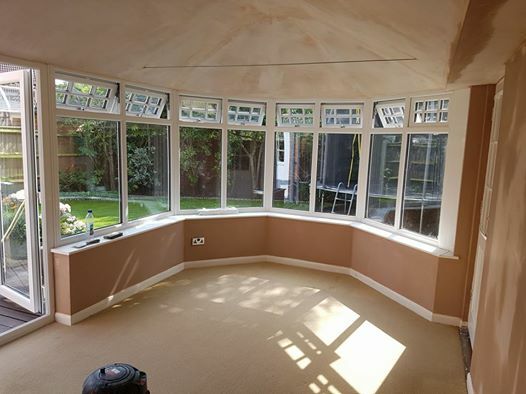 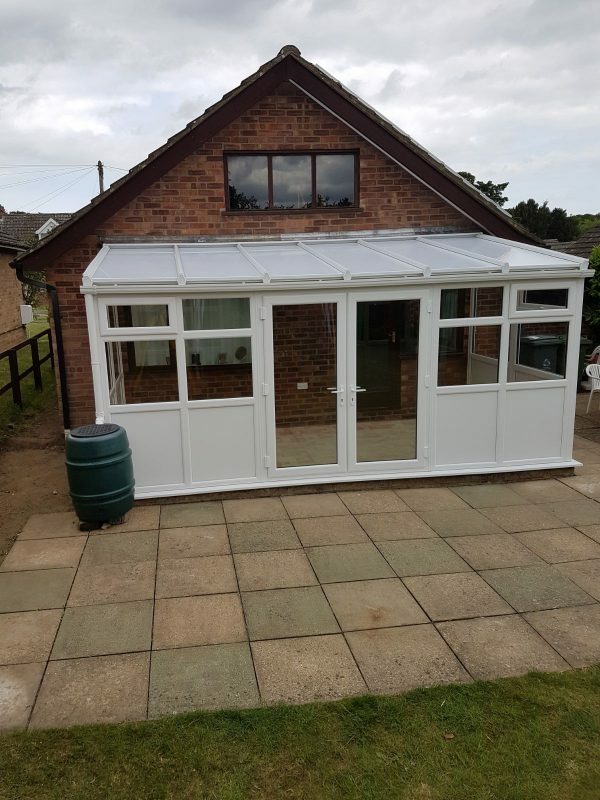 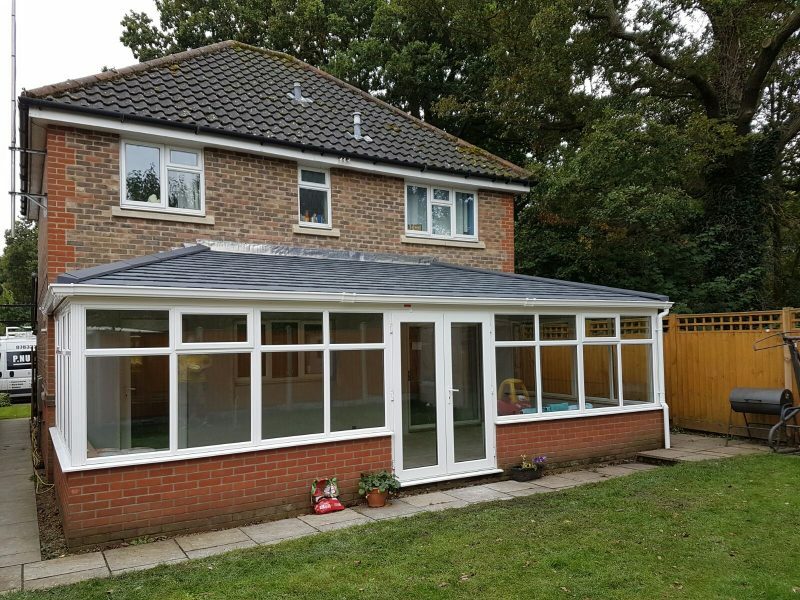 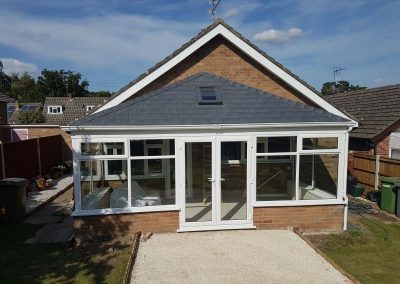 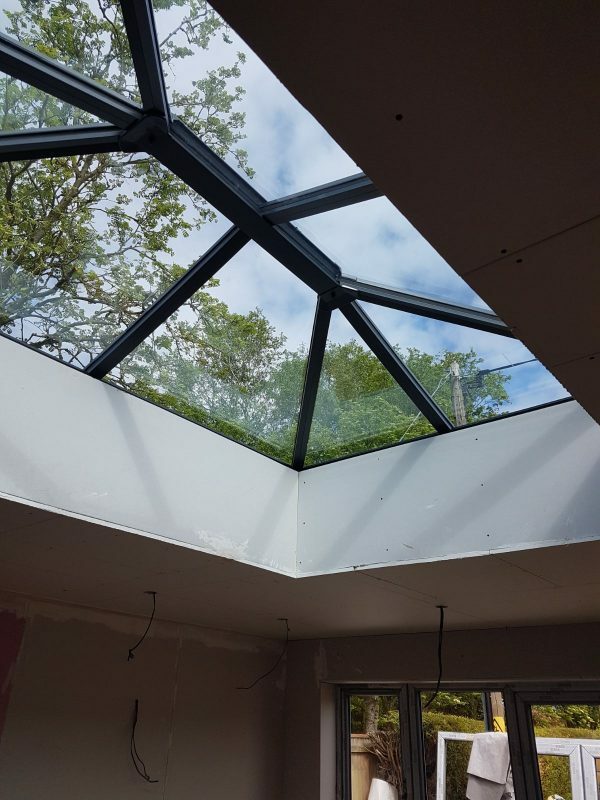 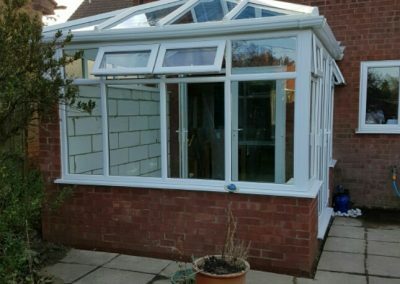 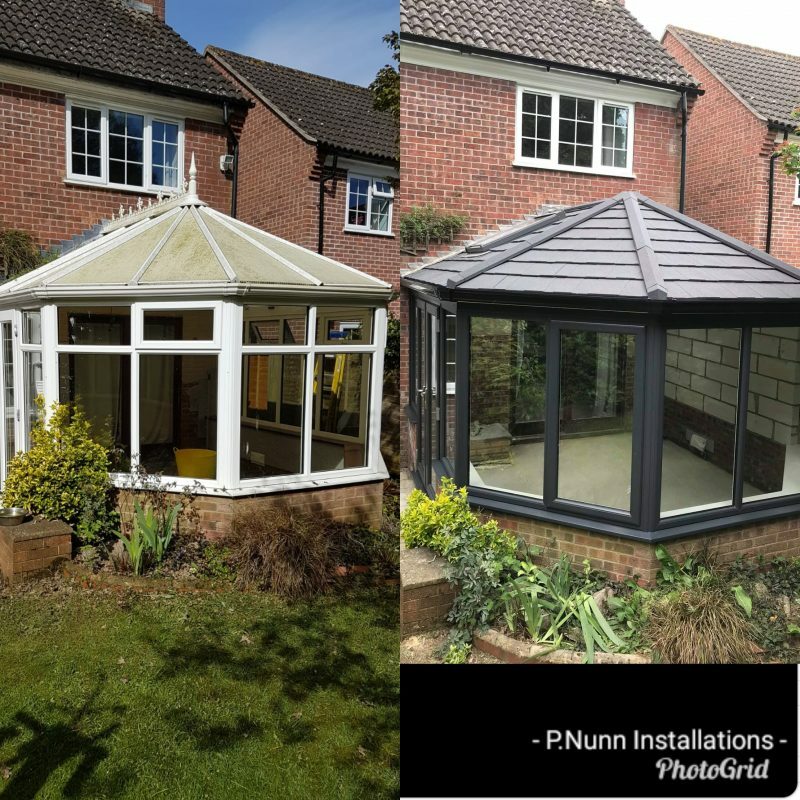 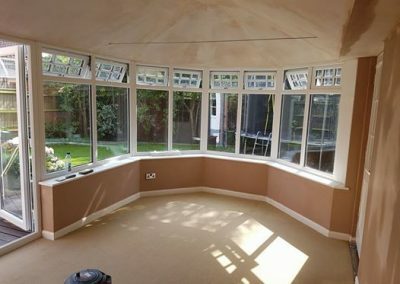 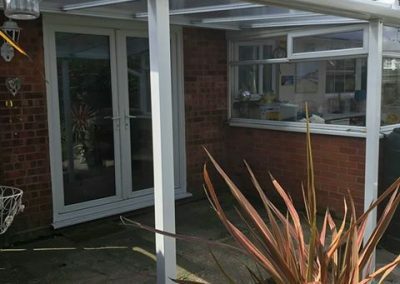 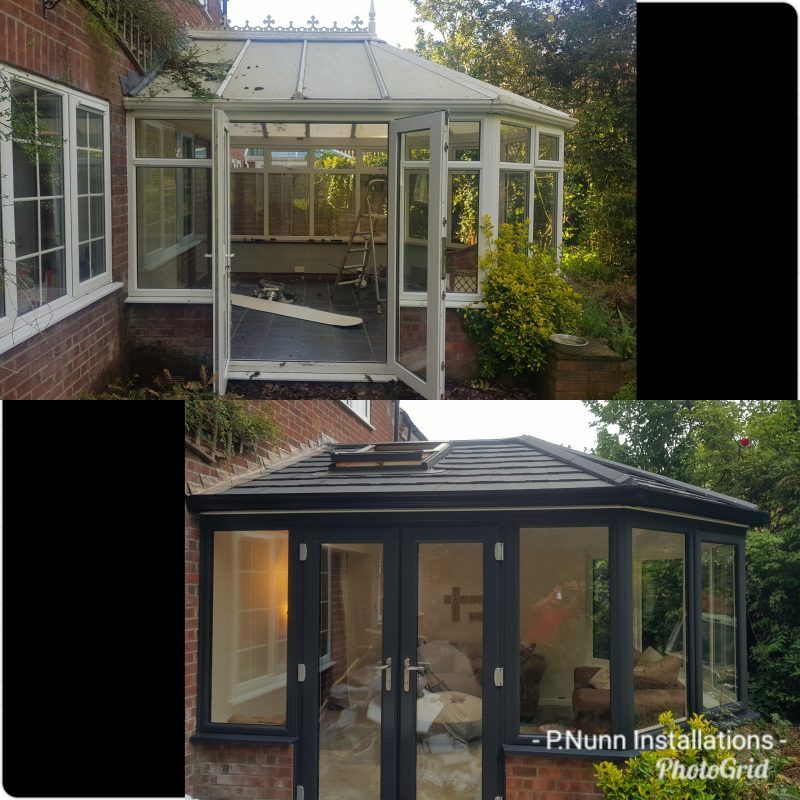 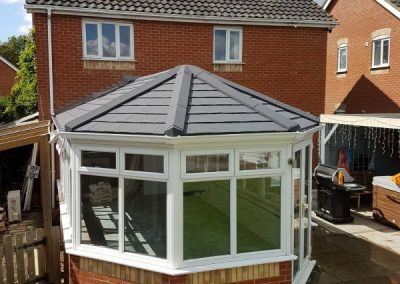 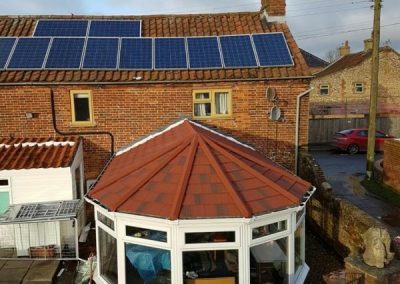 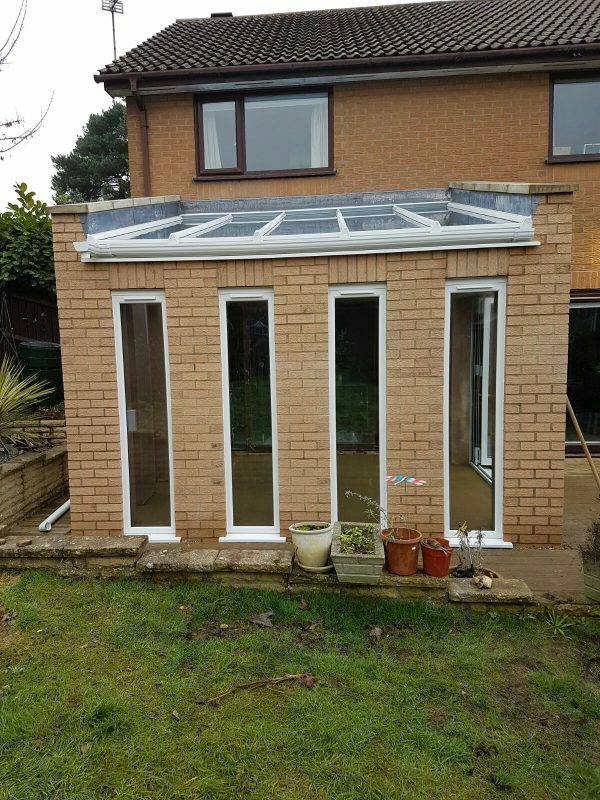 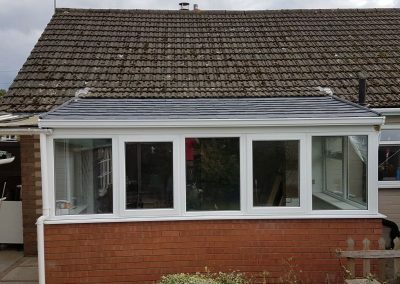 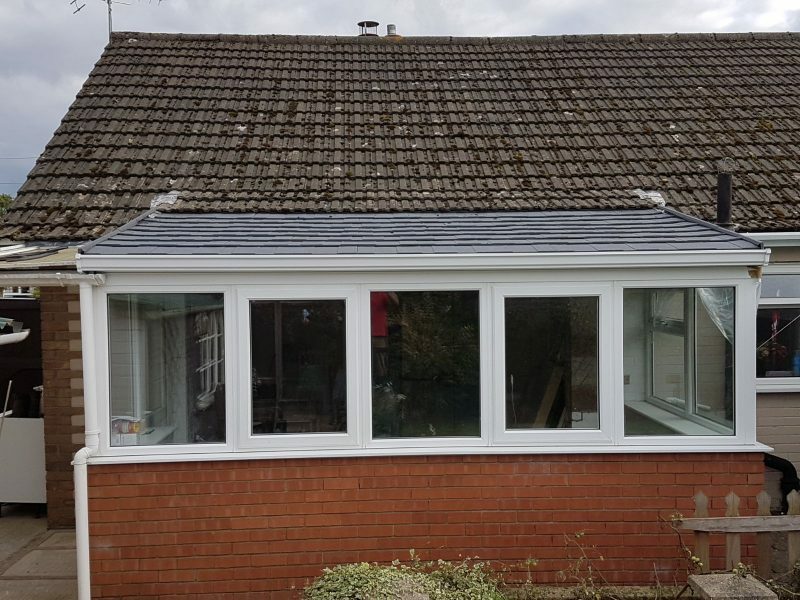 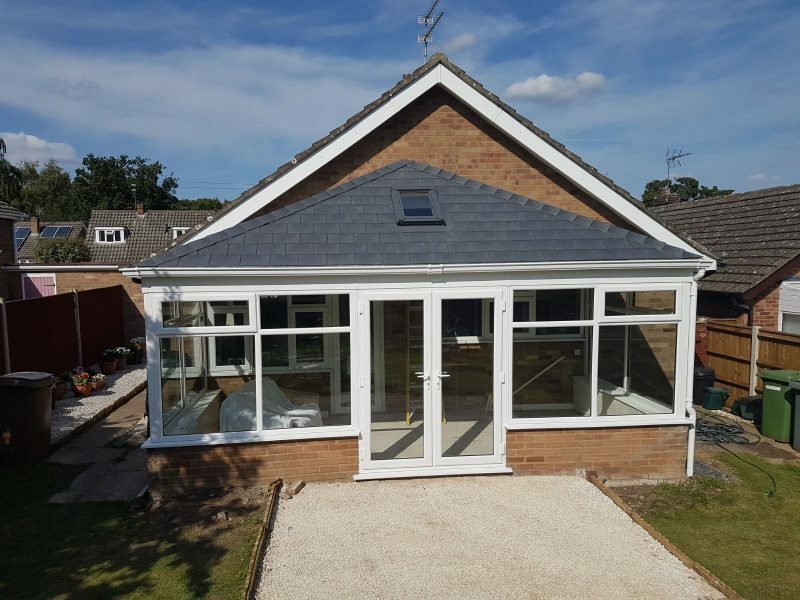 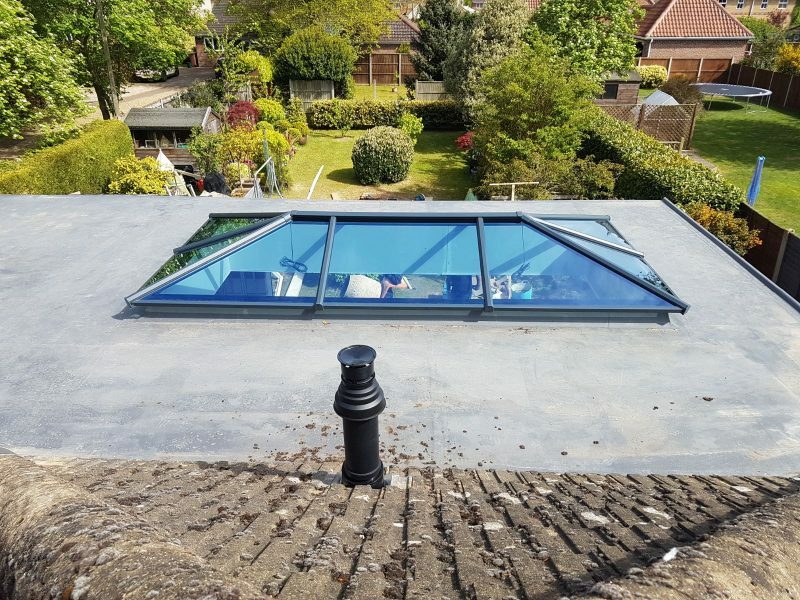 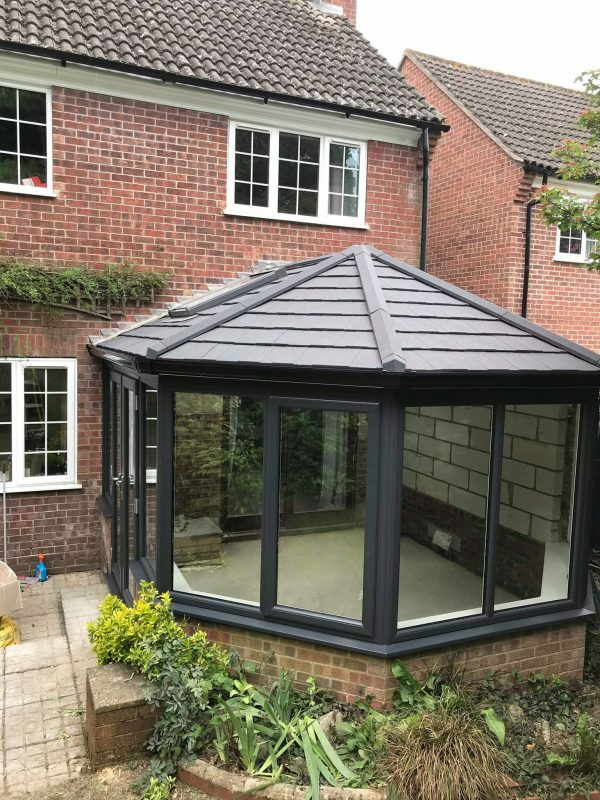 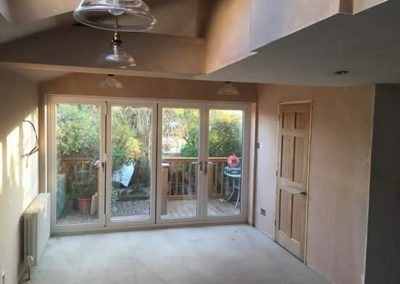 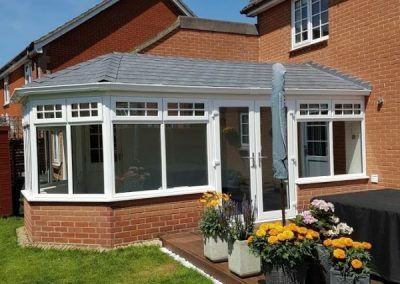 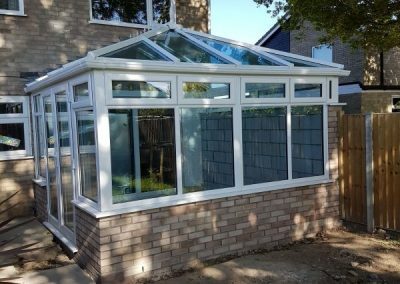 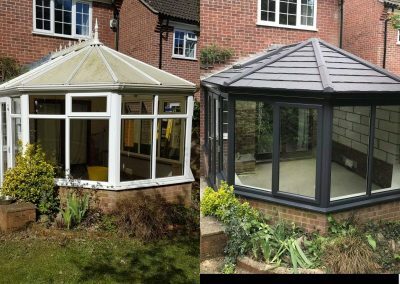 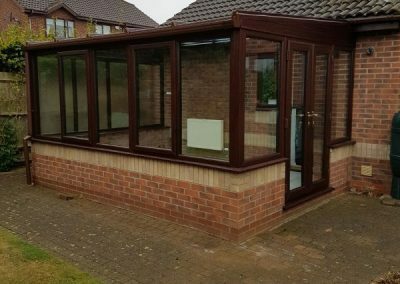 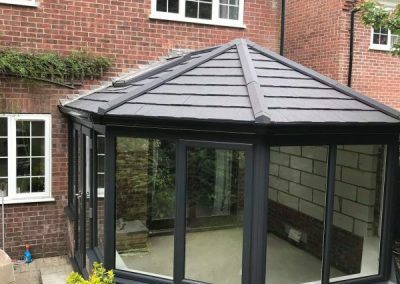 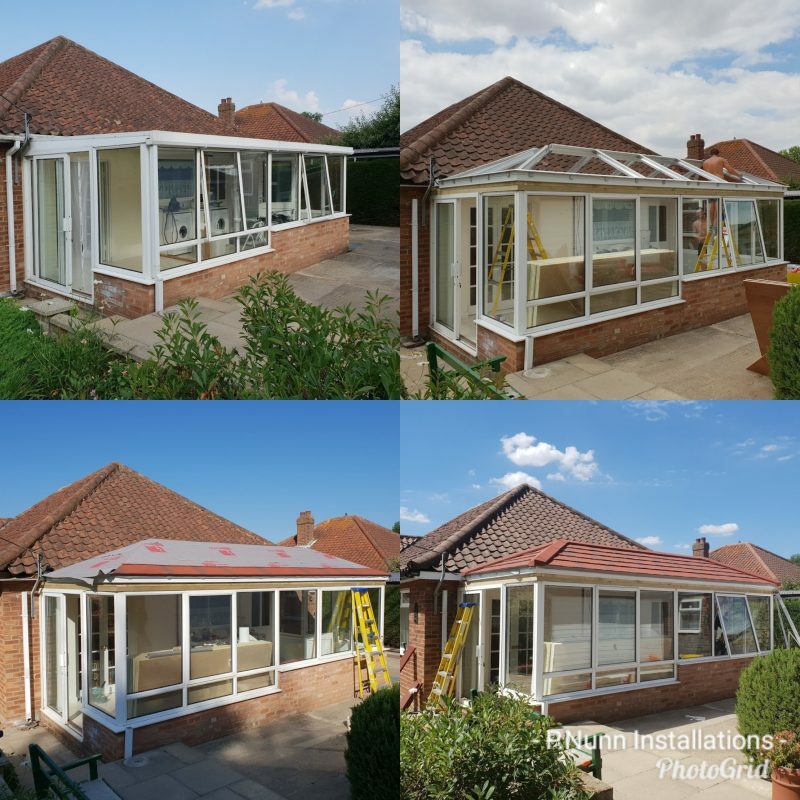 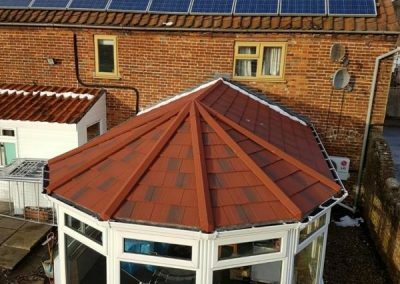 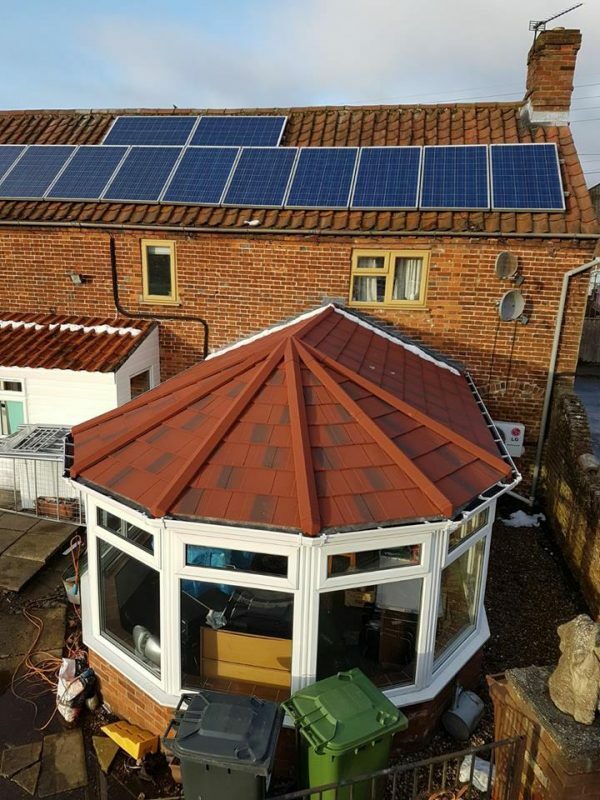 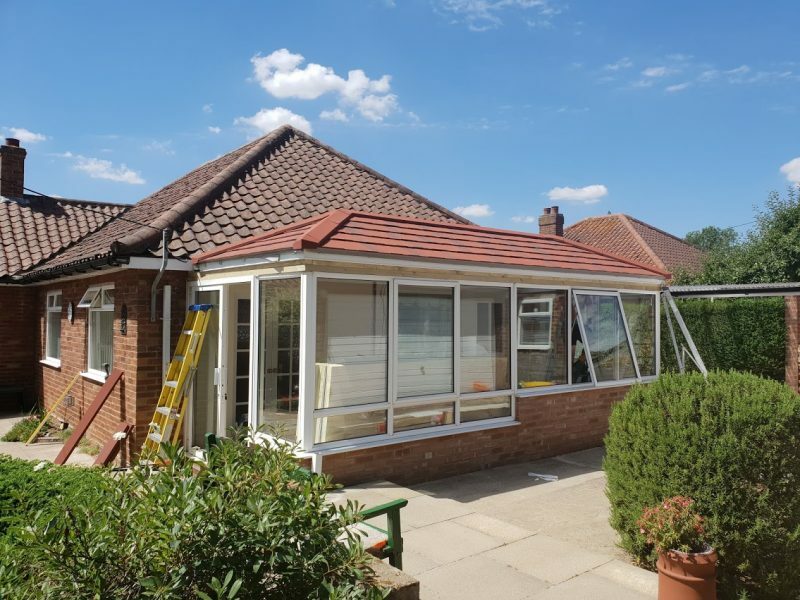 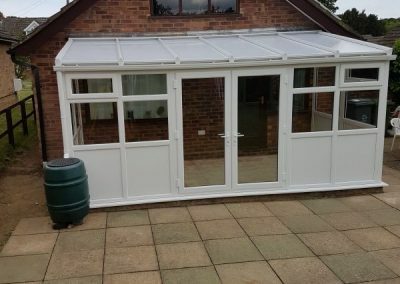 The fully insulated tiled roof replaces the existing roof making the space warmer in the colder months and cooler in the warmer months, giving you year round usage of your conservatory. 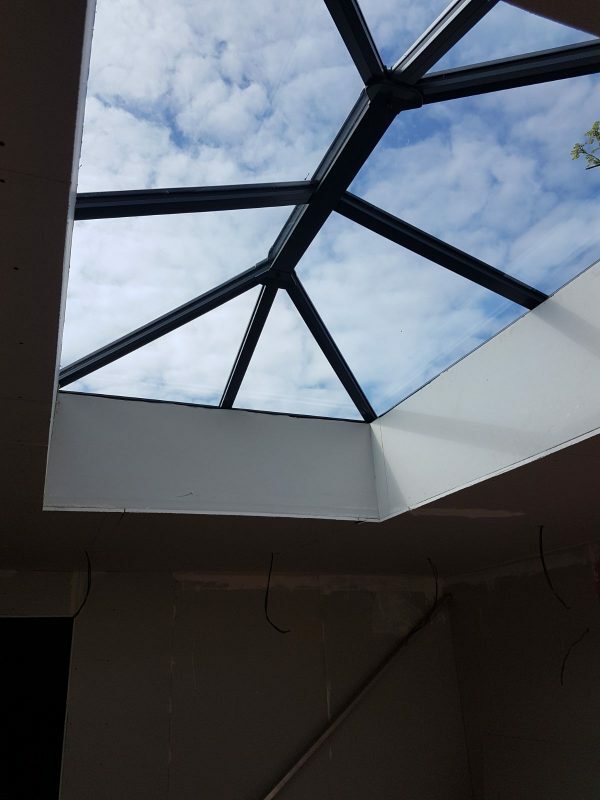 With a variety of different options to choose from for both the internal and external finishes including plastering and lighting. 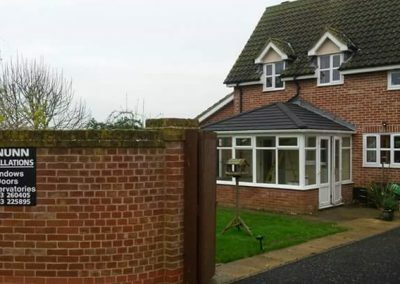 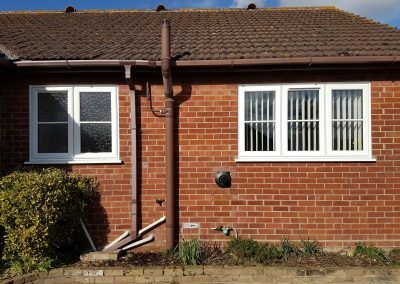 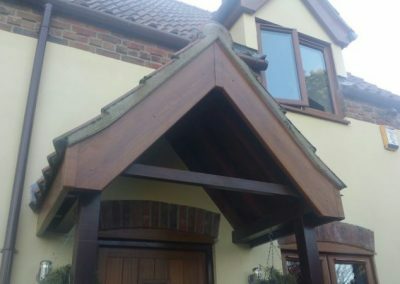 Unsightly fascia, soffits and guttering can really age the look of a home as well as sometimes causing damaging leaks. 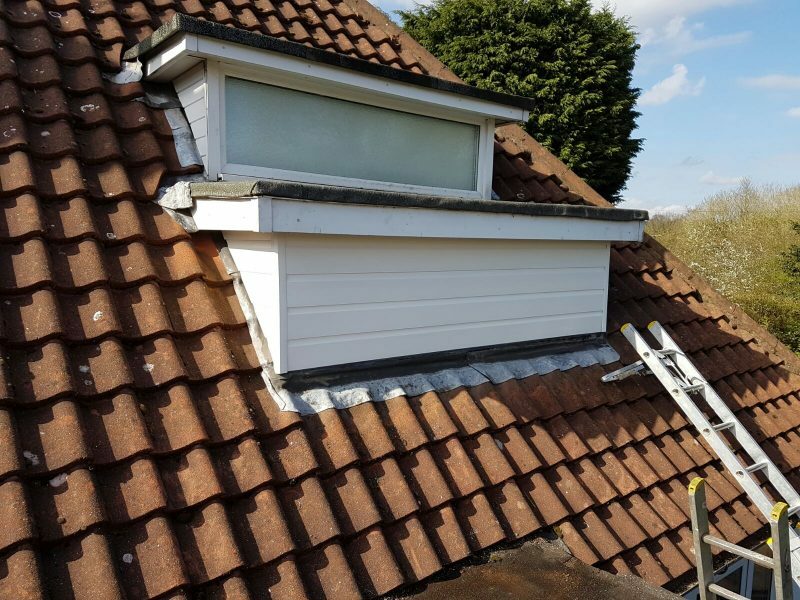 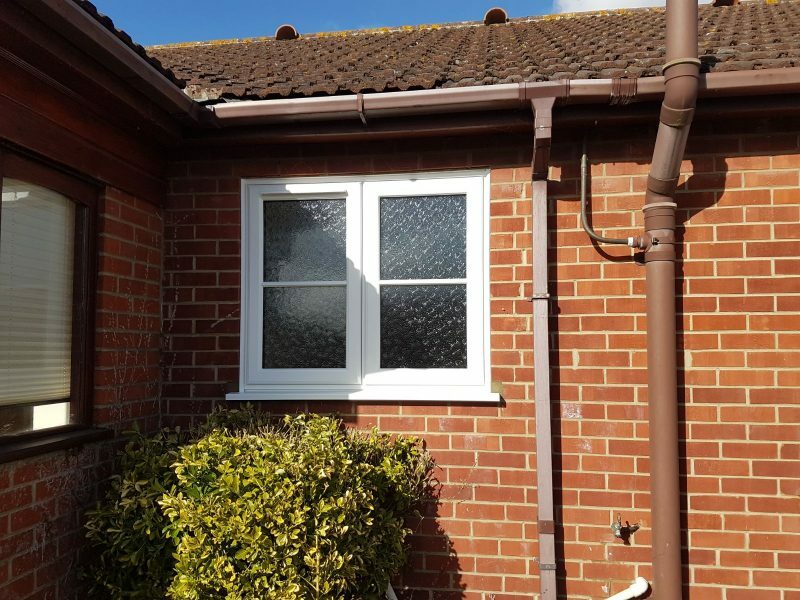 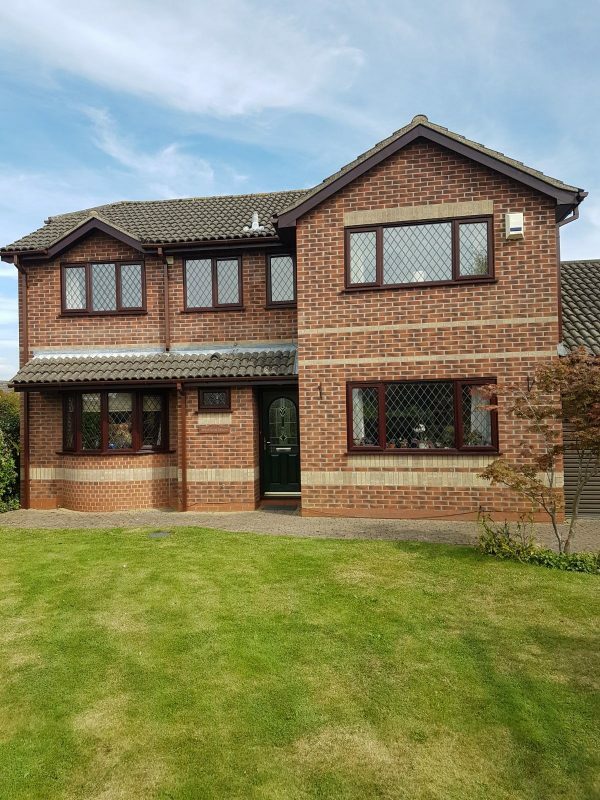 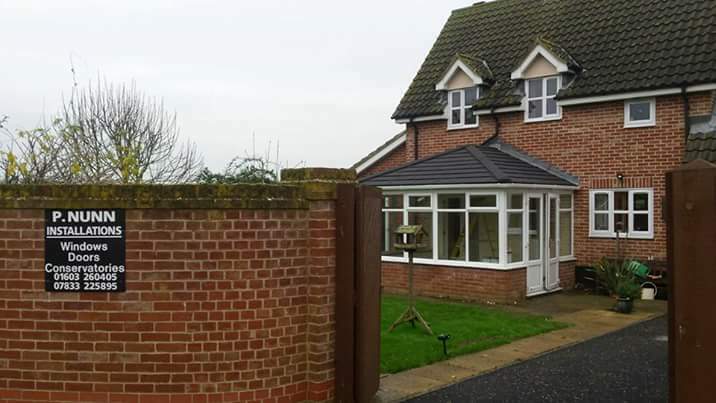 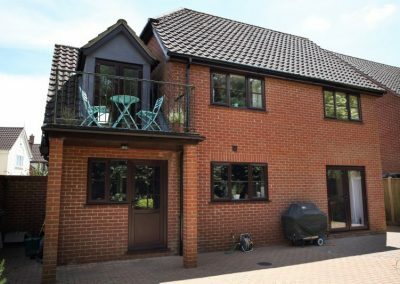 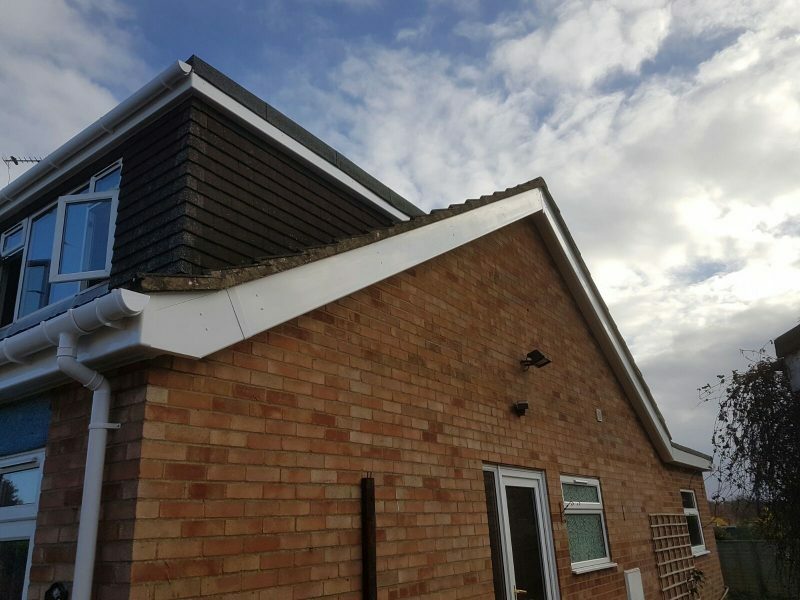 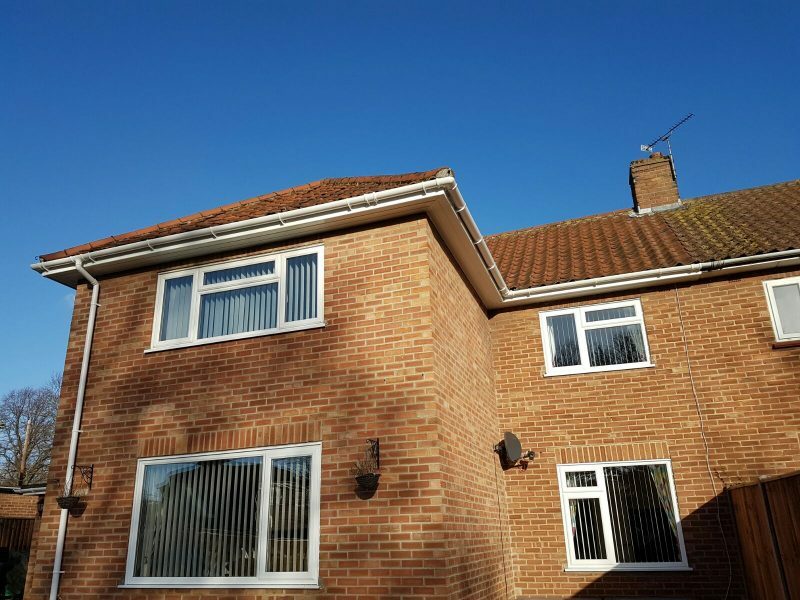 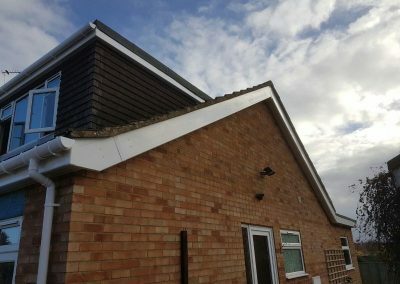 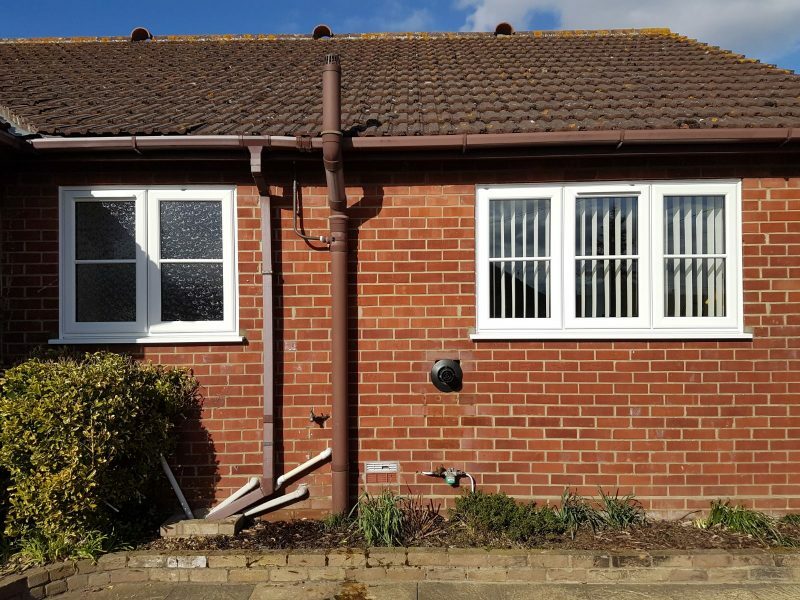 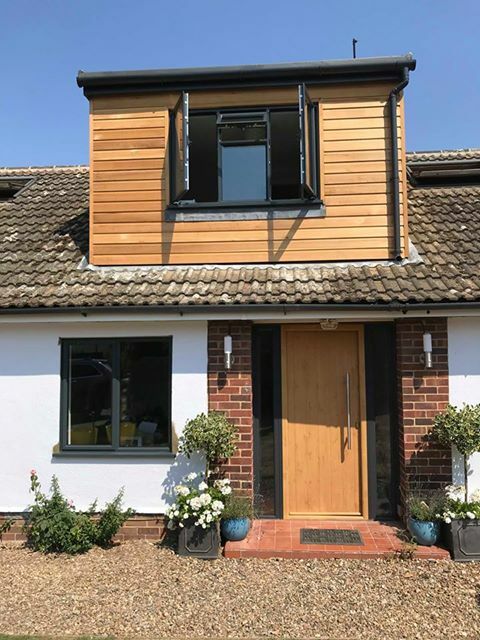 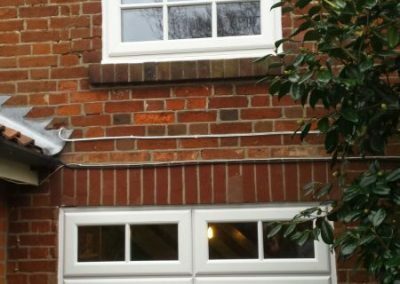 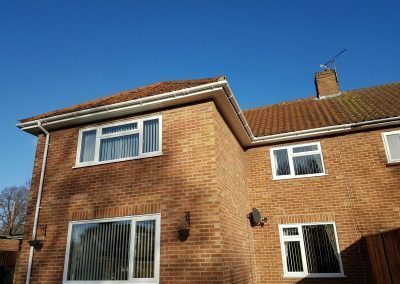 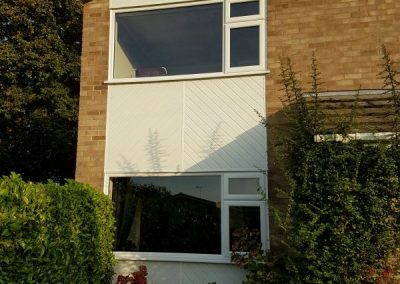 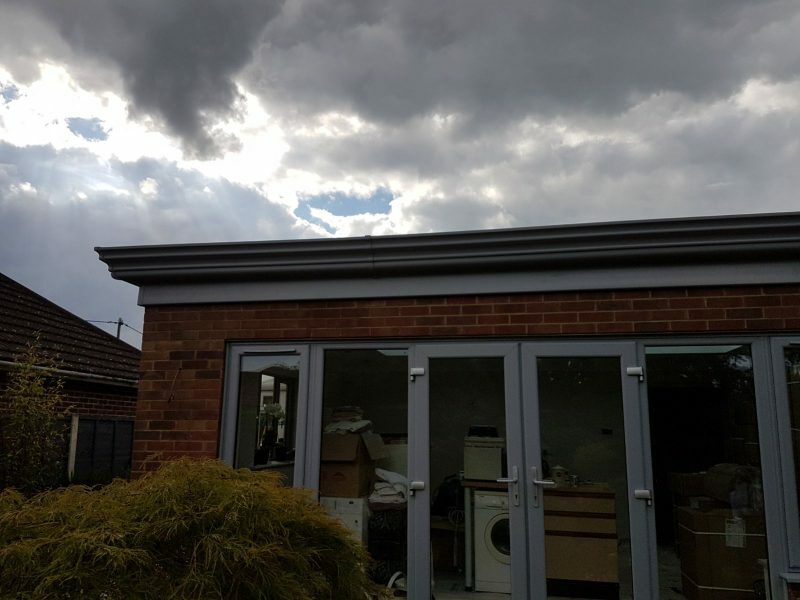 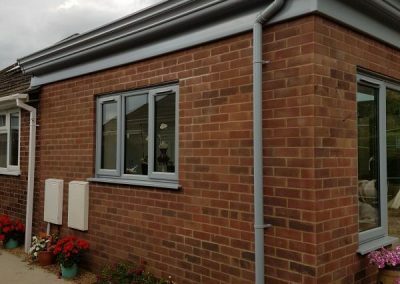 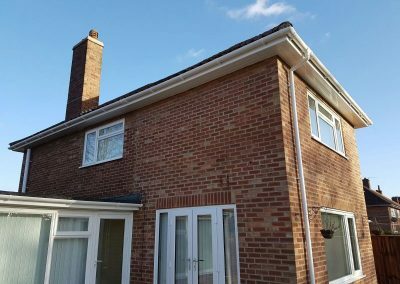 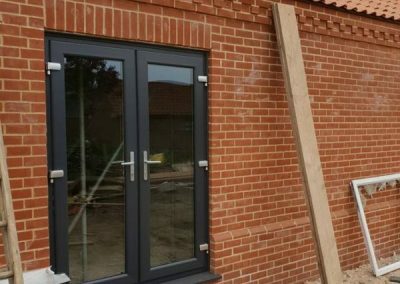 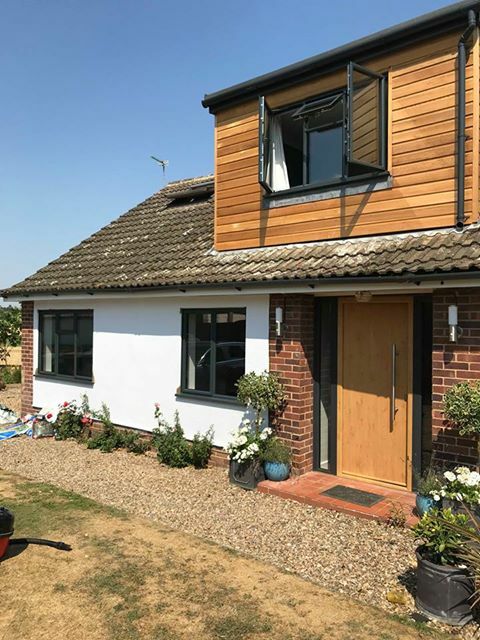 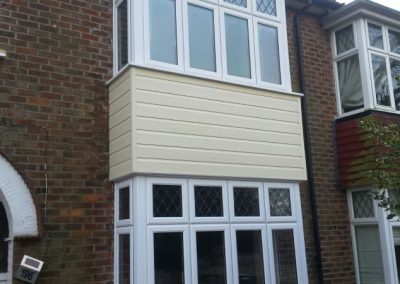 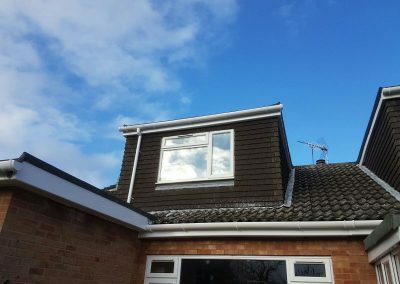 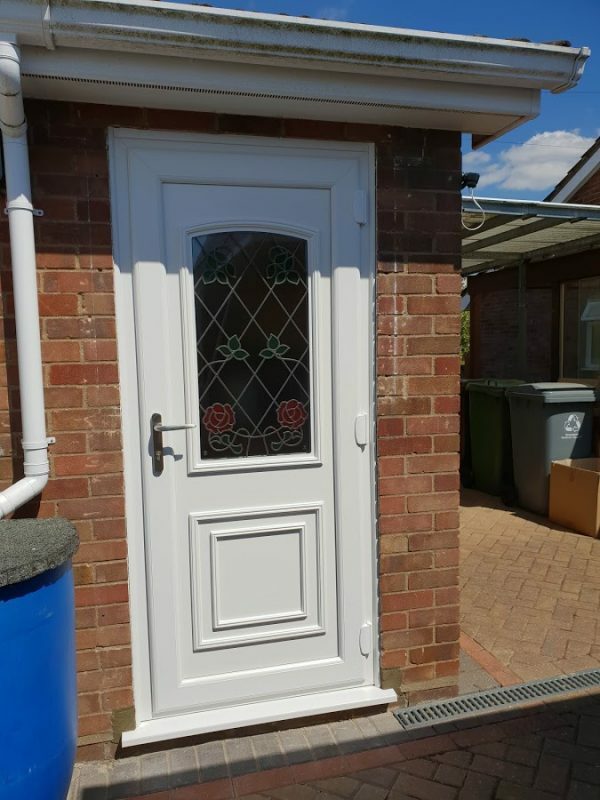 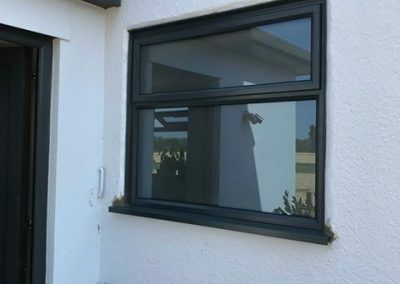 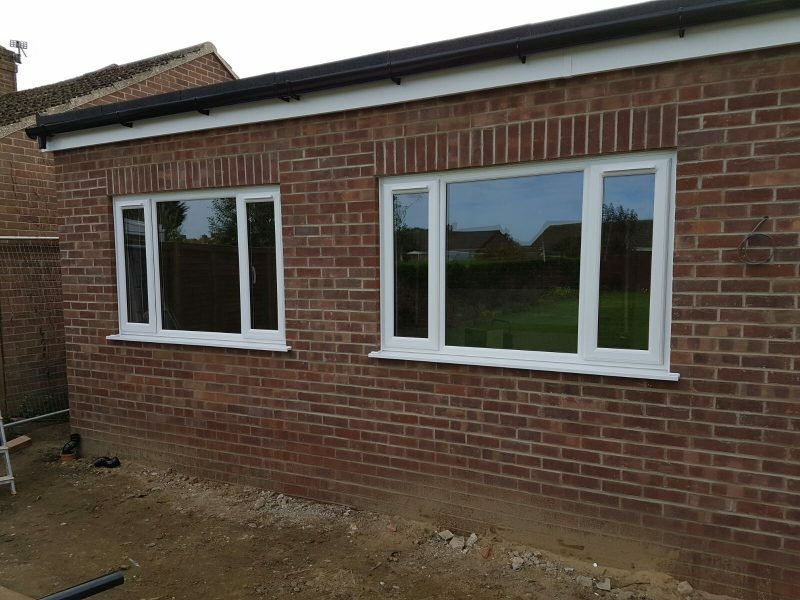 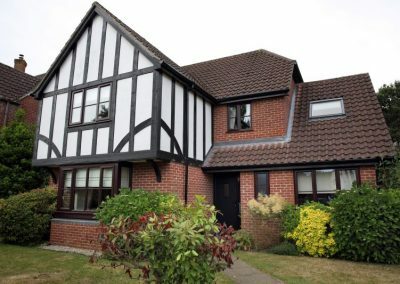 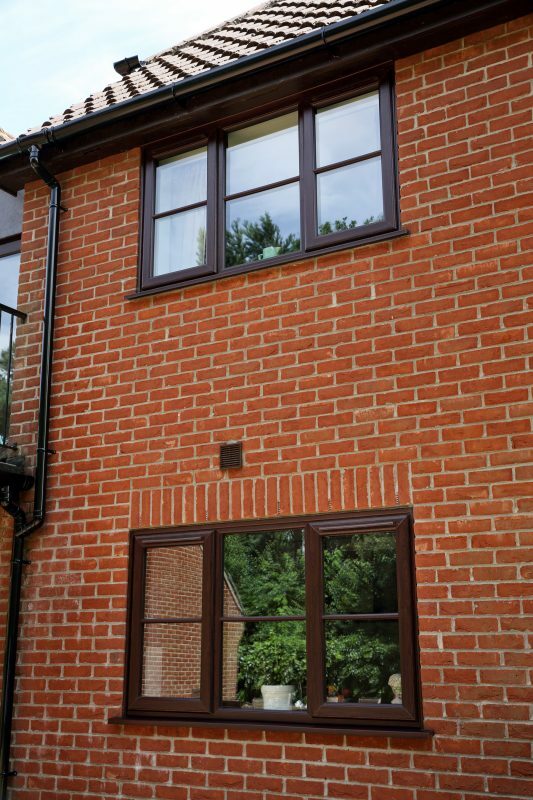 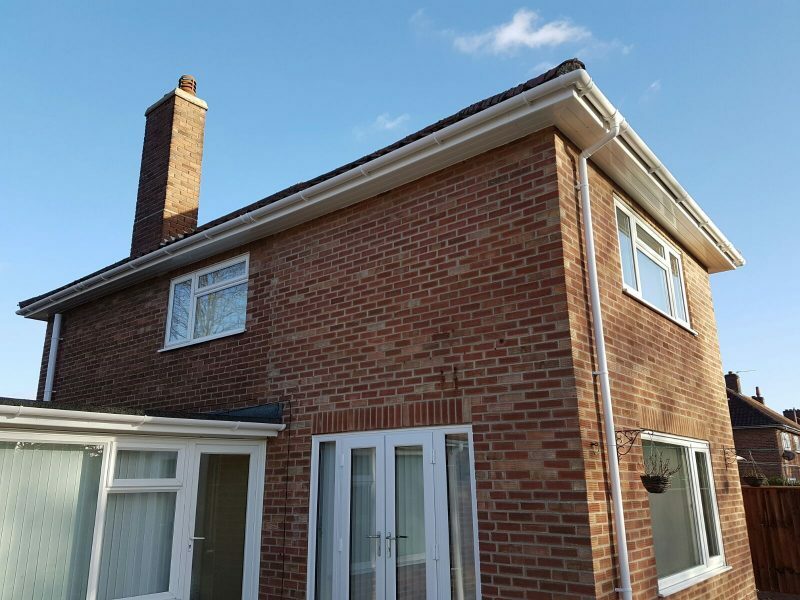 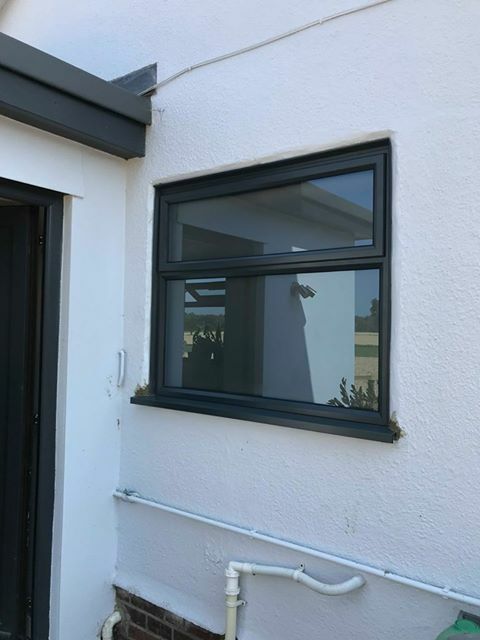 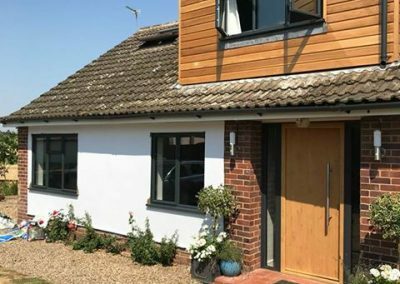 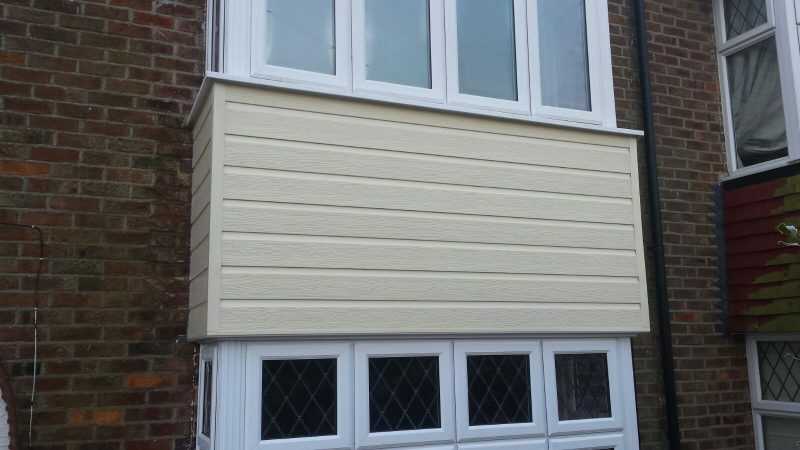 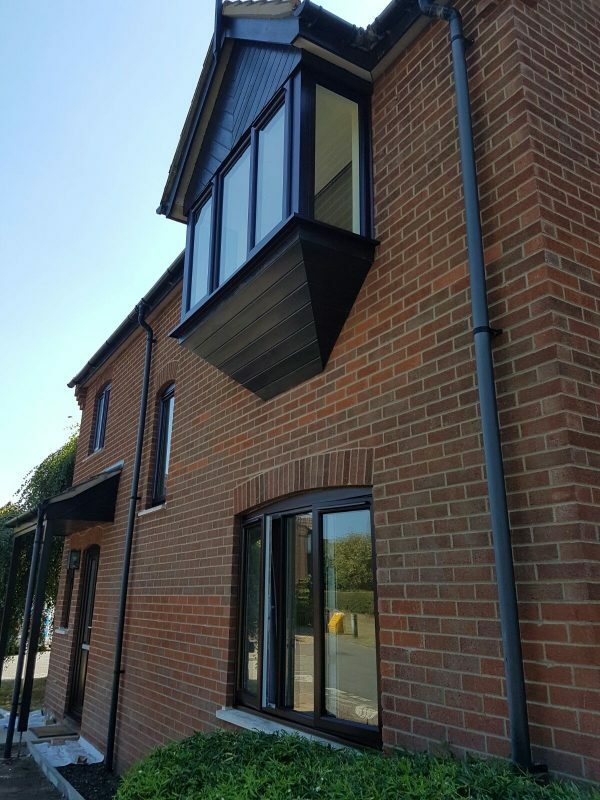 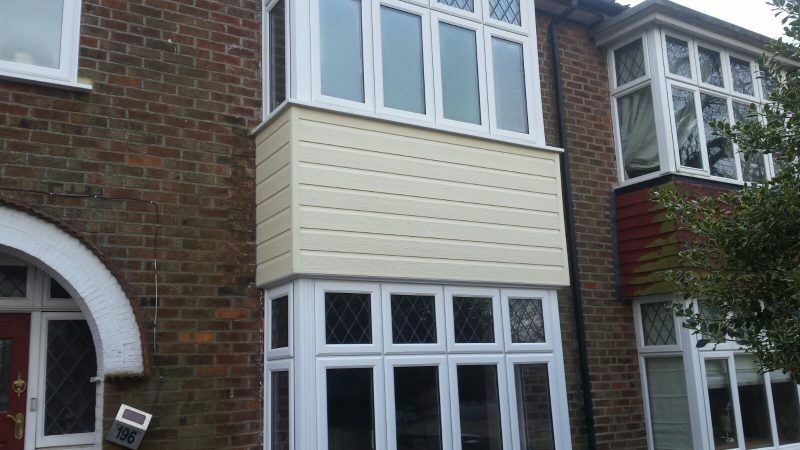 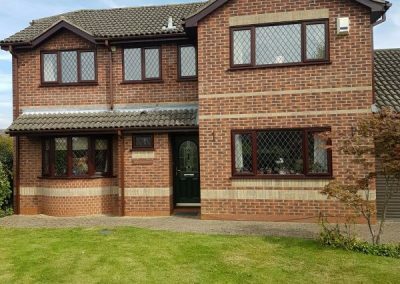 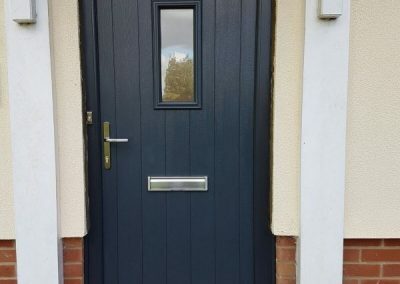 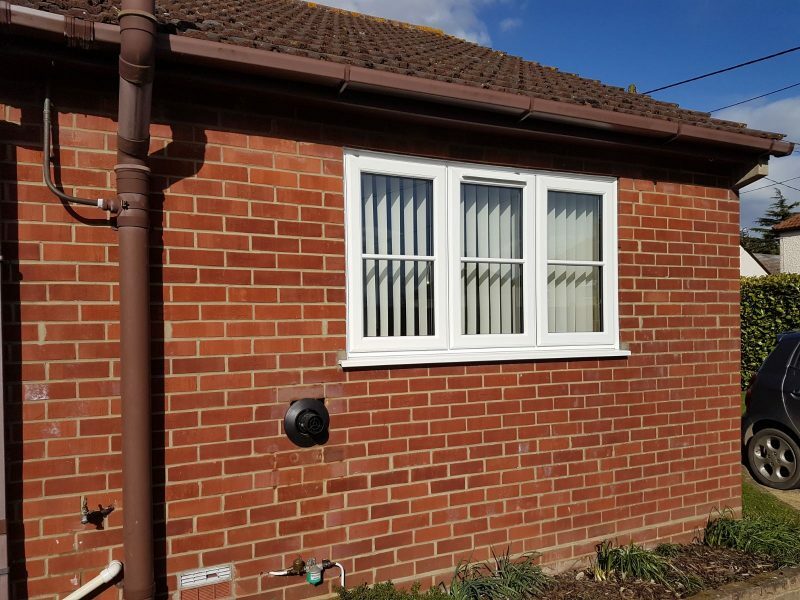 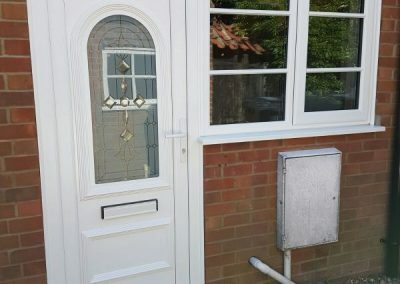 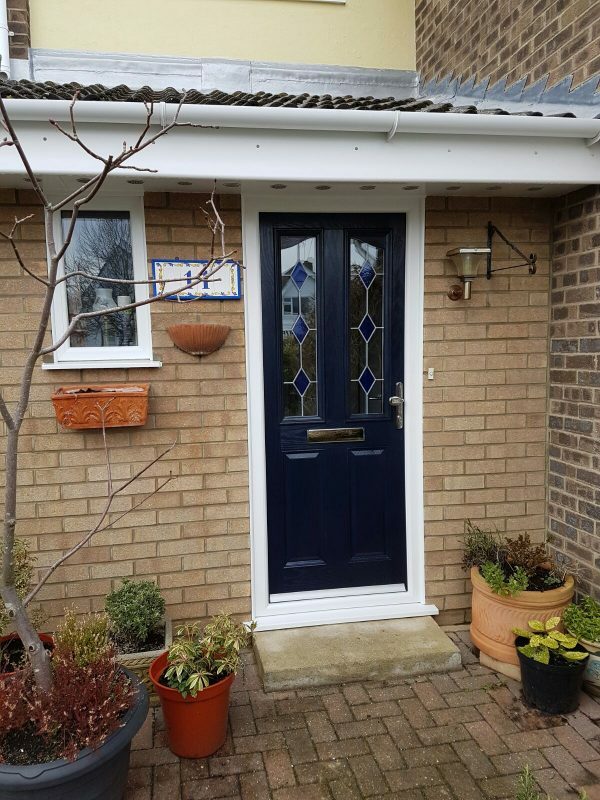 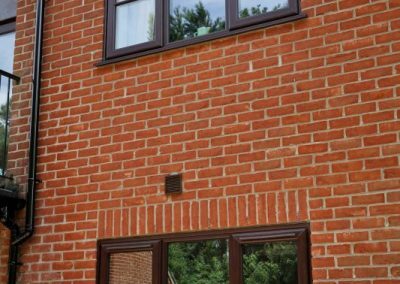 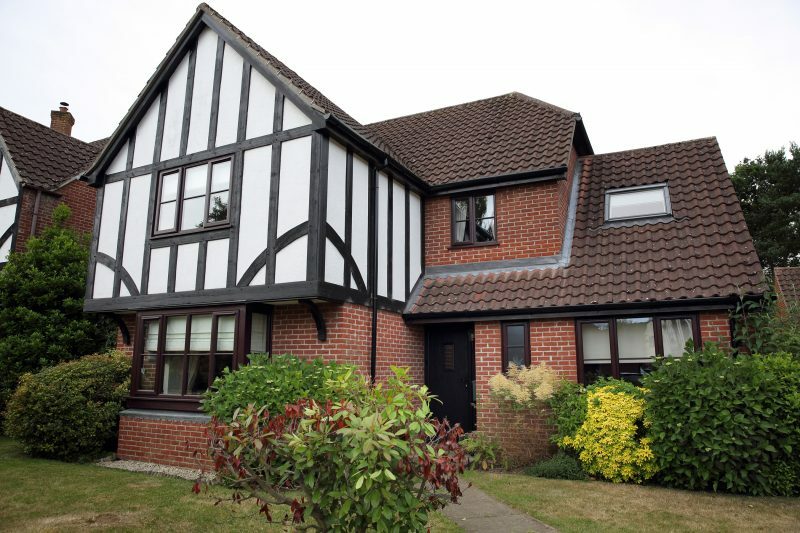 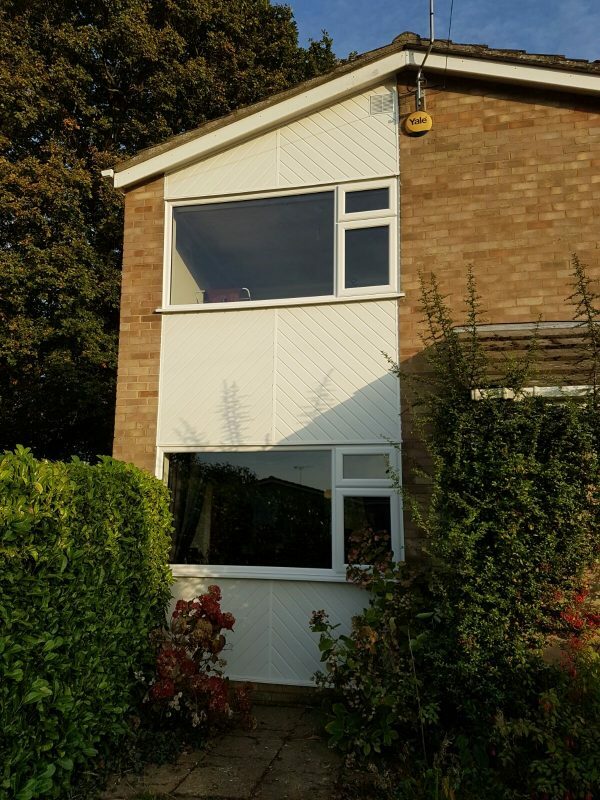 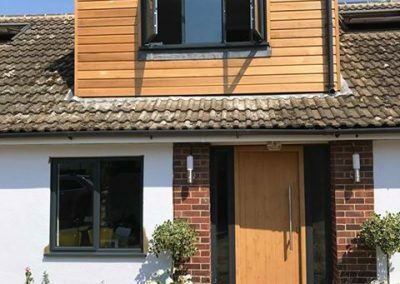 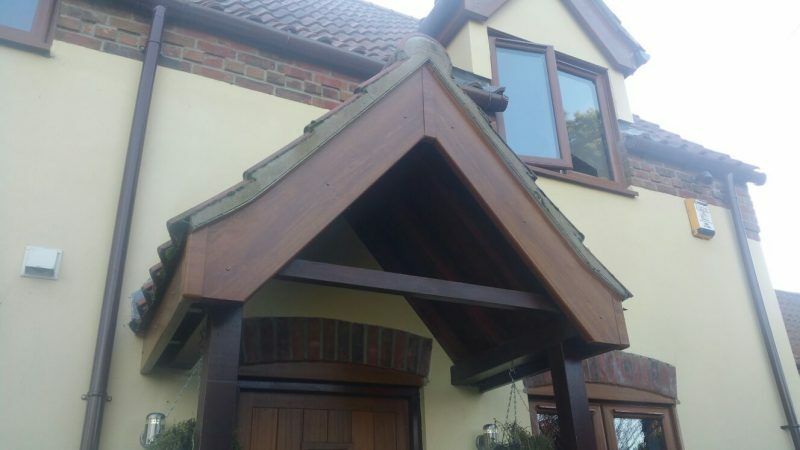 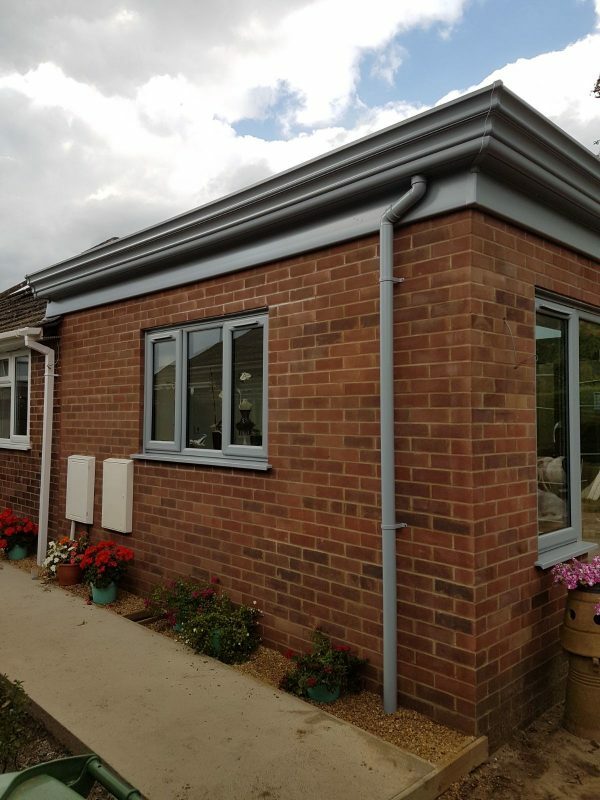 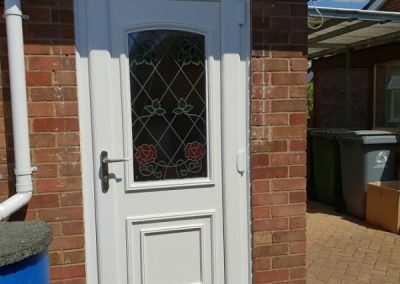 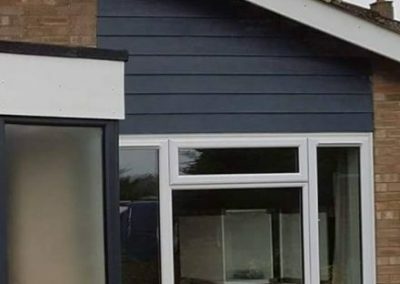 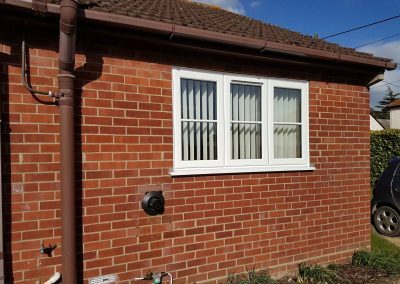 We use high quality Upvc boards to replace the fascia and soffits and can match guttering to the existing neighbourhood or change it to something completely different. 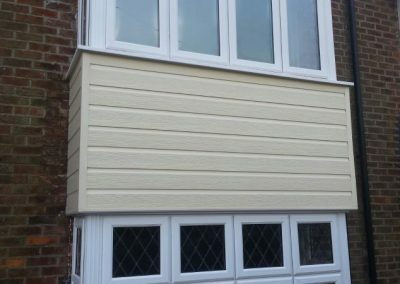 Durable and low maintenance Upvc cladding is used to replace old, tired wooden cladding or hanging tiles on your exterior home. 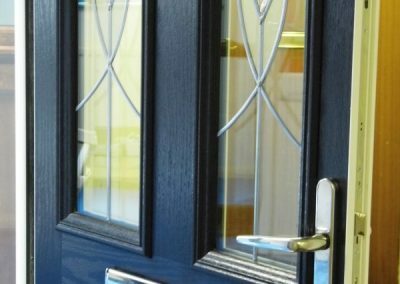 Coming in a range of colours and finishes we’re sure to find something that suits your requirements. 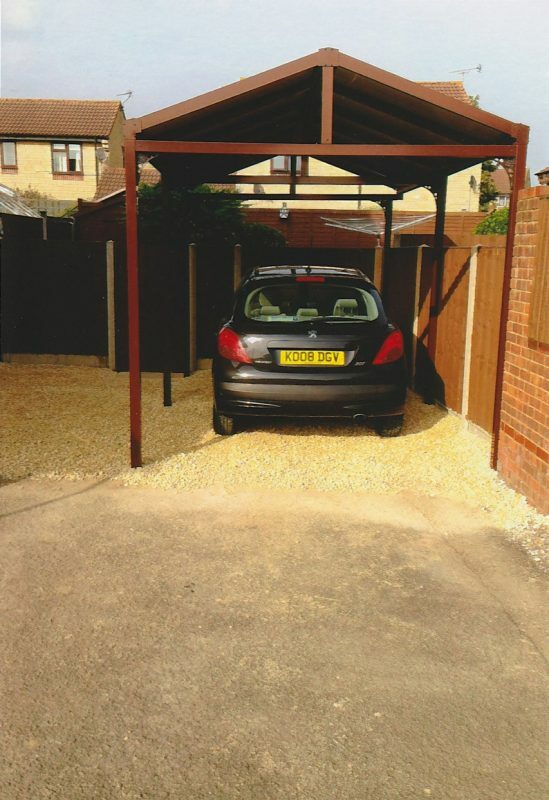 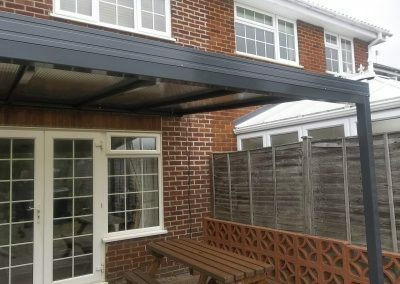 Made from aluminium and polycarbonate sheets, a carport or canopy provides a sheltered outside space for all weathers. 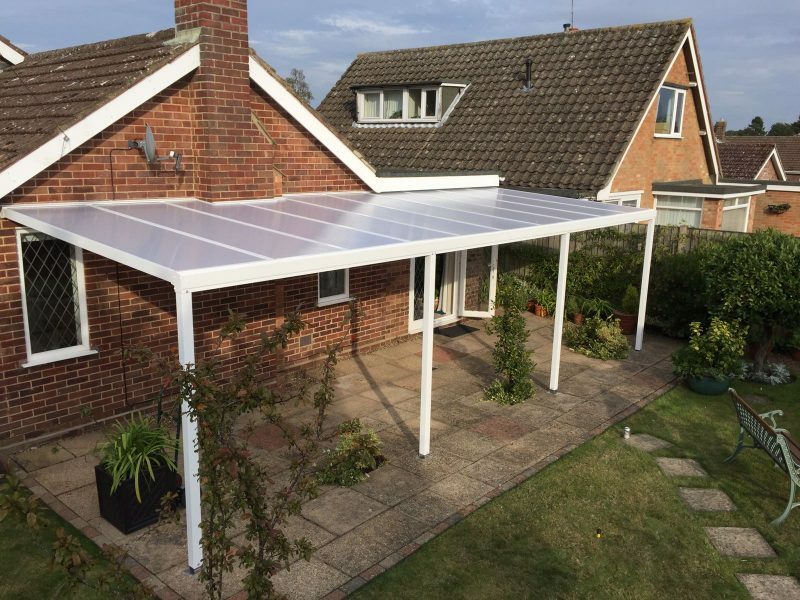 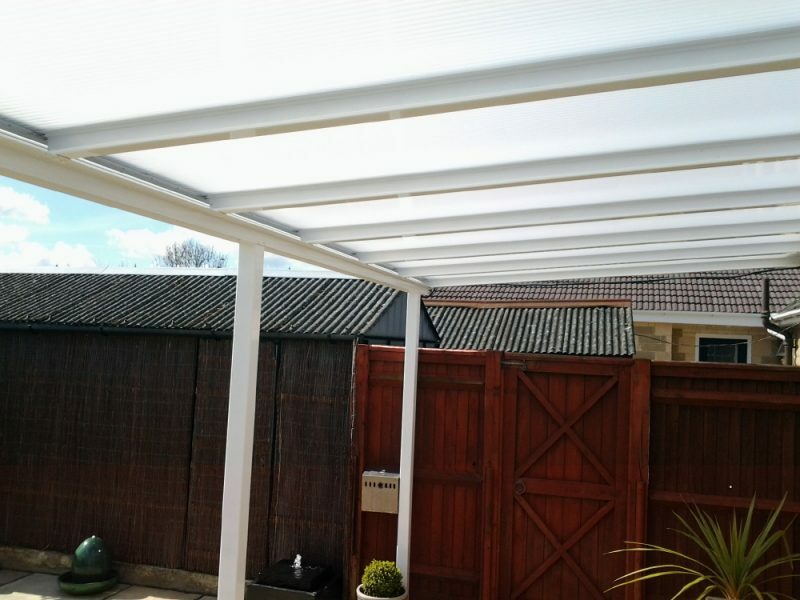 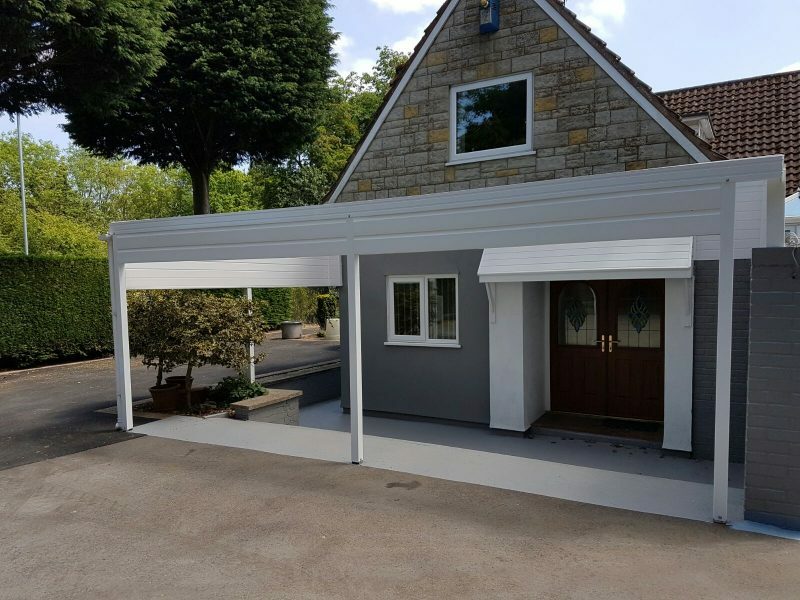 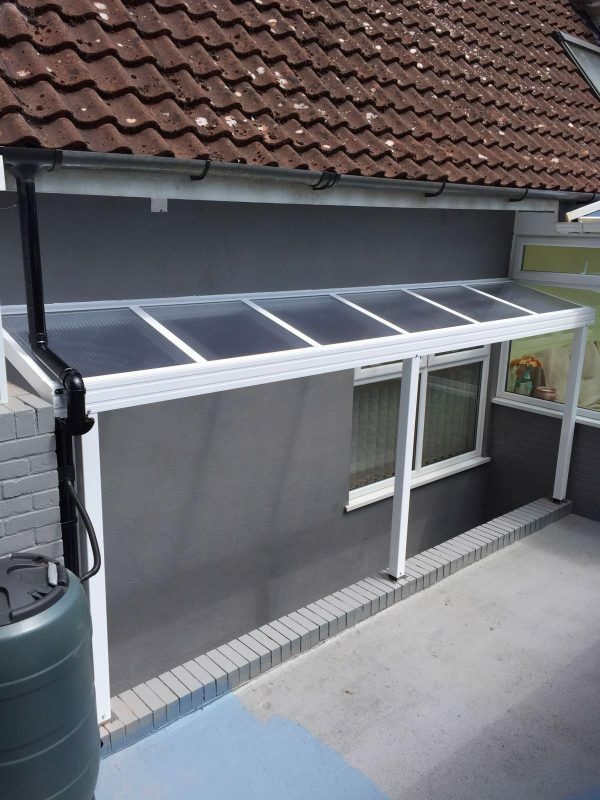 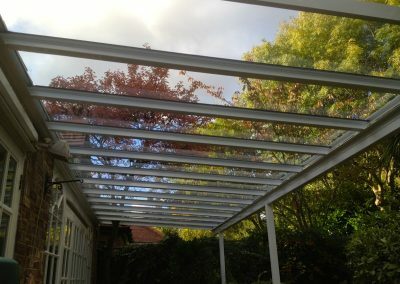 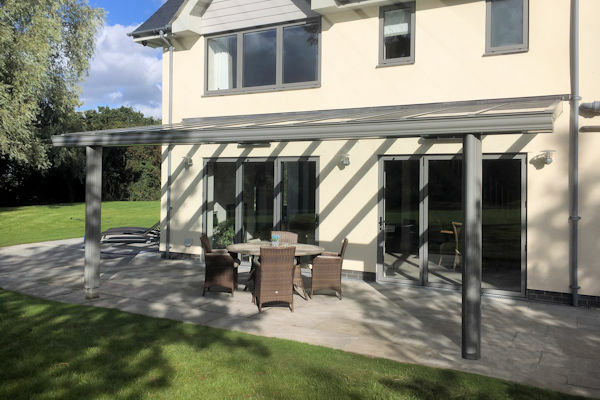 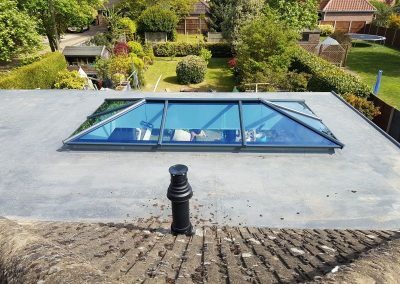 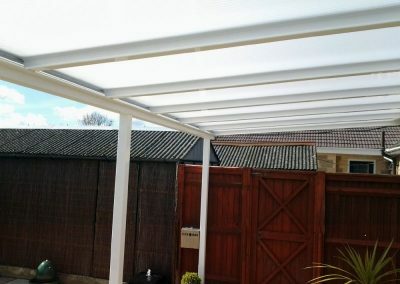 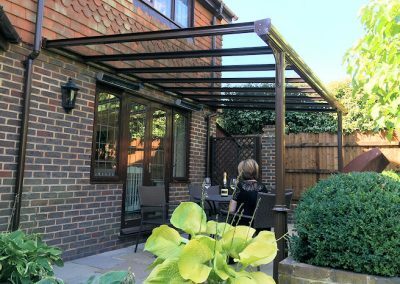 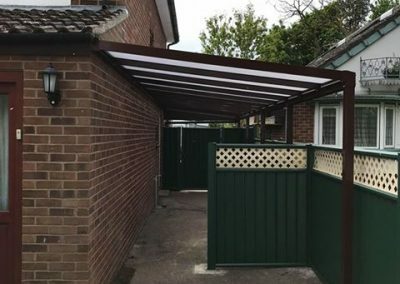 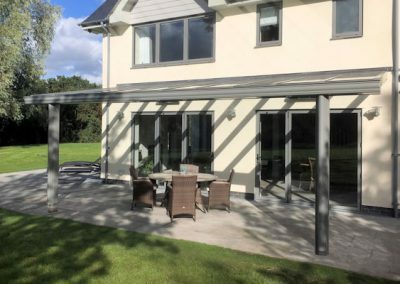 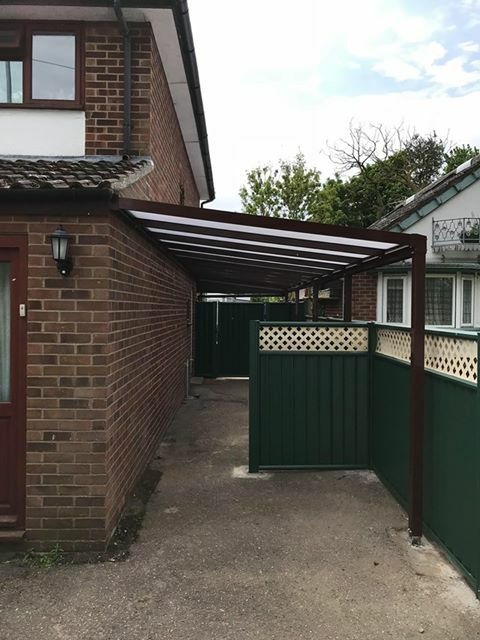 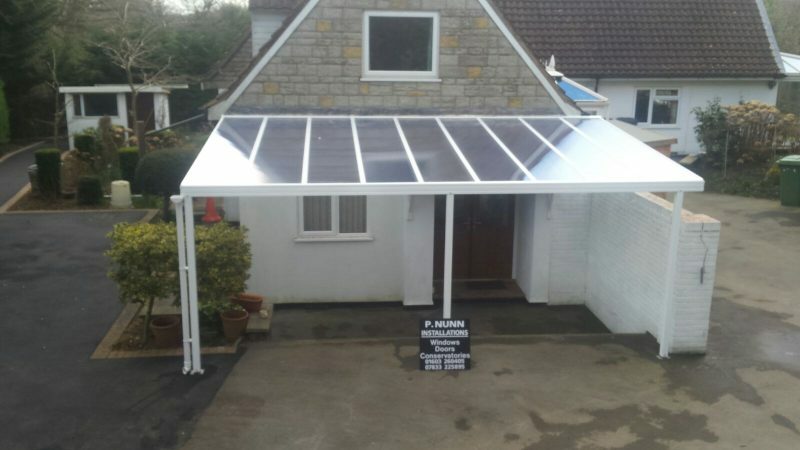 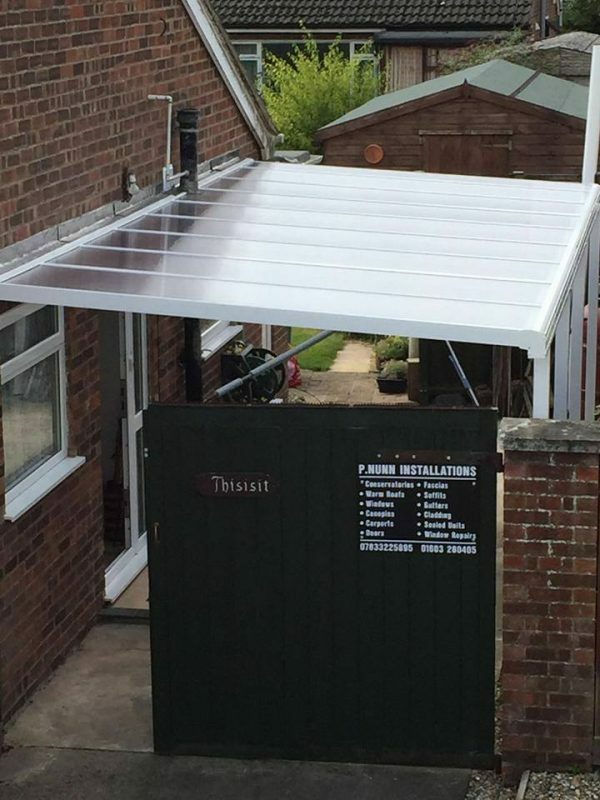 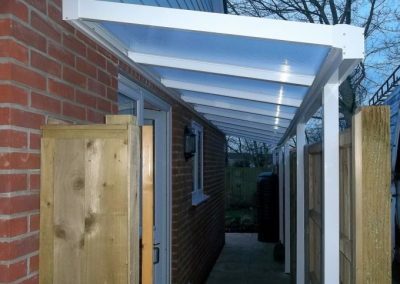 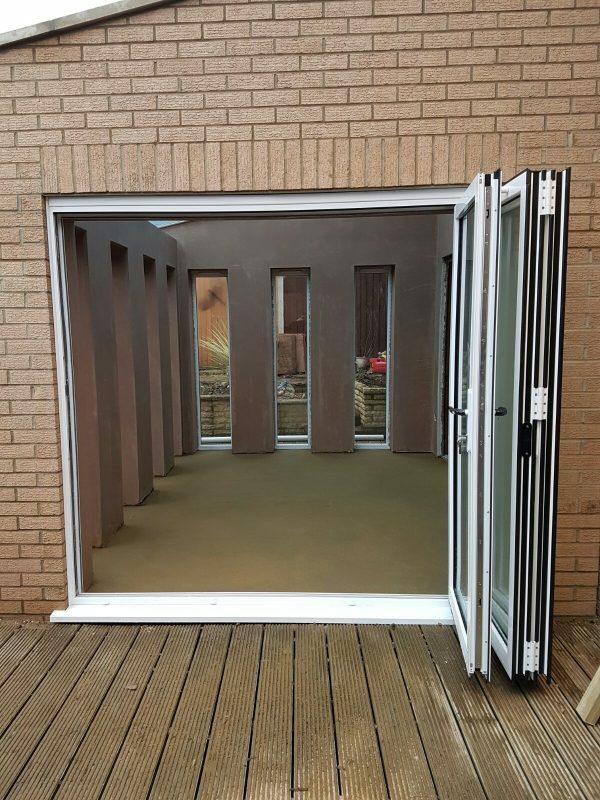 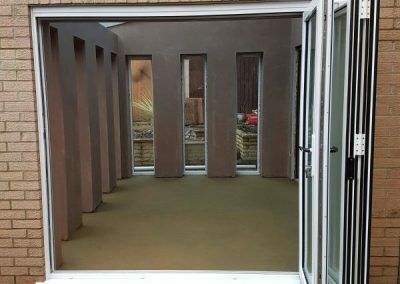 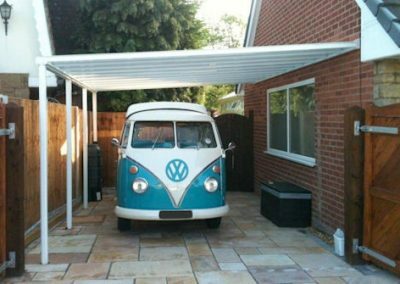 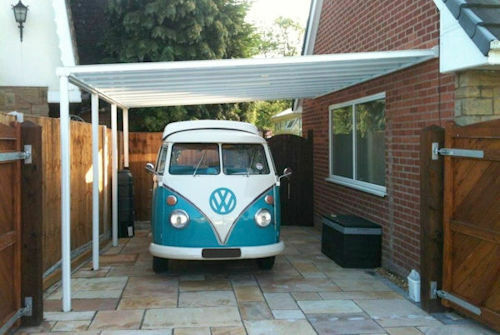 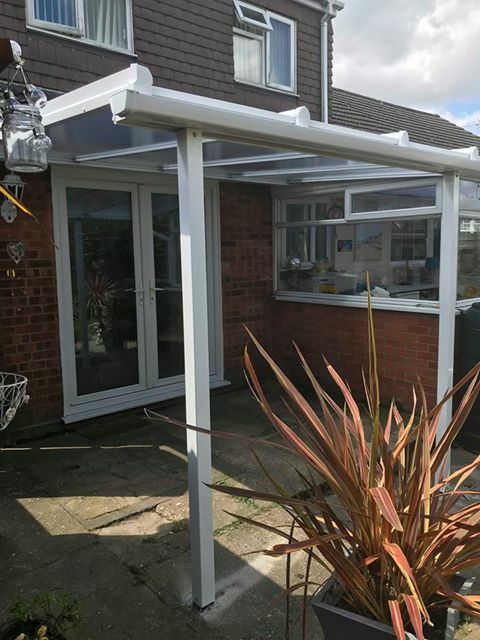 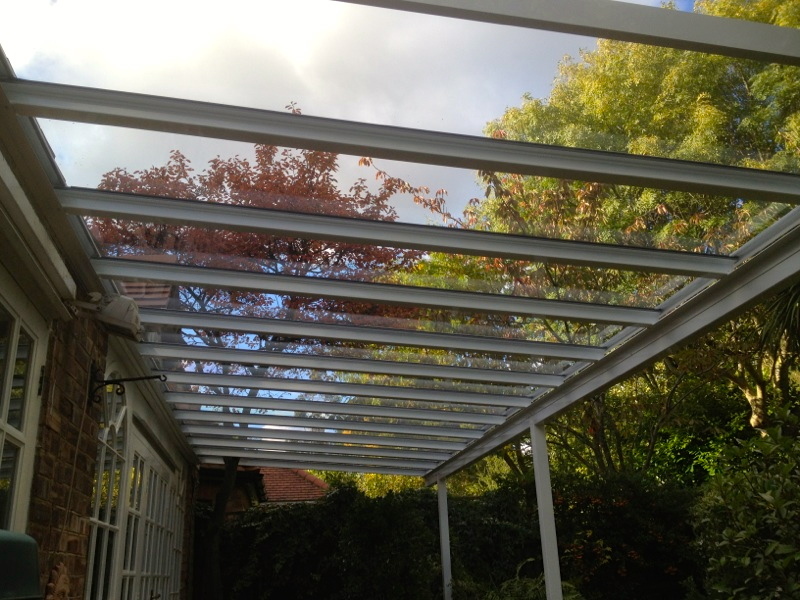 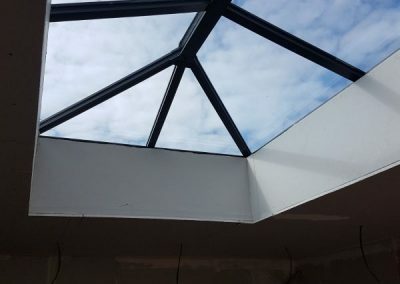 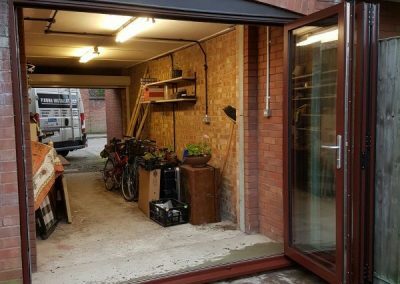 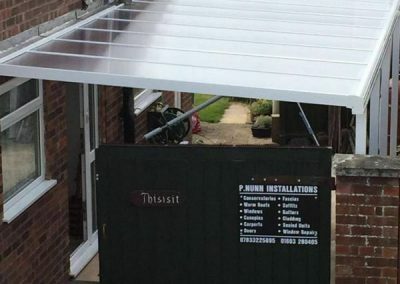 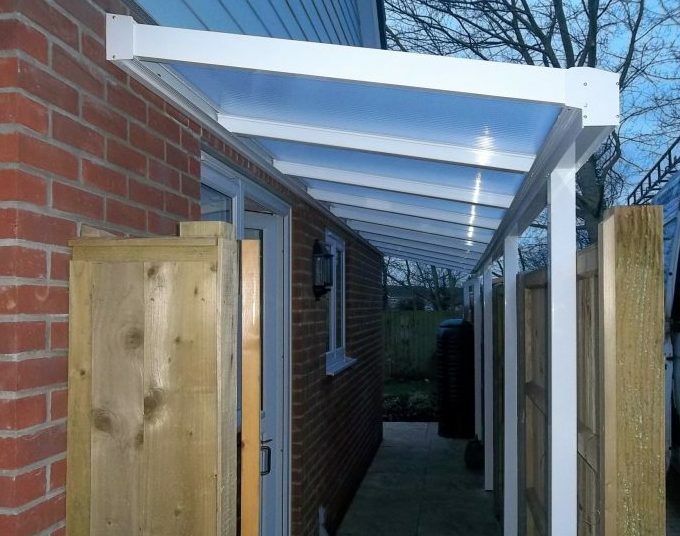 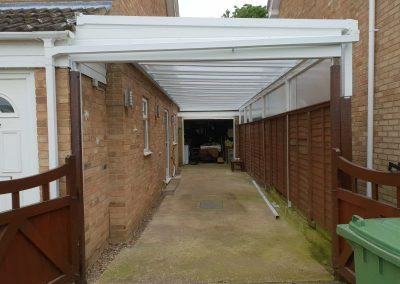 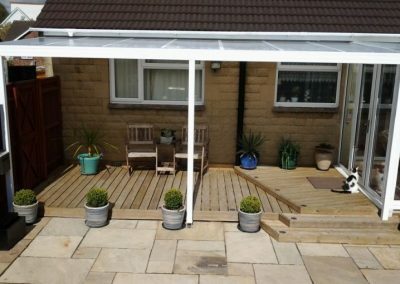 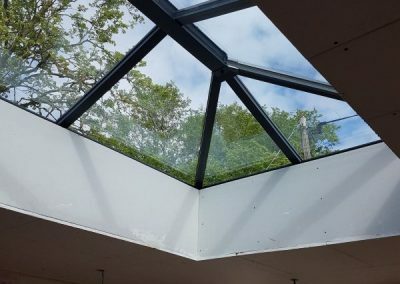 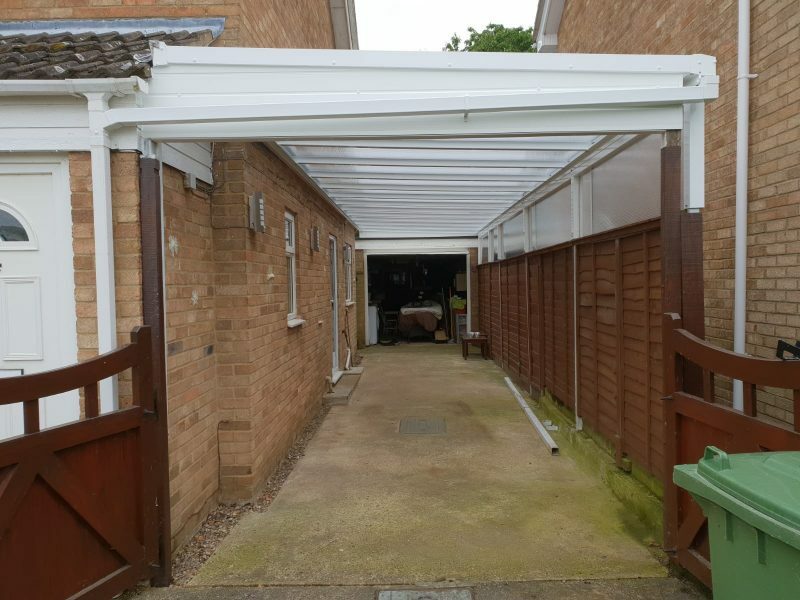 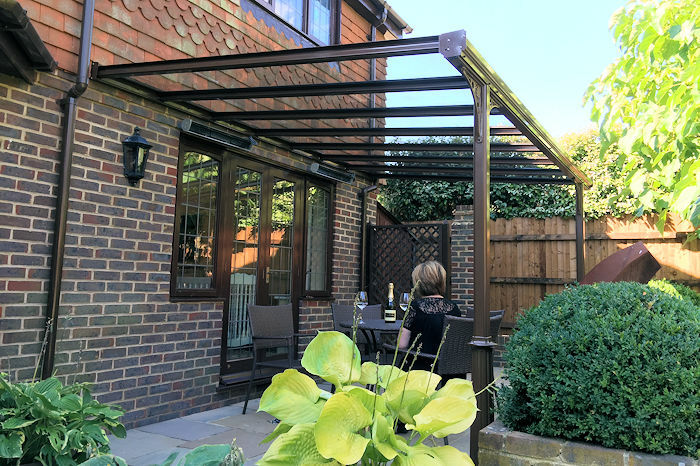 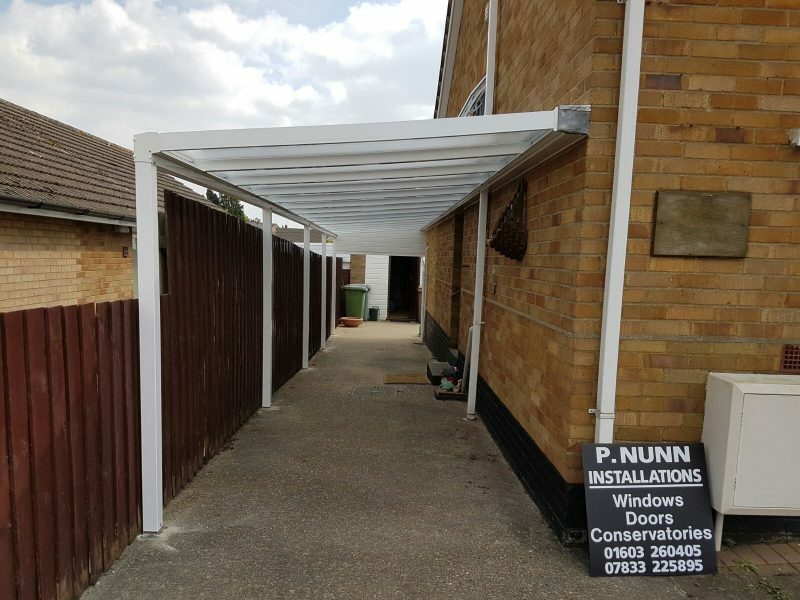 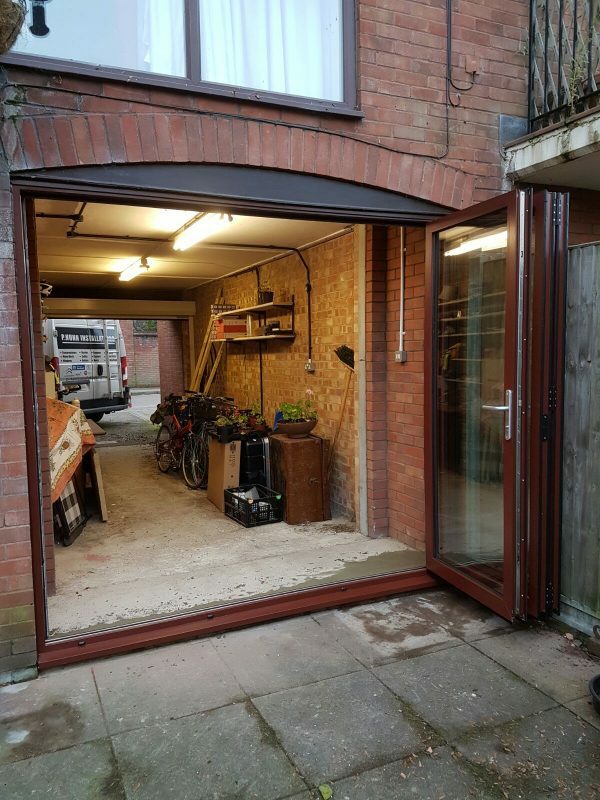 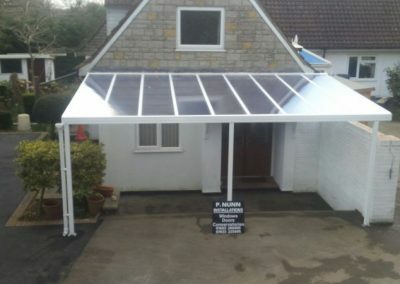 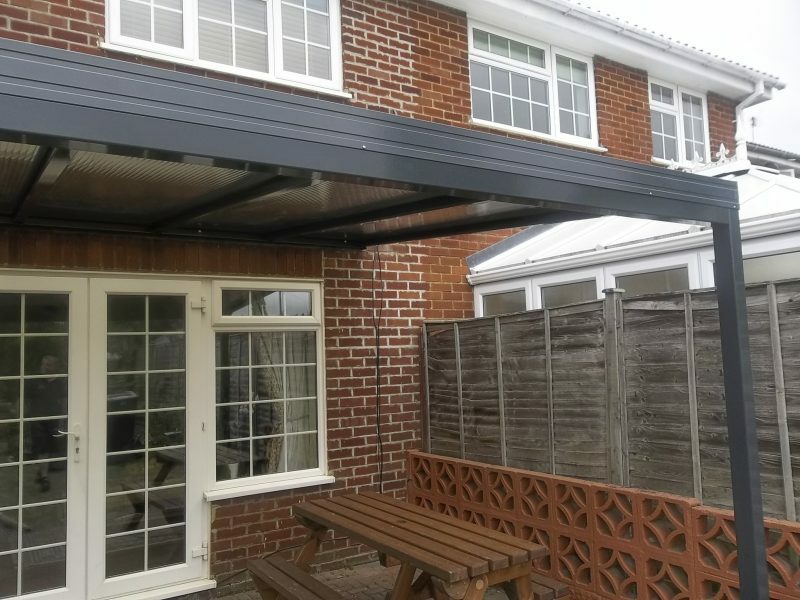 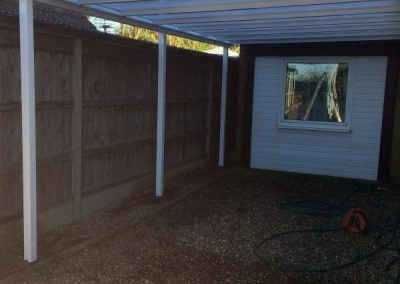 Whether it’s to protect your vehicle from falling leaves, to give you somewhere for additional storage or a garden veranda for over your patio, we can provide you with a high quality carport or canopy at your desired projection. 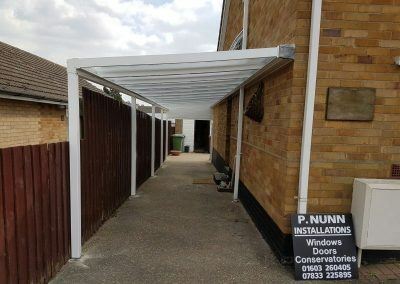 They are available in a variety of configurations and colours and will be custom made for your property and needs. 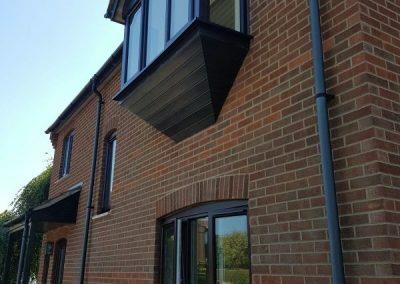 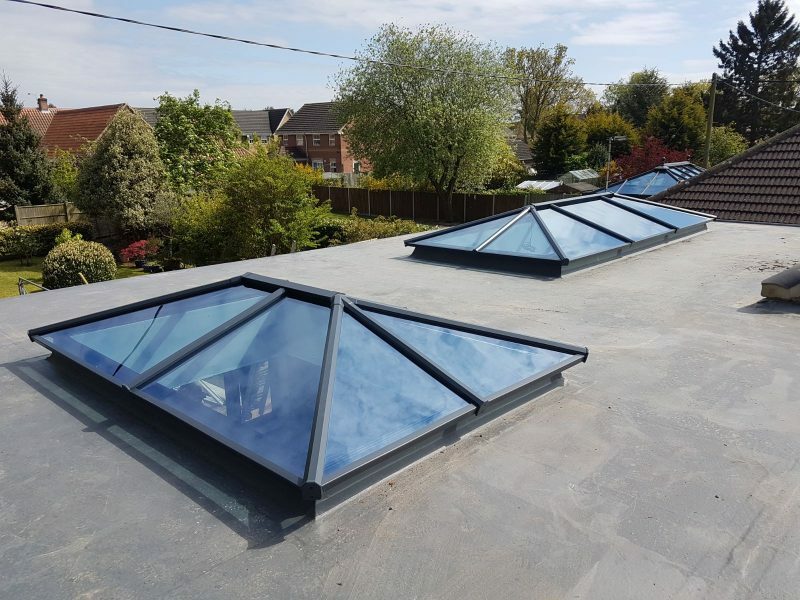 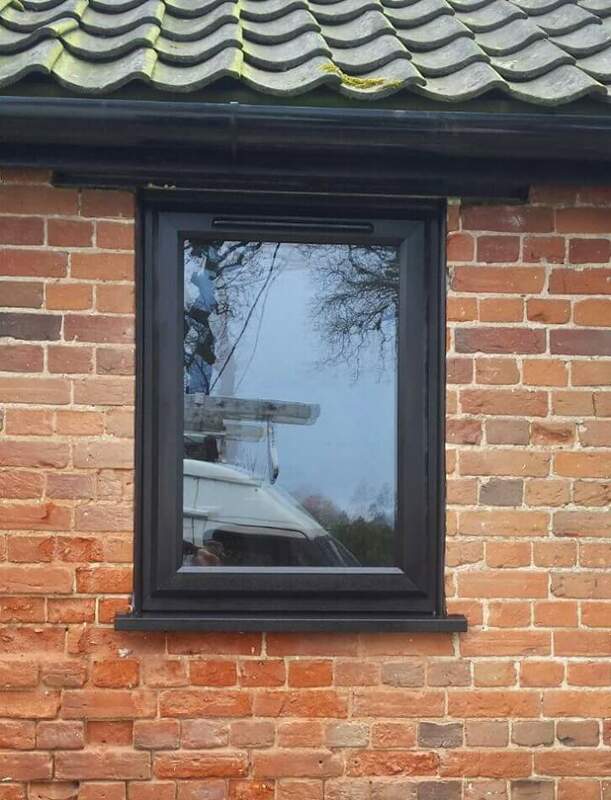 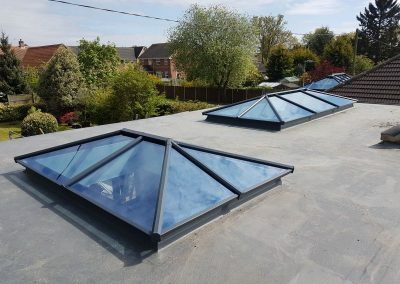 They all come with an integrated gutter in the beam and internal drainage as standard. 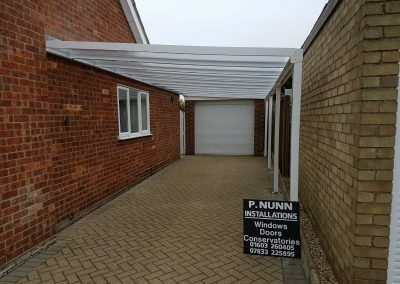 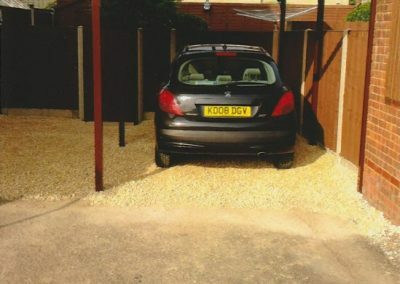 Visit our CarportNorwich.co.uk to find out more. 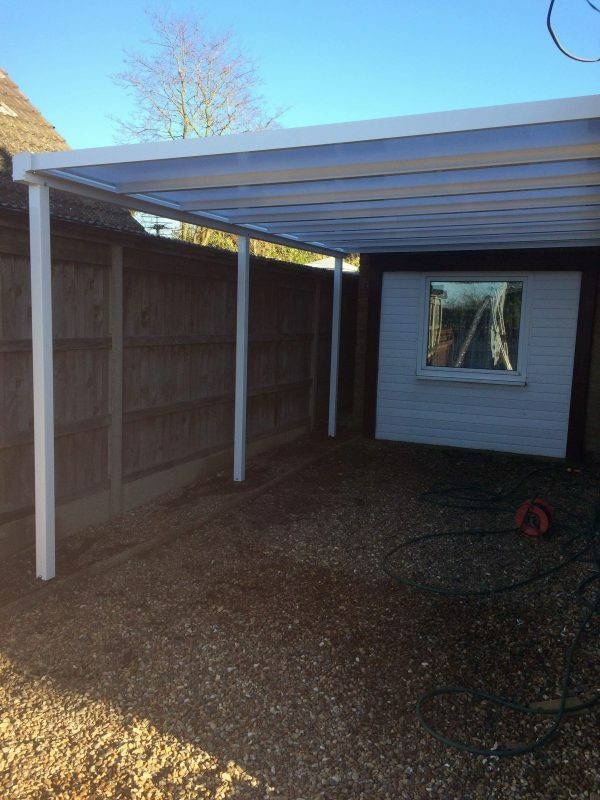 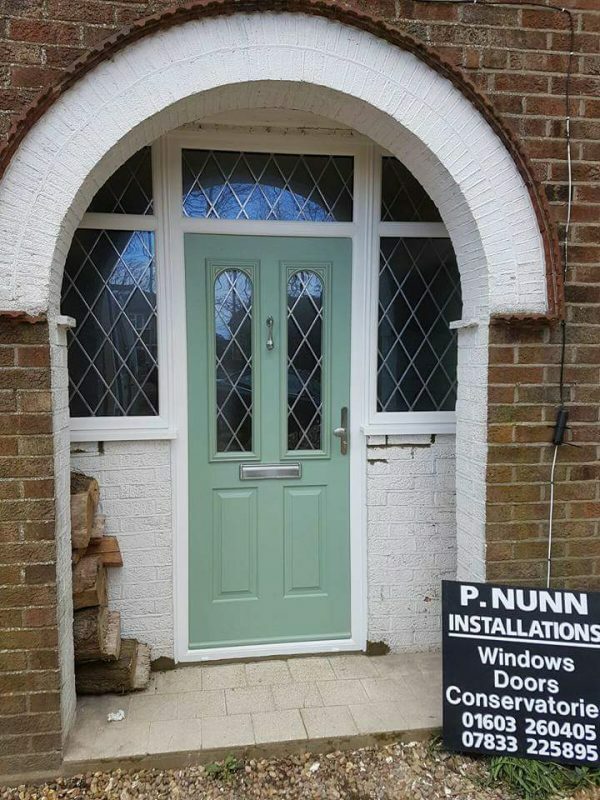 We are based in Taverham, Norwich, Norfolk and cover surrounding areas.